I didn't think I bought that much, but it seems as though I did!?! 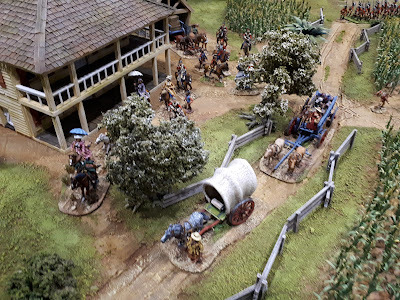 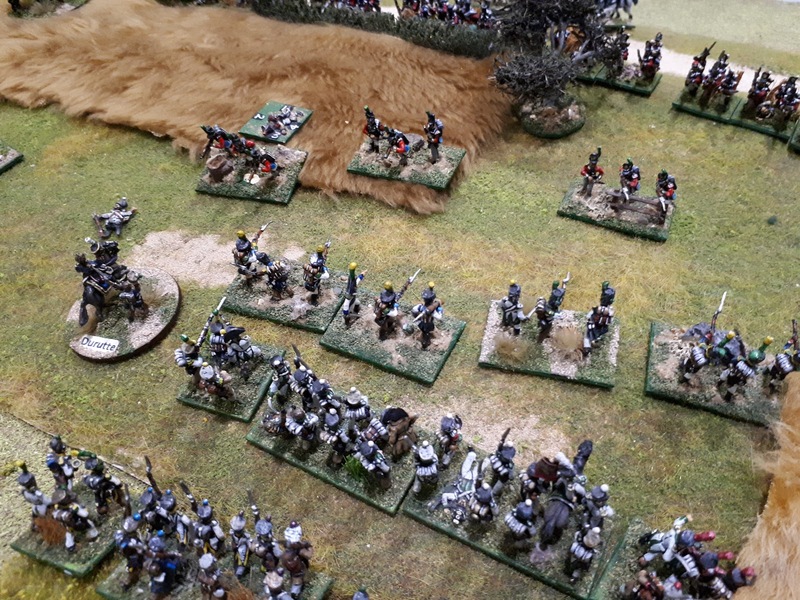 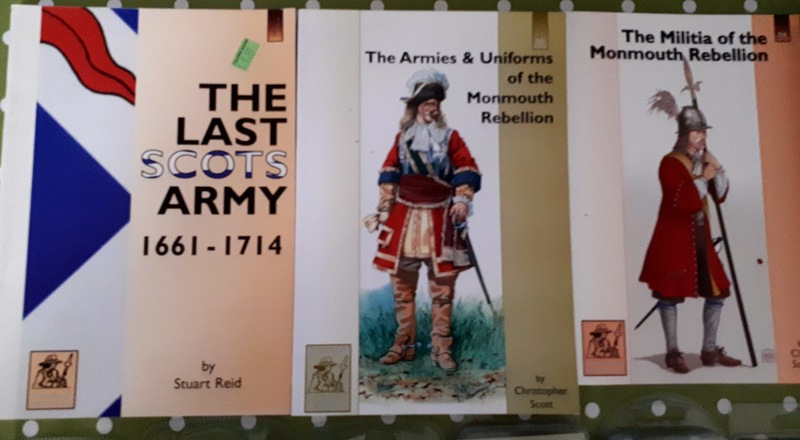 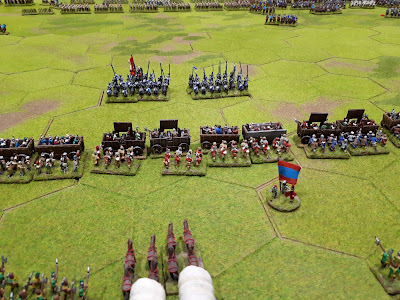 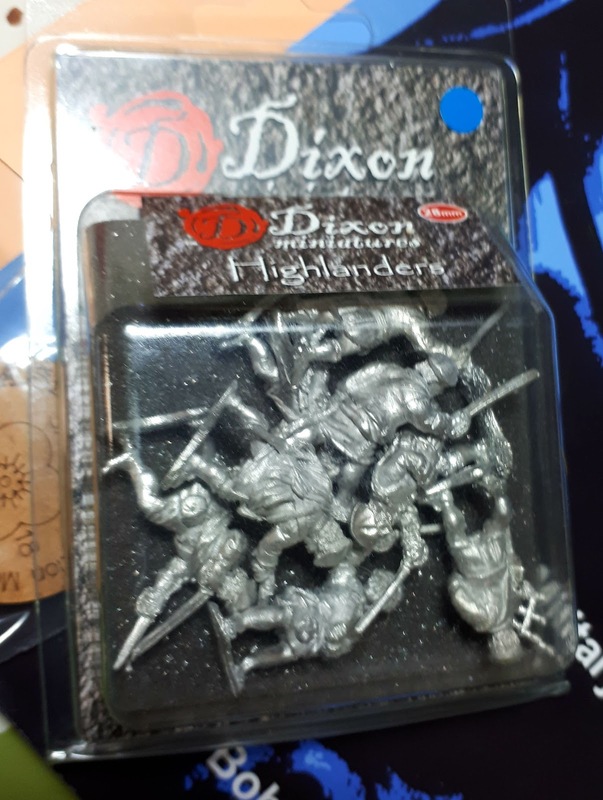 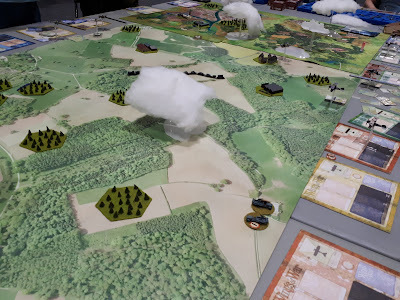 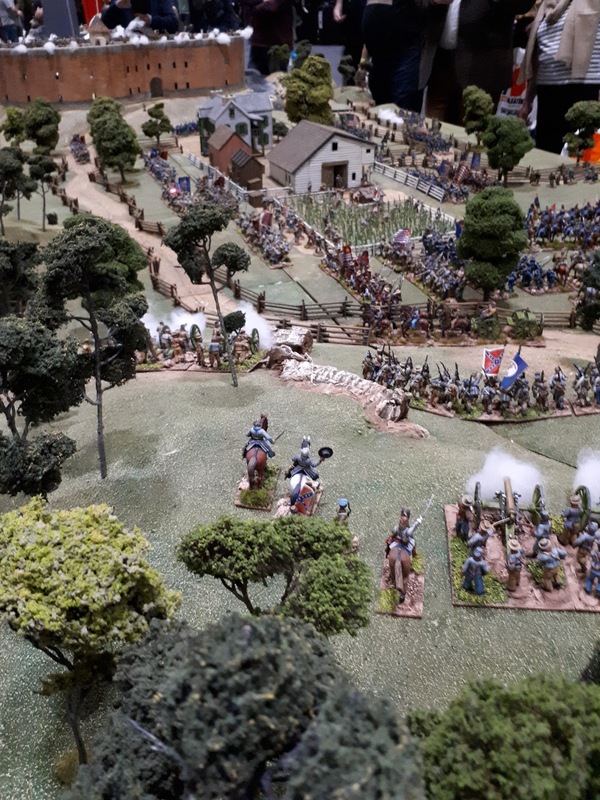 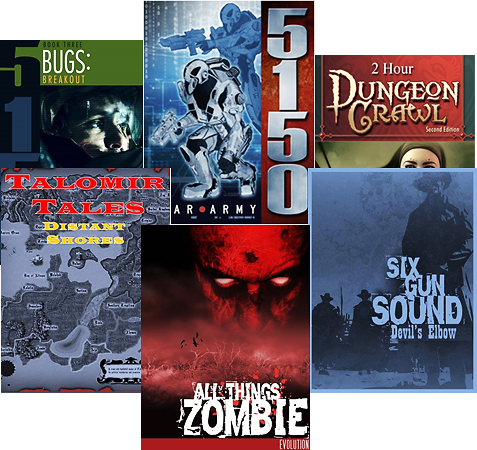 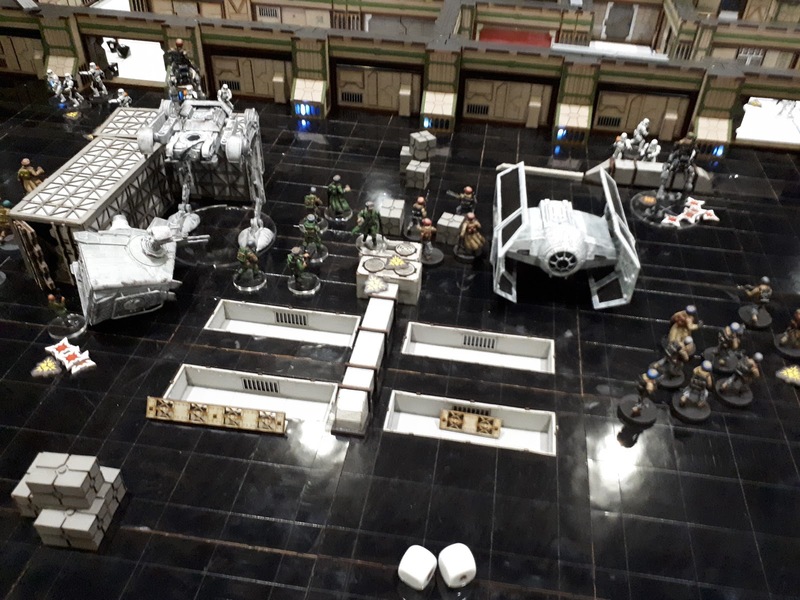 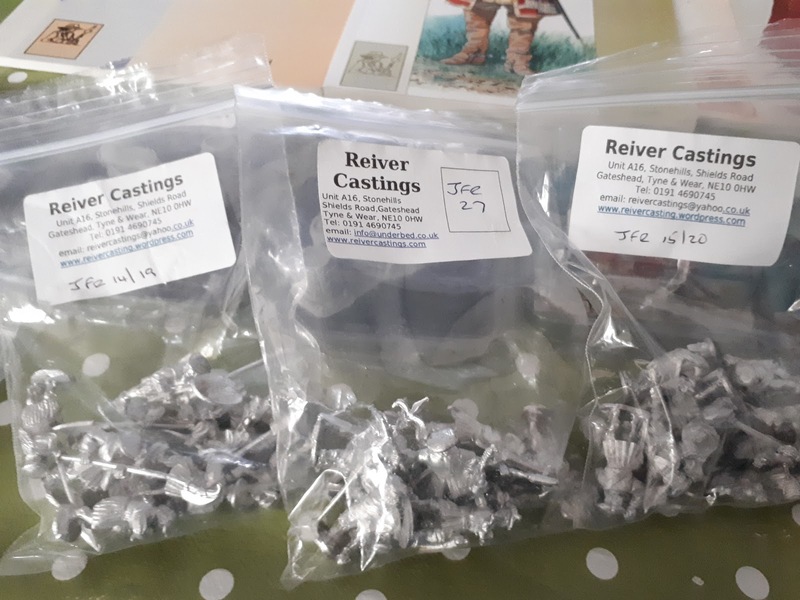 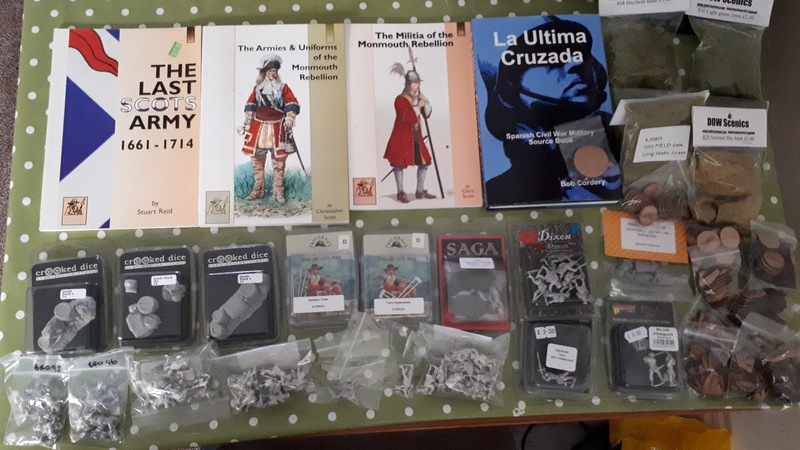 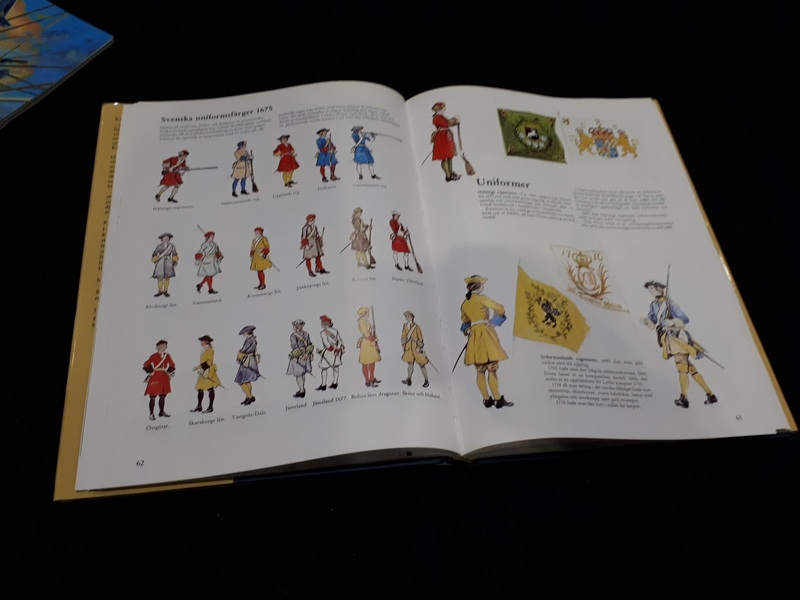 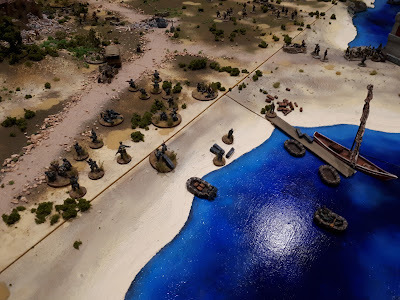 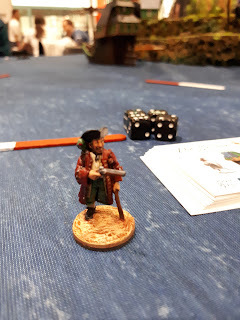 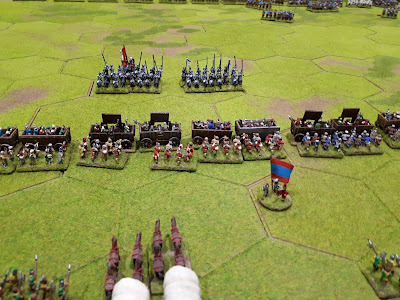 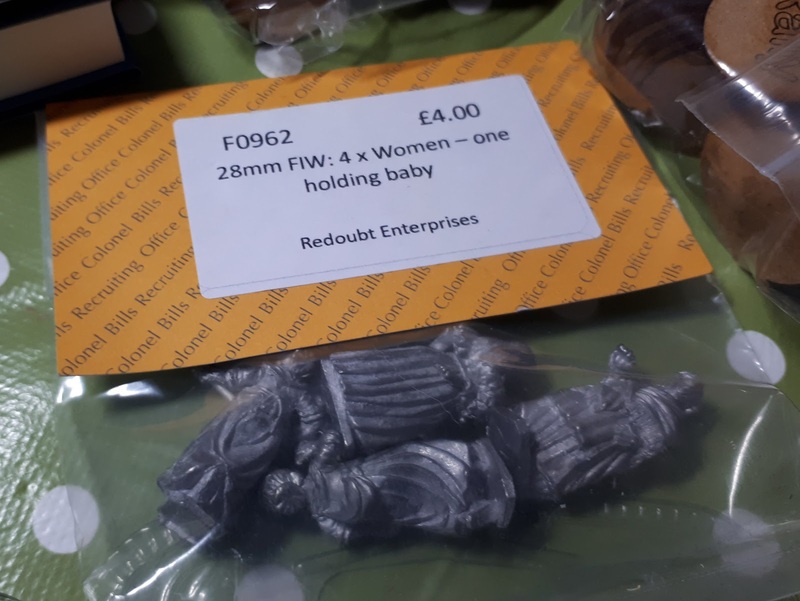 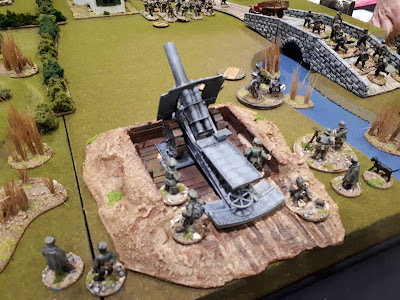 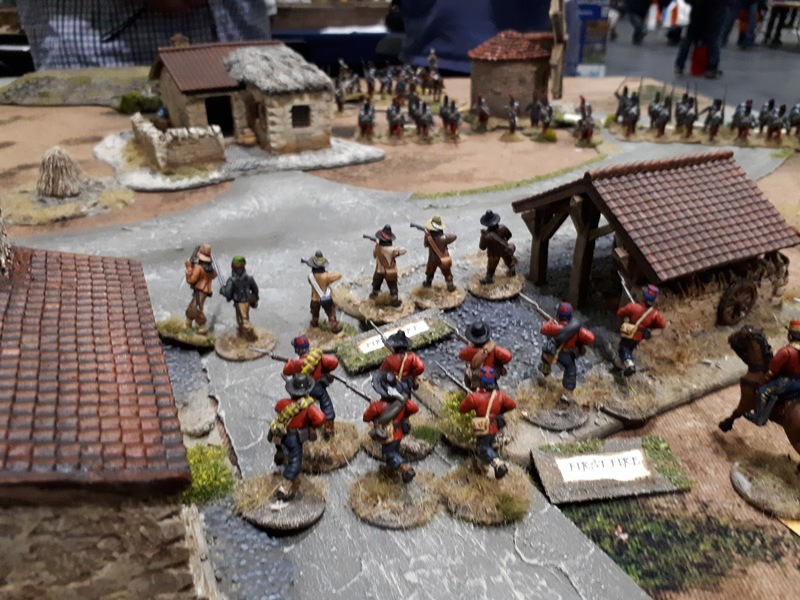 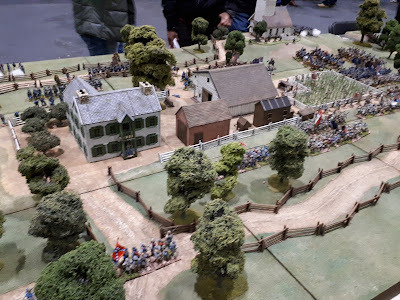 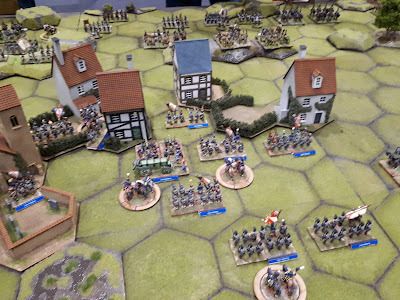 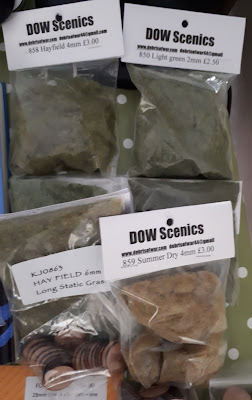 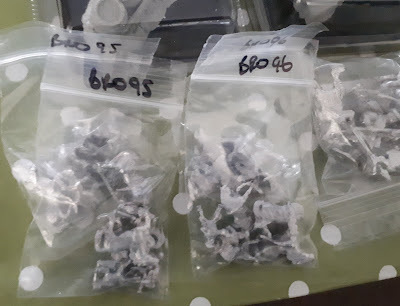 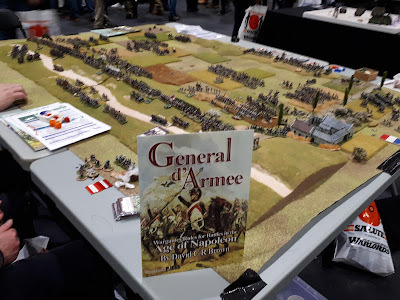 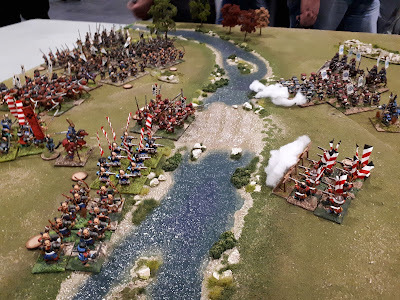 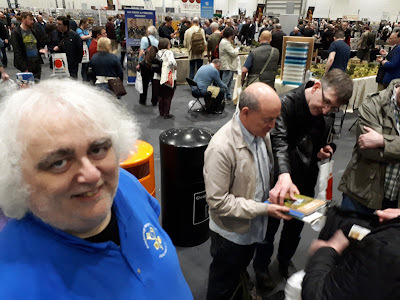 I've finally had the chance to rifle through my goody bags last night, to see what I bought during Salute 2018. 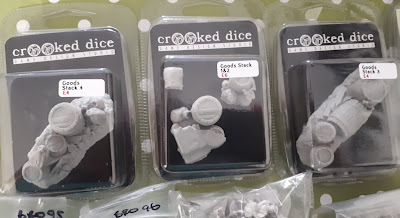 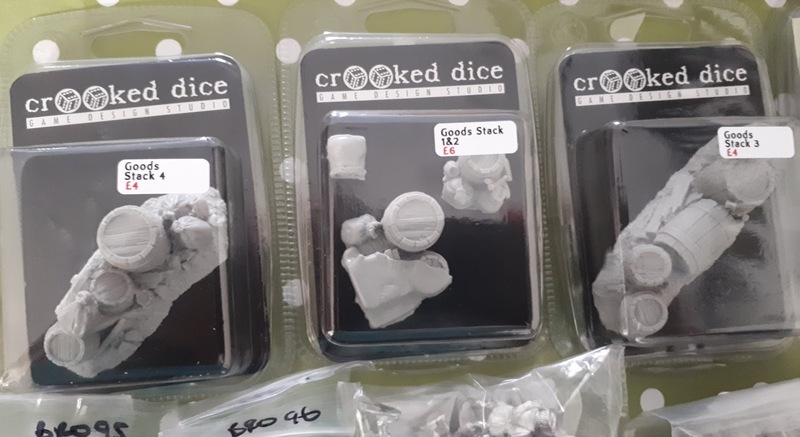 My first ever purchase from Crooked Dice. 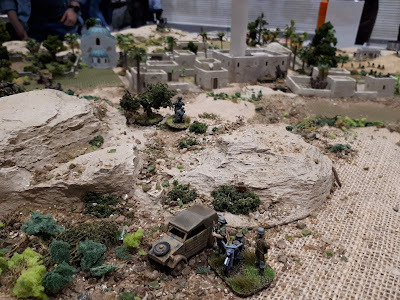 Some pretty cool terrain items. A show wouldn't be a show without my fix of Essex minis. 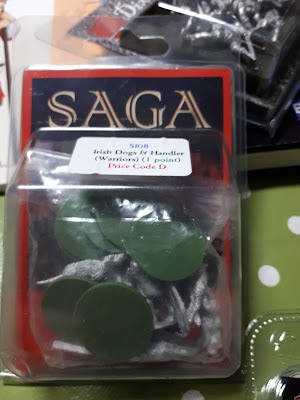 A free gift from fellow Blogger Bob Cordery. 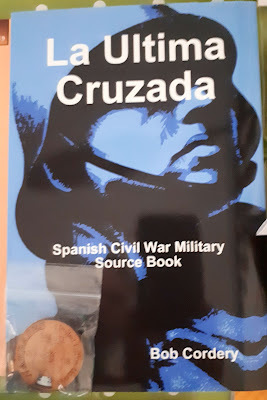 I've always quite fancied the Spanish Civil War?? 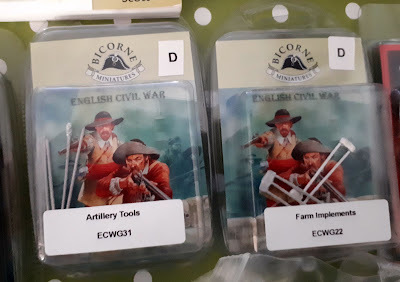 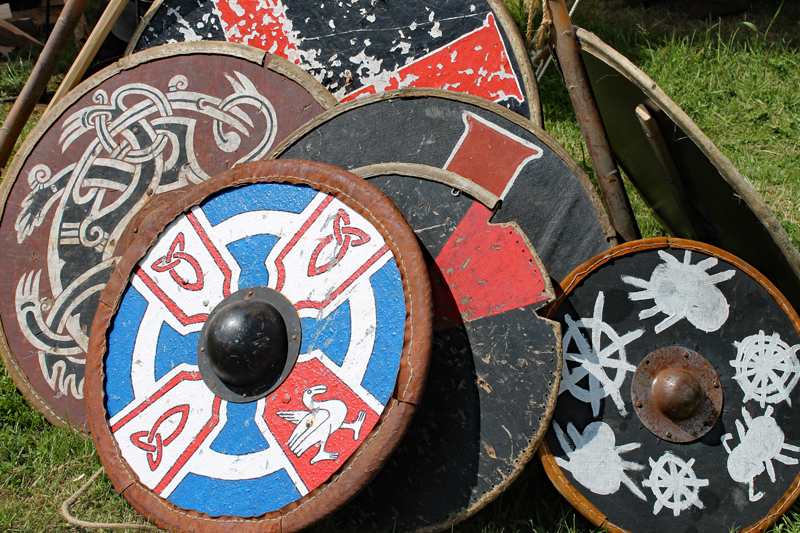 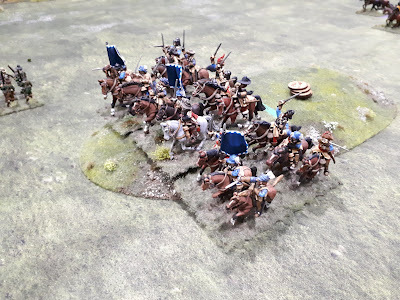 Tools from Bicorne, for Sedgemoor figures and the like. 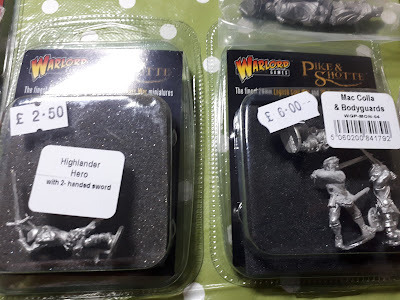 Character figures from Warlord, maybe be a bit small me thinks?? 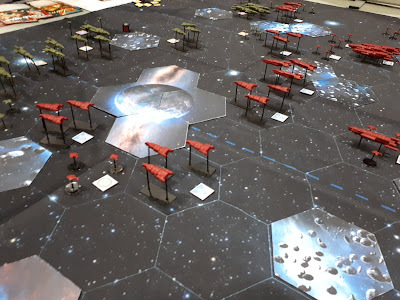 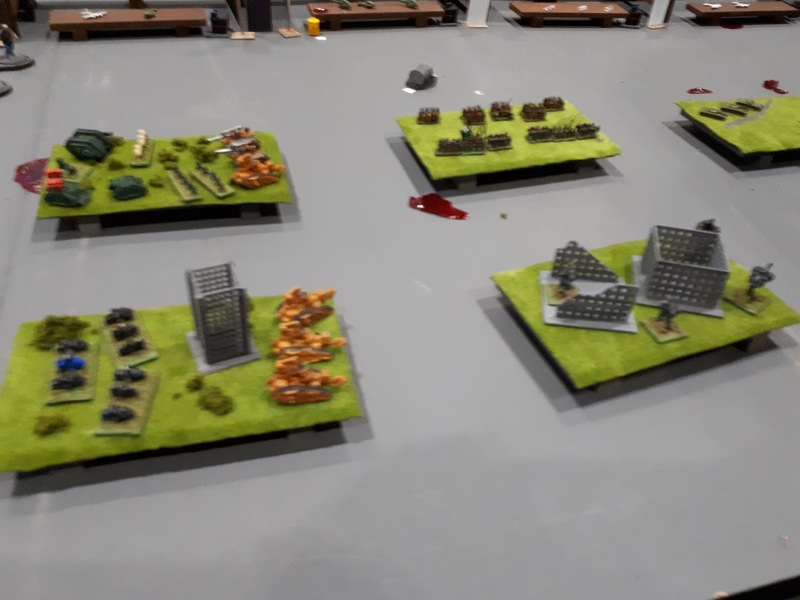 A very nice little collection of counters from Warbases. 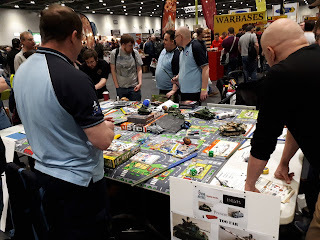 At Salute each year we Bloggers meet up for 30 minutes to say hello in the flesh, here are a few photos of the infamous 30 minutes. 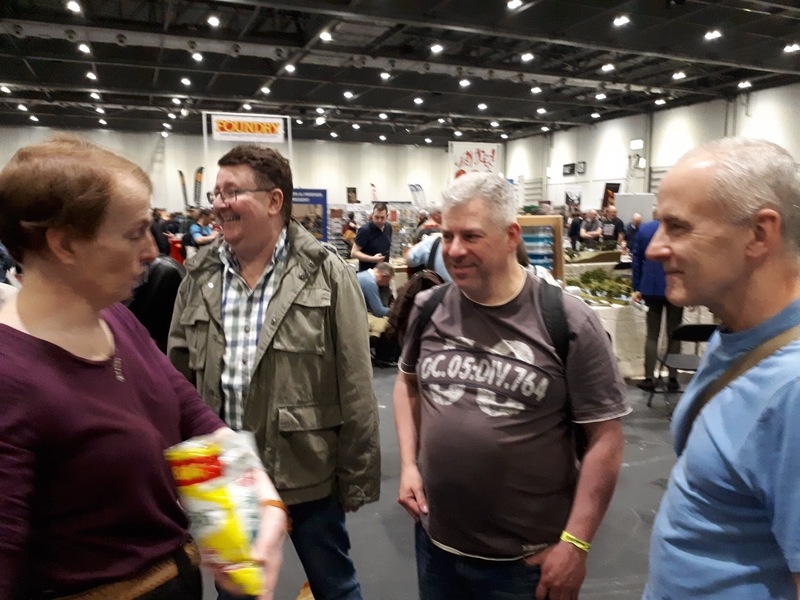 Tamsin, Dave, Carl & Paul? 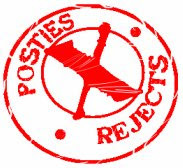 Not sure what Posties up to hear?? 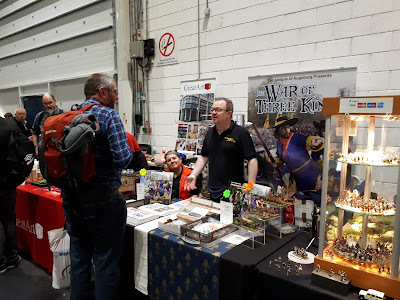 Sir Micheal Awdry looking slighty bemused too? Sir M, Al (Not Tamsin!!!) with Sidney Rounwood. 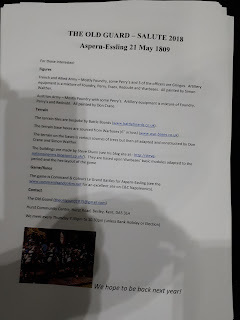 all of the photos on Tamsins camera! 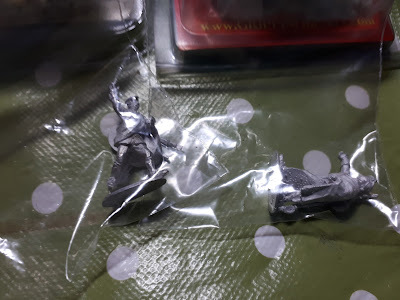 Bob and Prancing Pony............sorry Lee! 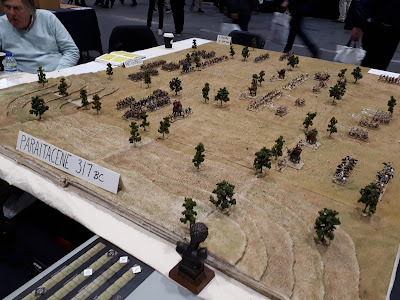 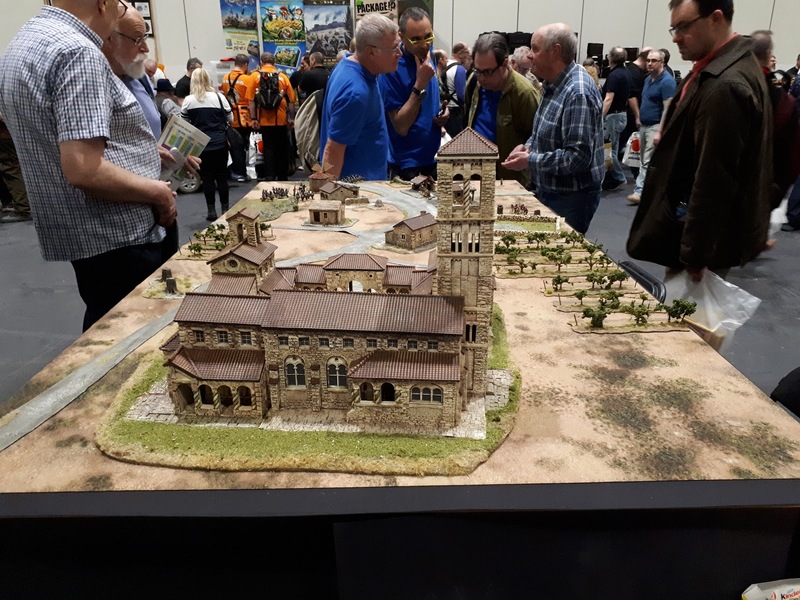 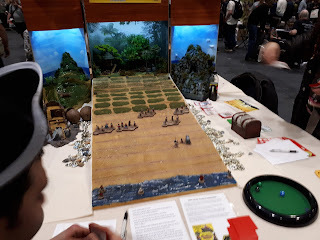 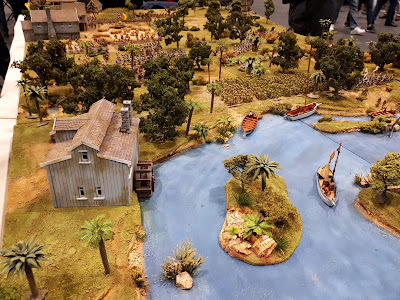 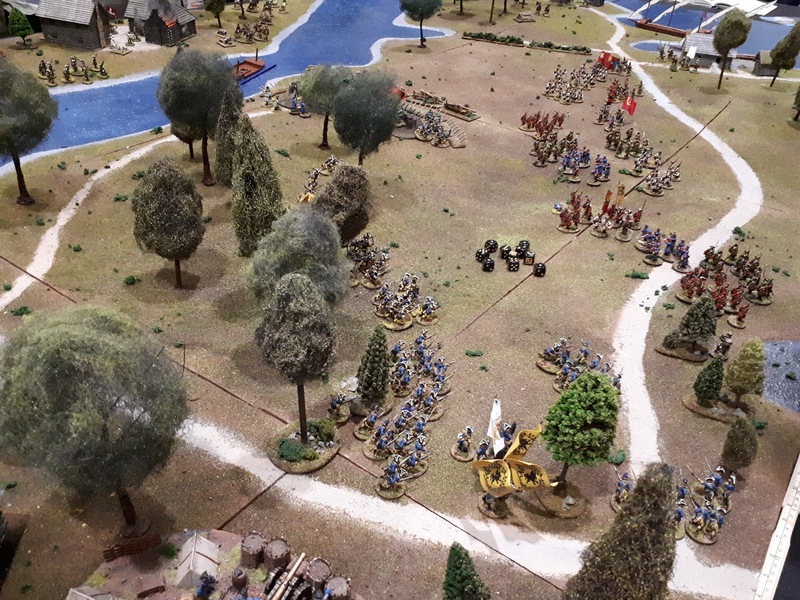 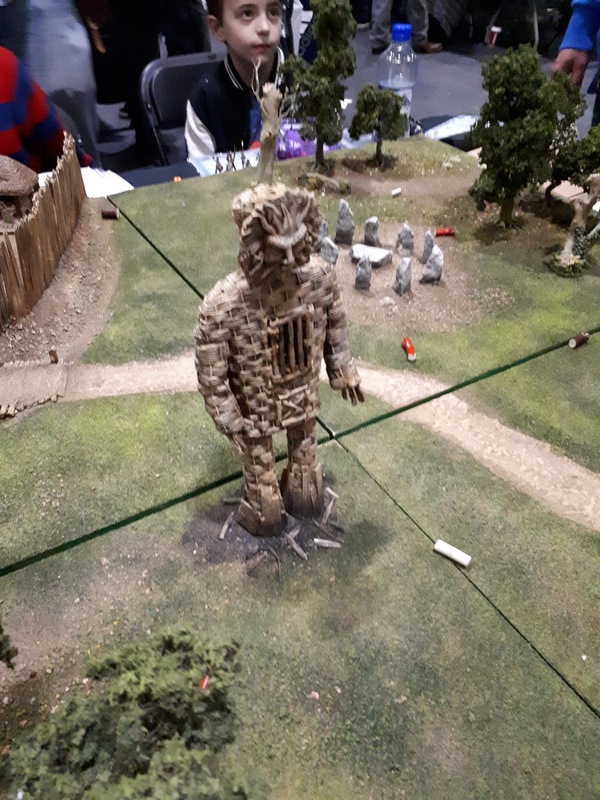 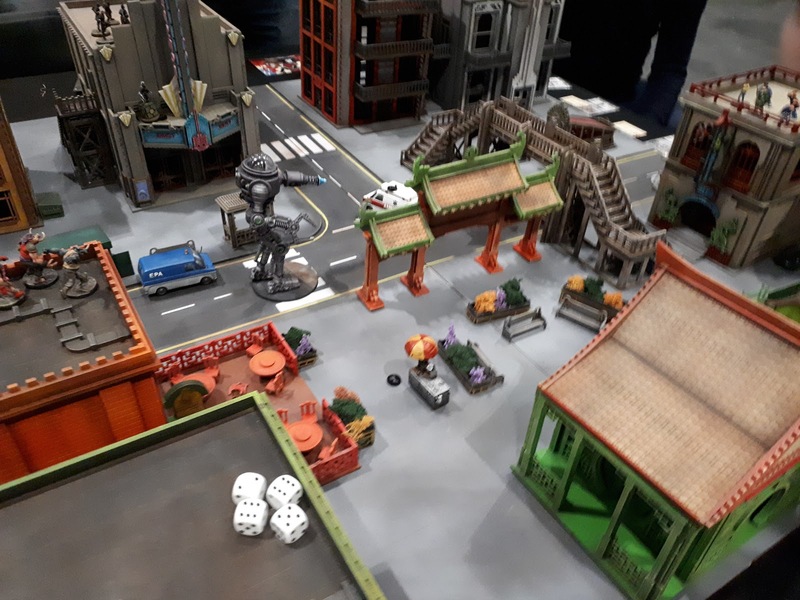 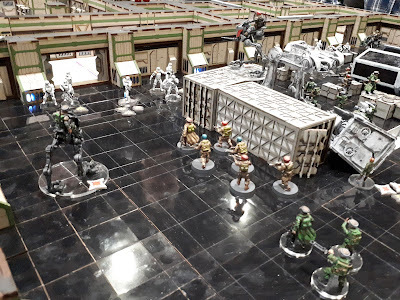 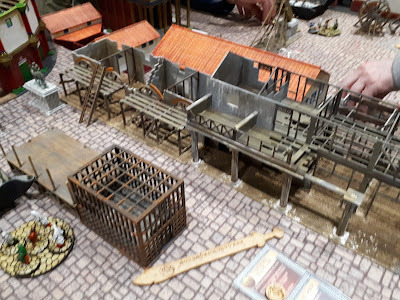 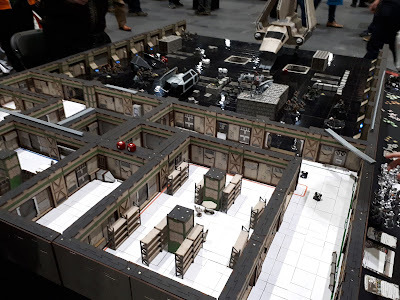 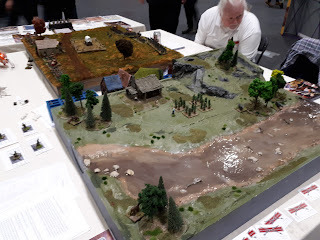 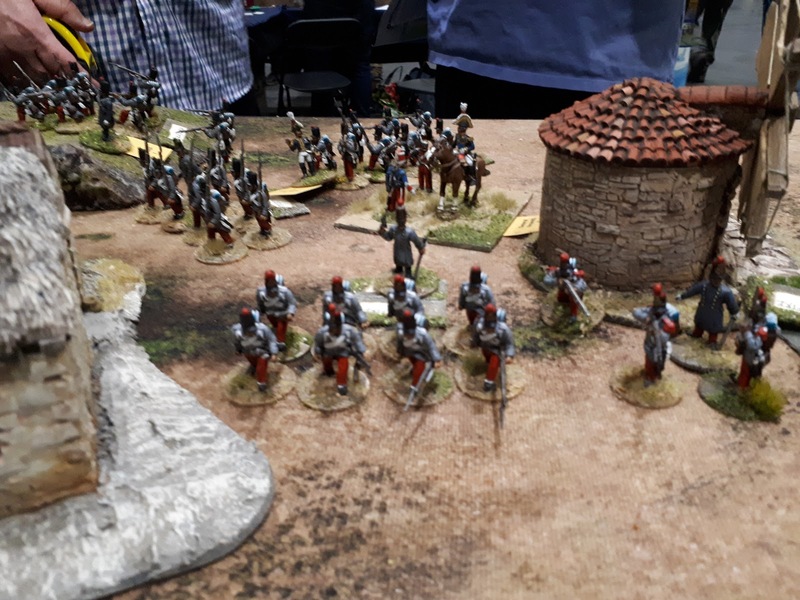 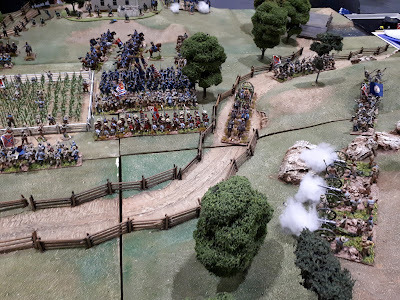 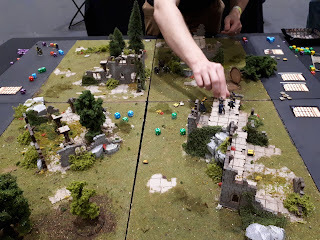 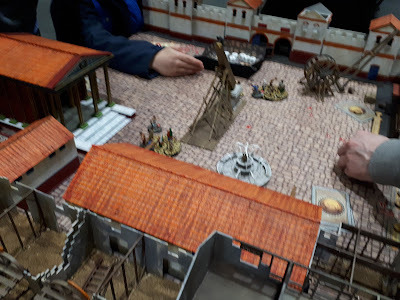 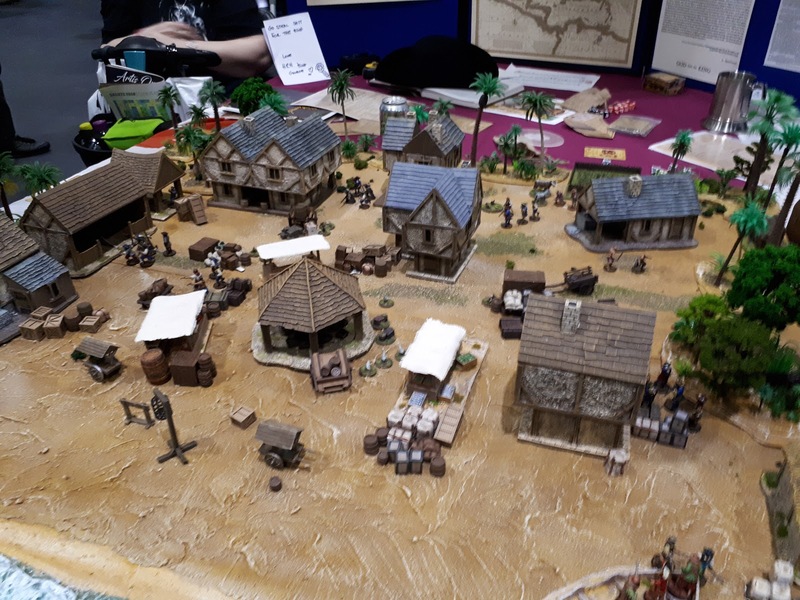 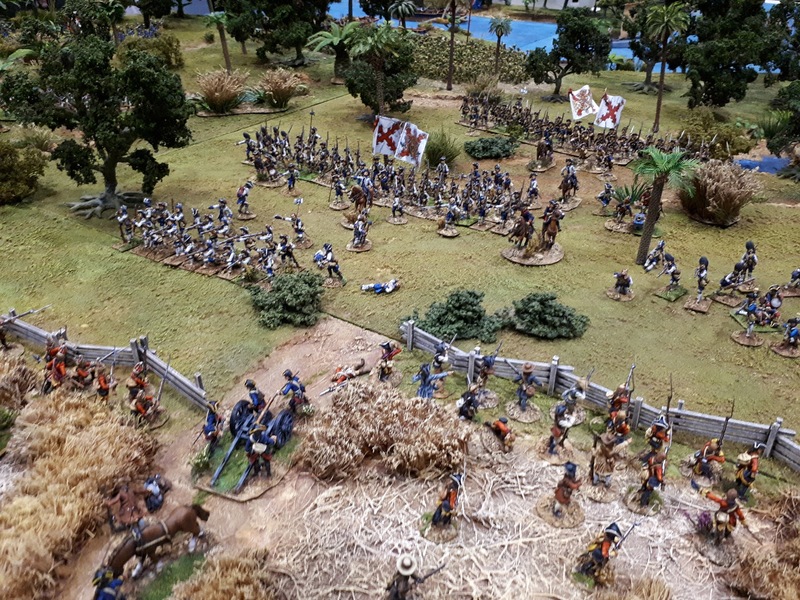 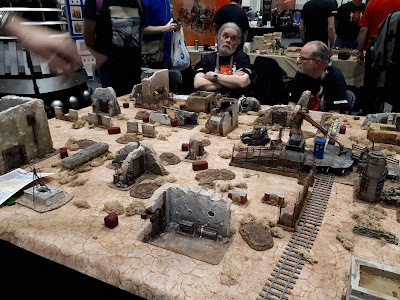 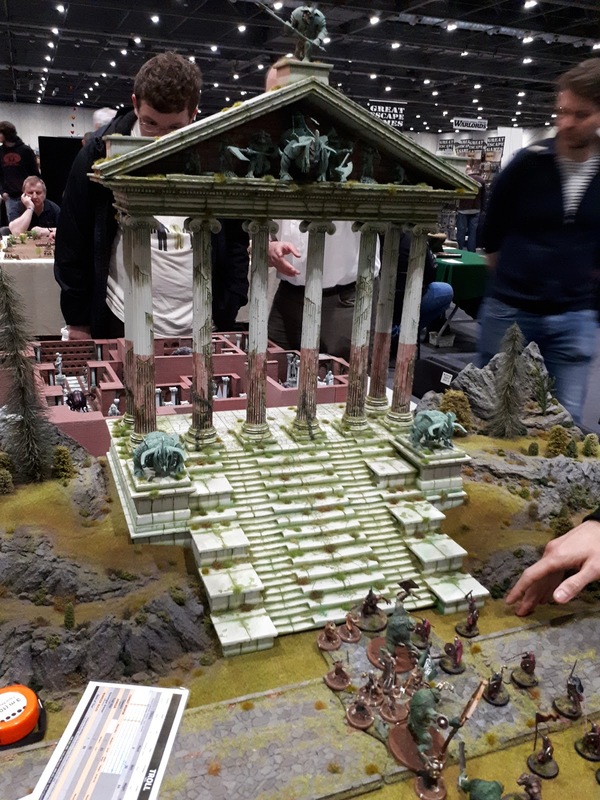 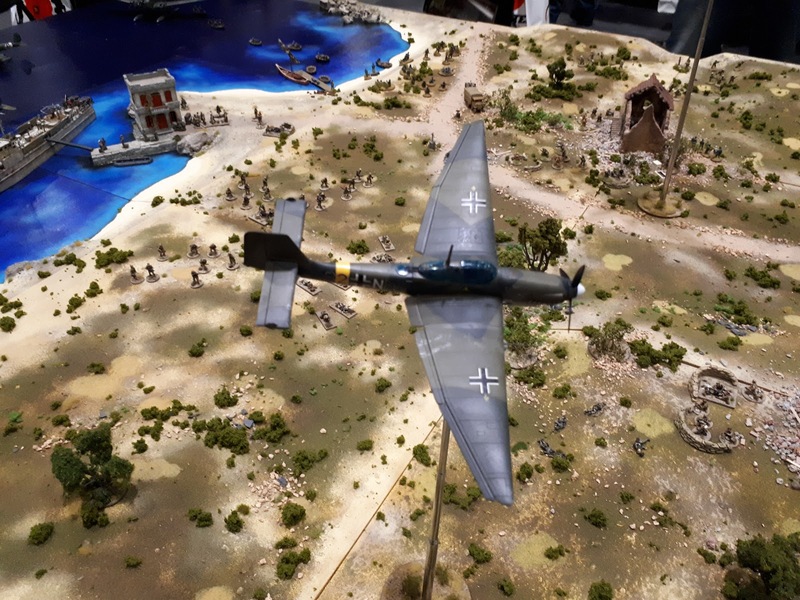 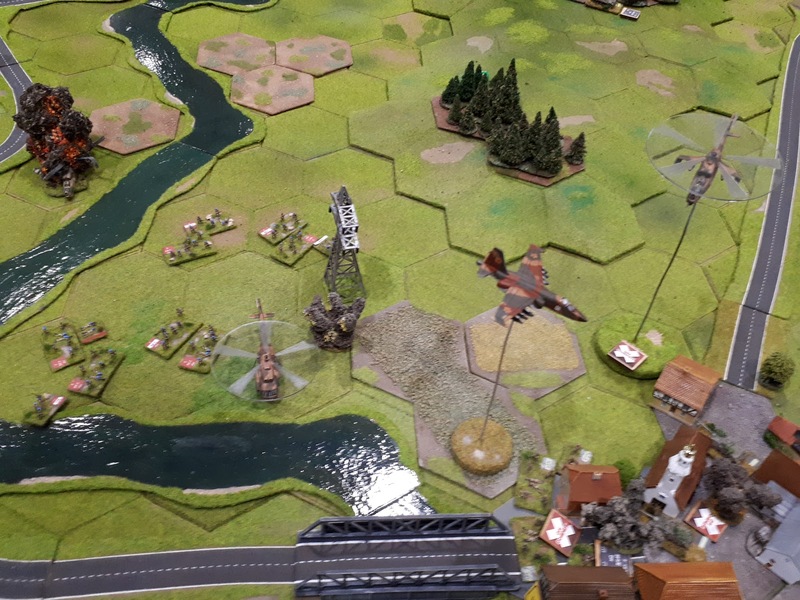 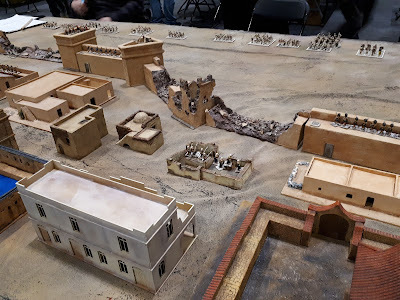 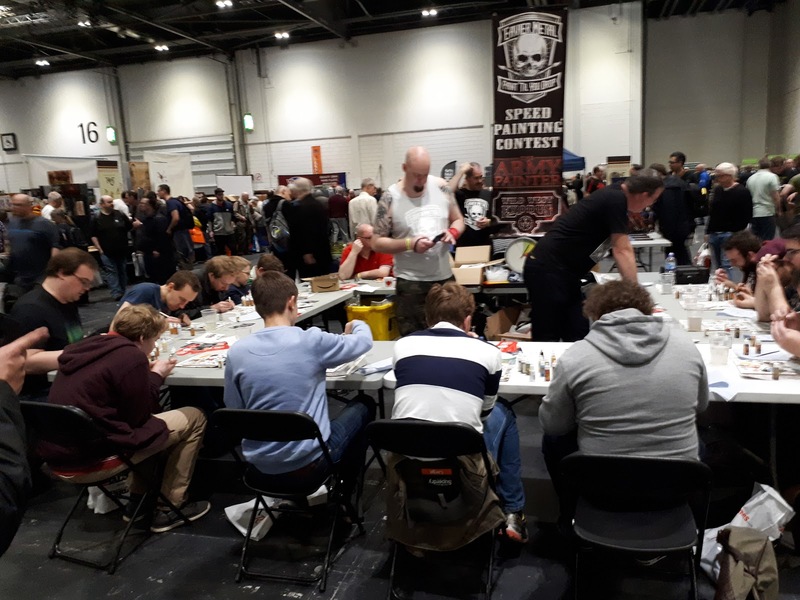 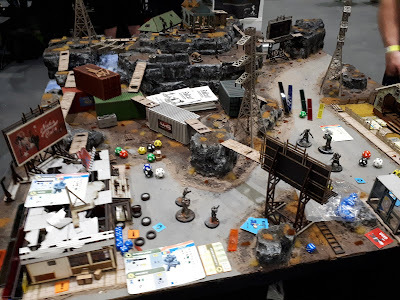 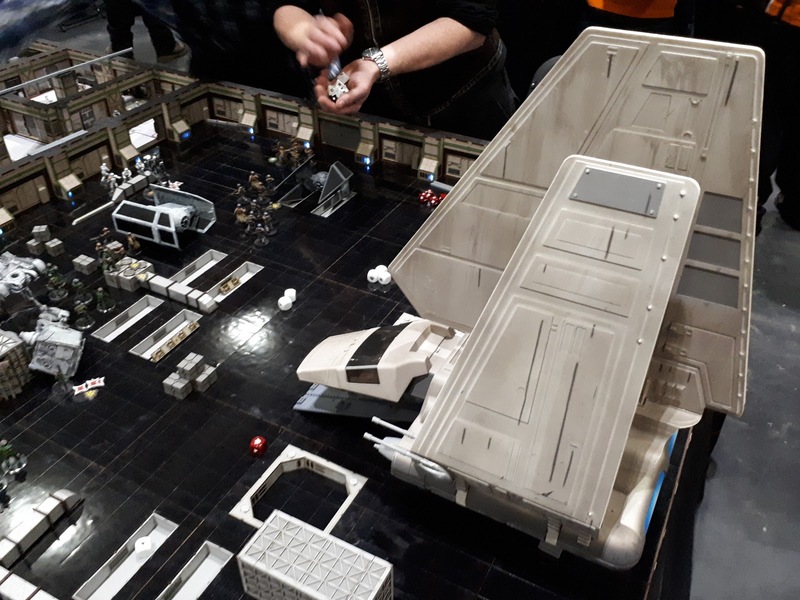 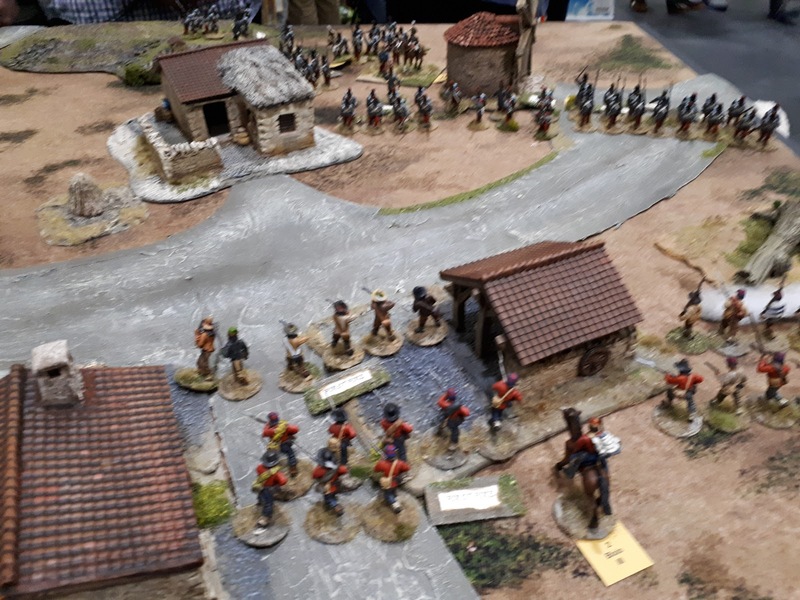 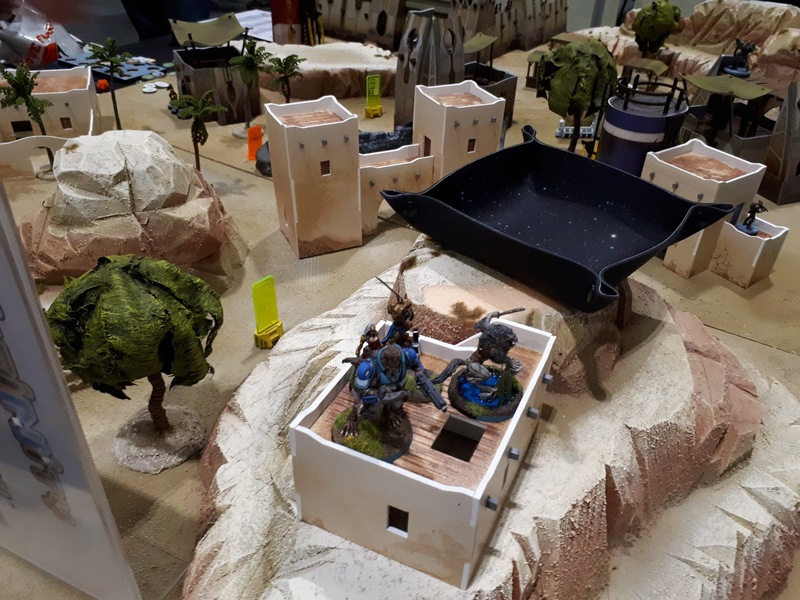 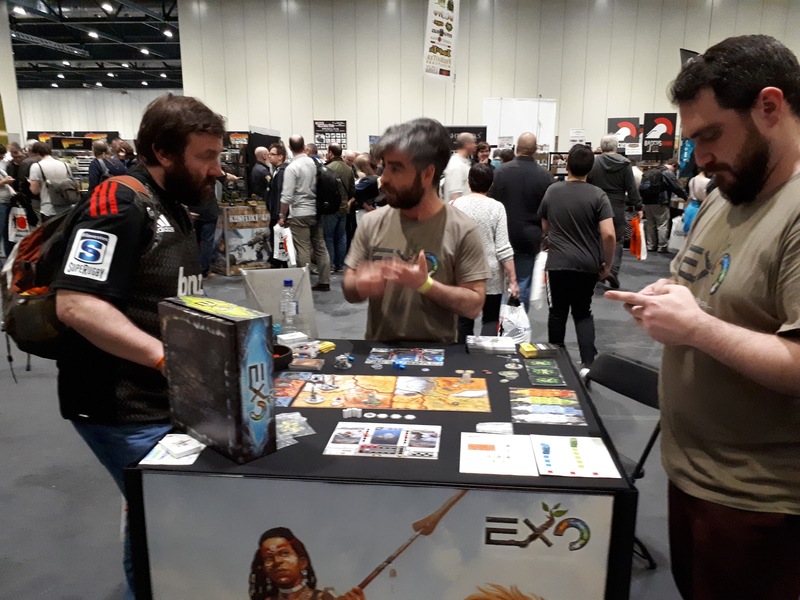 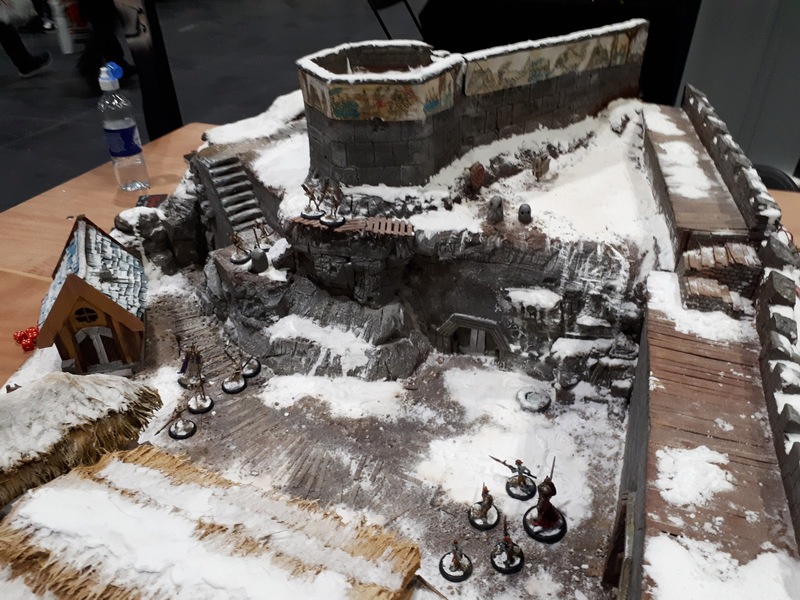 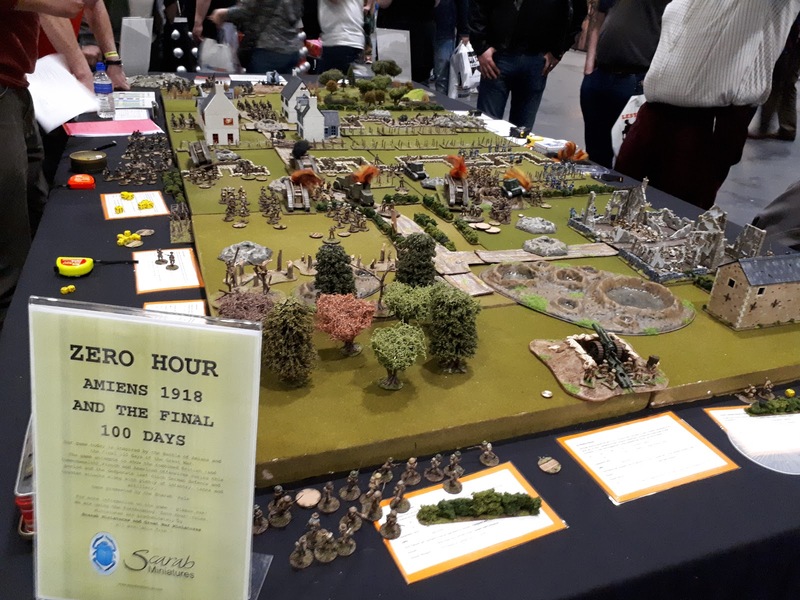 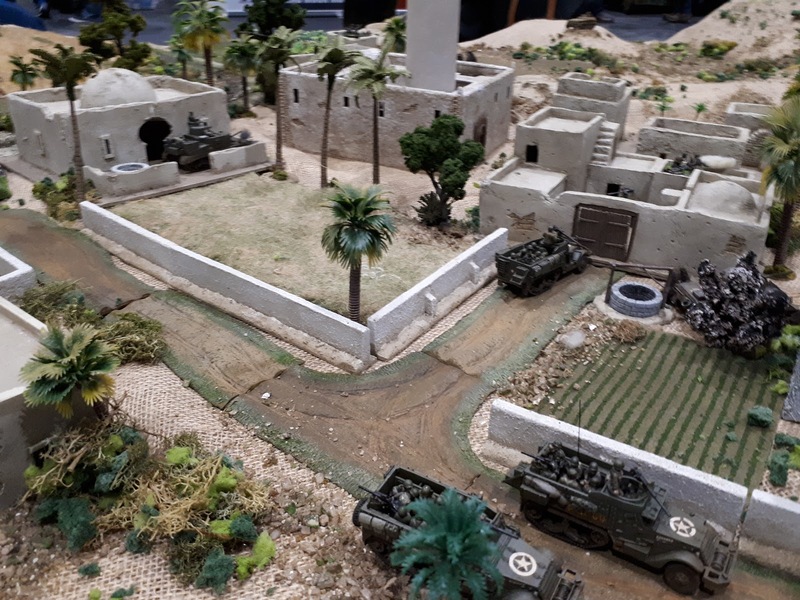 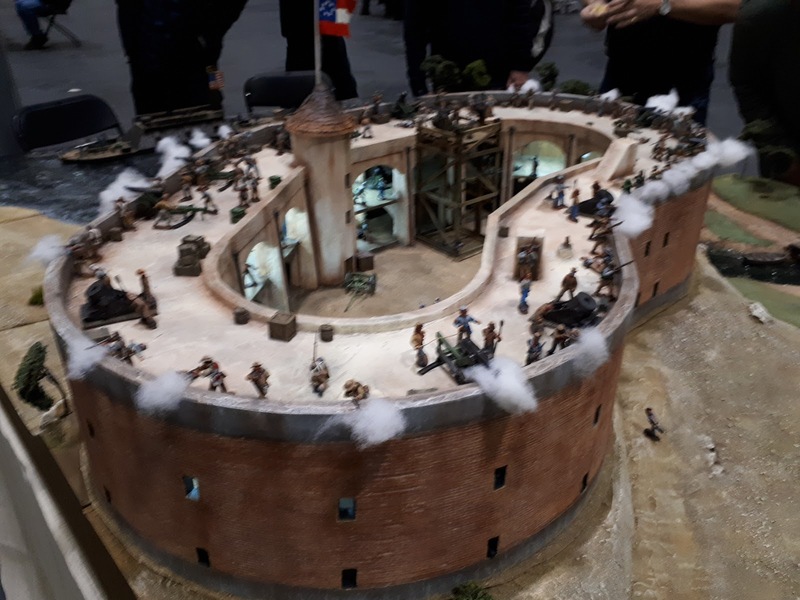 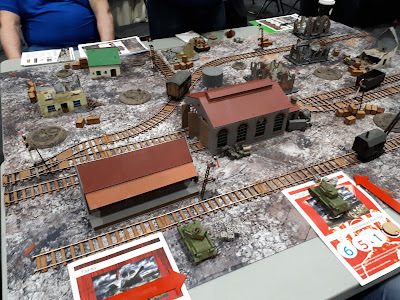 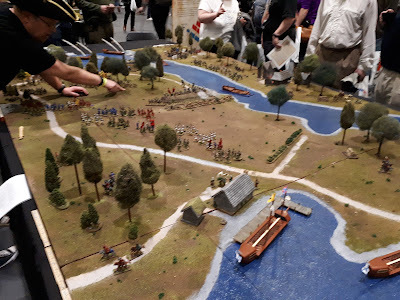 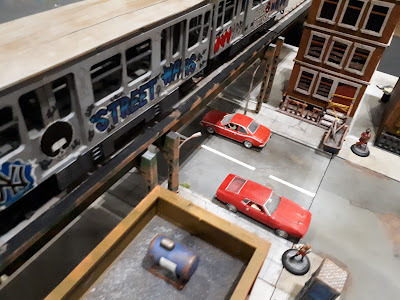 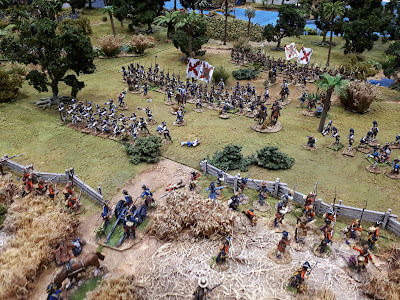 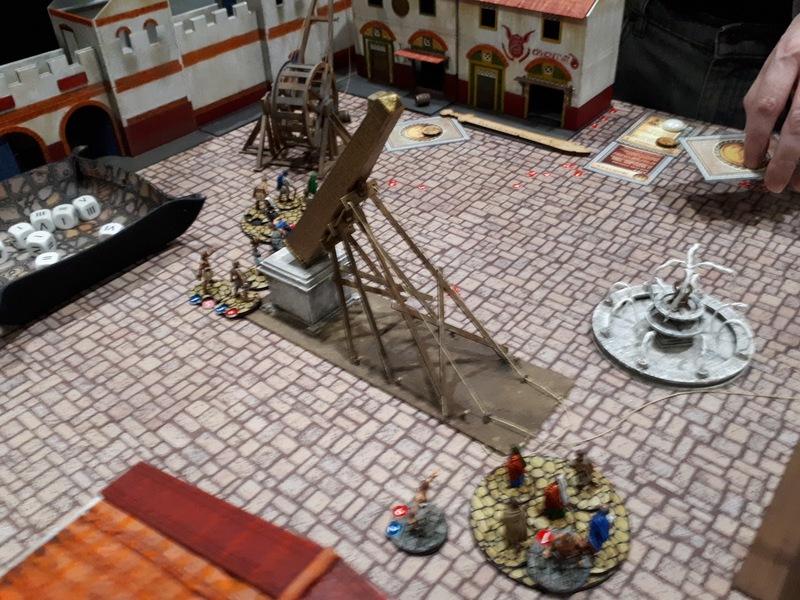 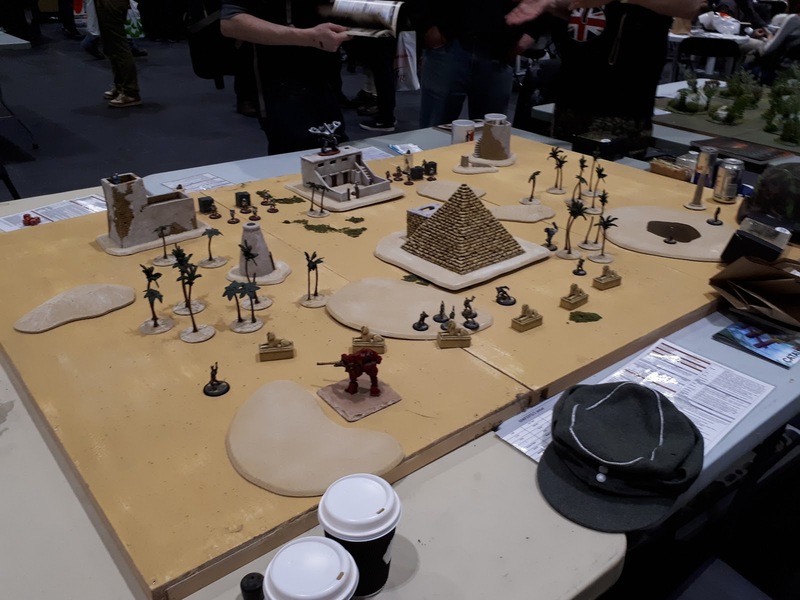 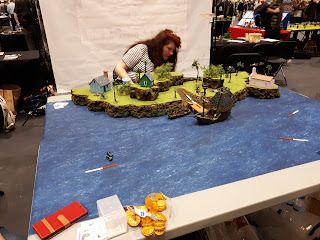 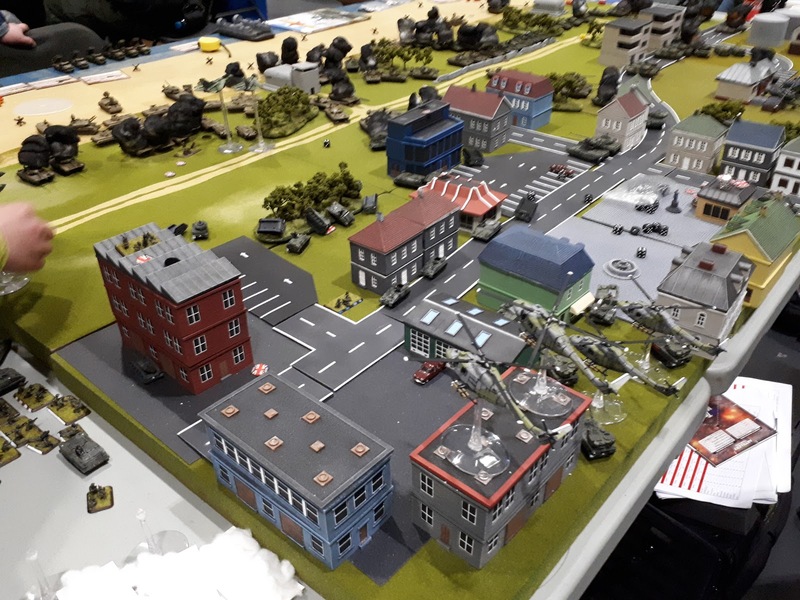 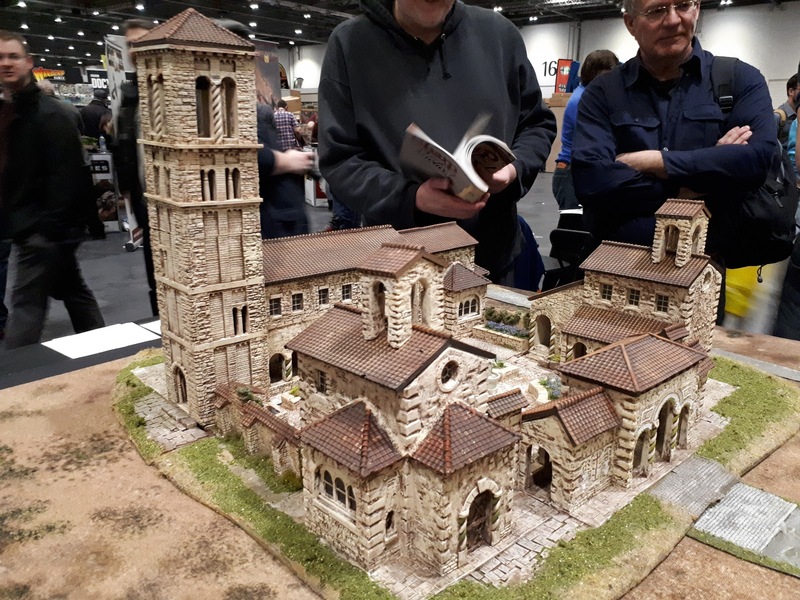 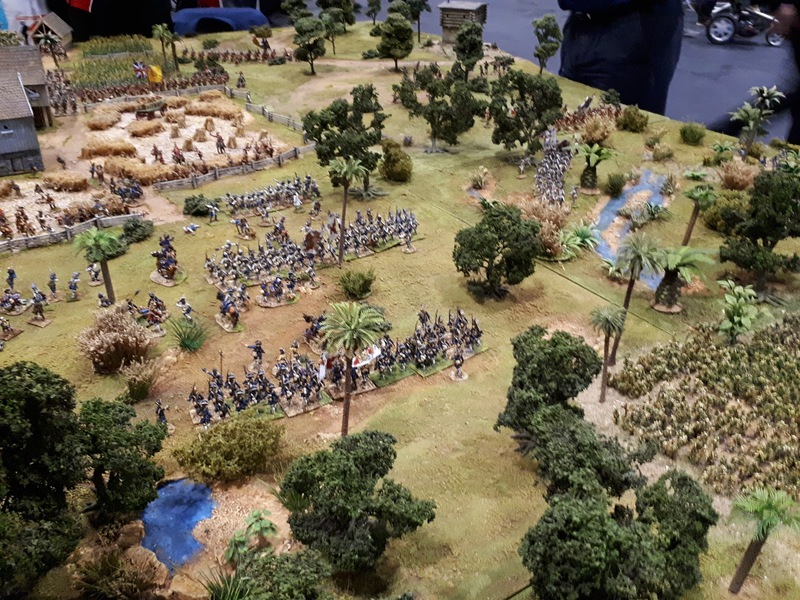 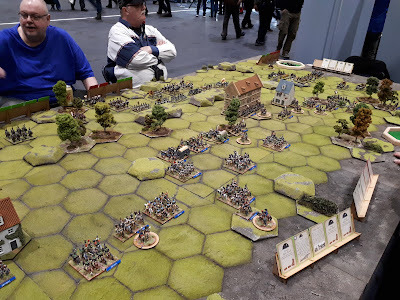 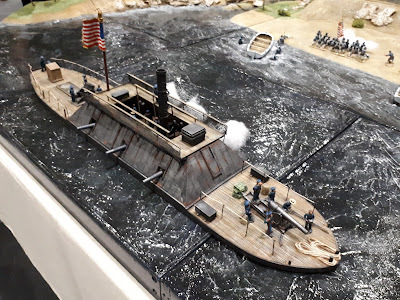 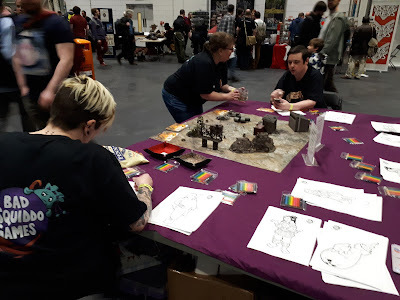 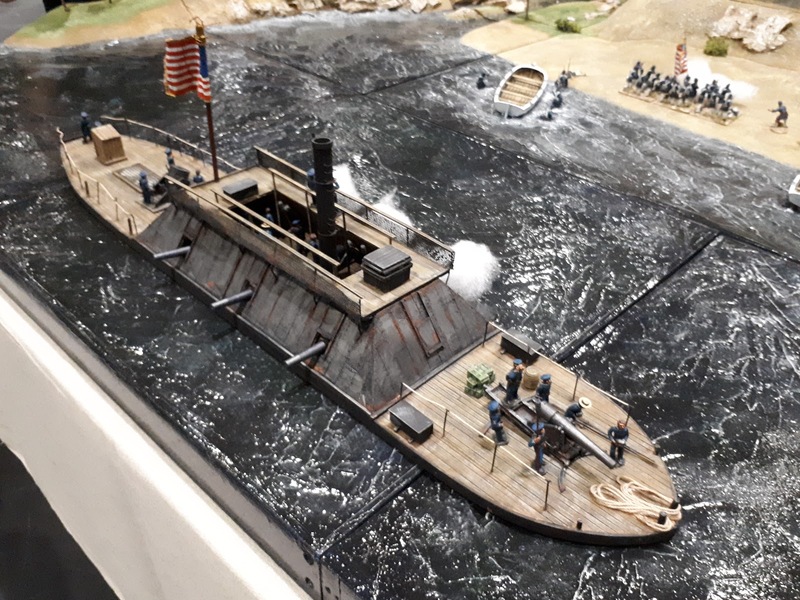 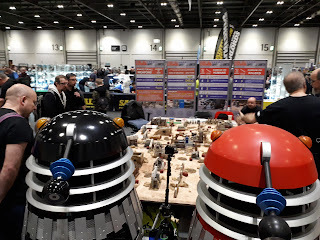 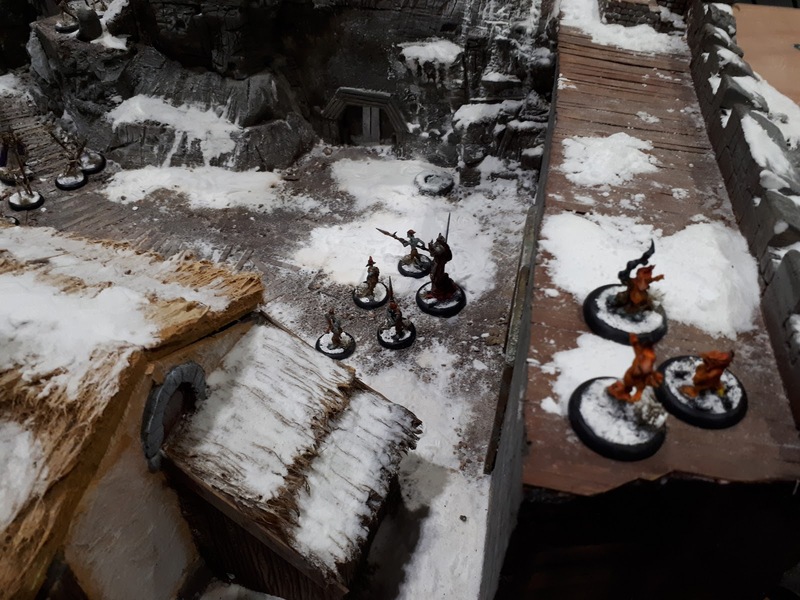 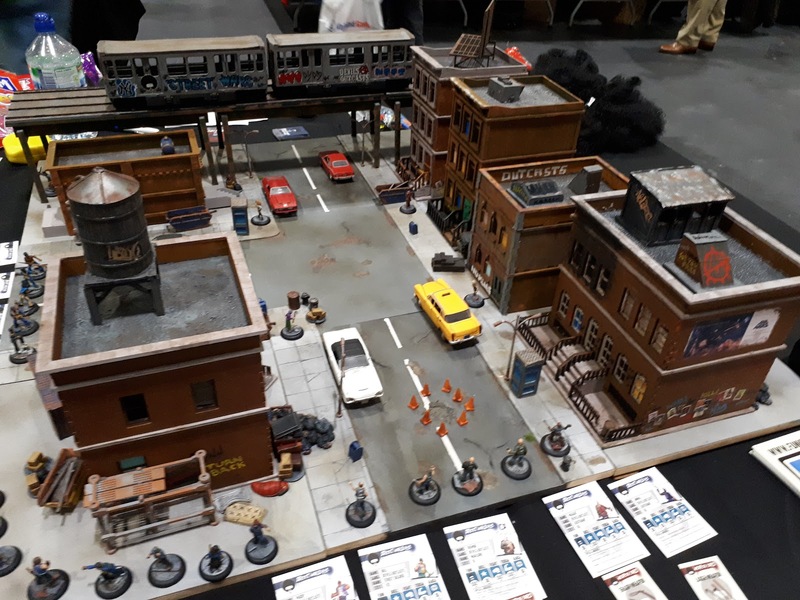 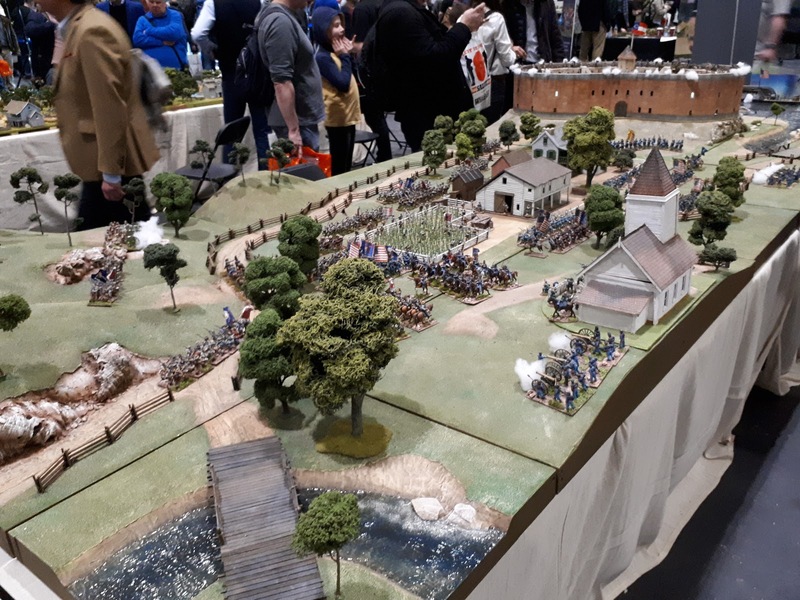 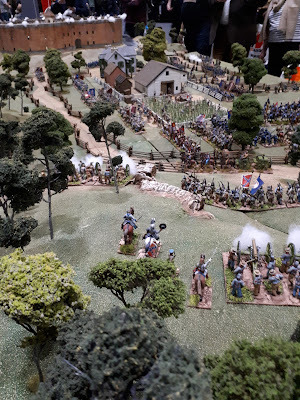 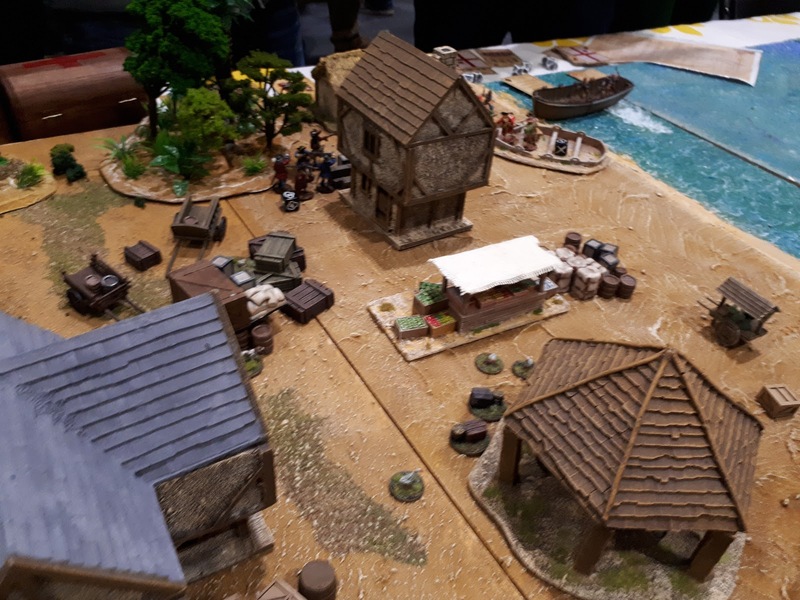 extravaganza that is Salute 2018. 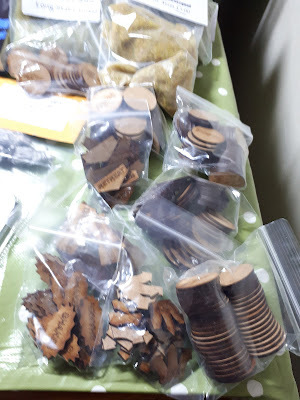 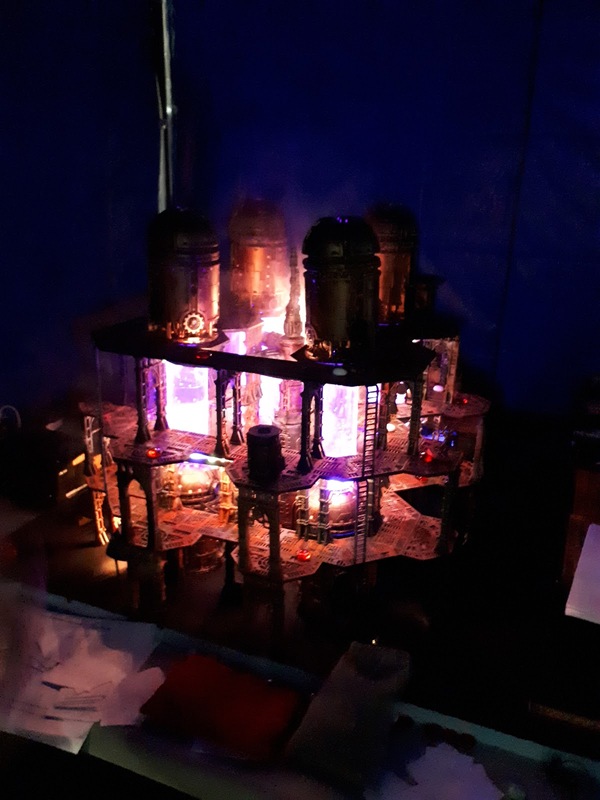 I took stacks of photos using my phone, now here is my problem.....a few months ago I had an update on my ever trusty phone, now it takes rather crap photos, so unfortunately some of the photos had to go in the bin. 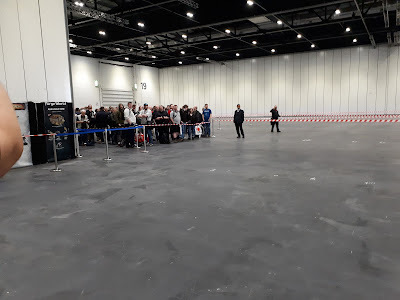 We'd only just walked in the doors nice and early around 8:30ish!! 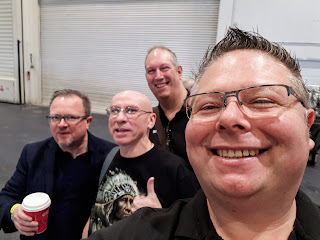 who came back for a selfie with the Rejects. The queue to get in at about 8:45!! Barry telling heroic tails of The War of Three Kings!! 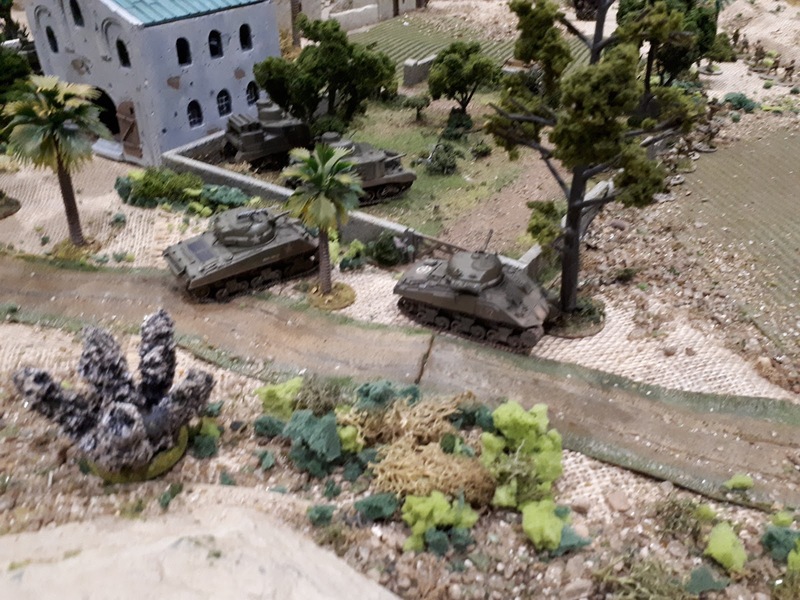 Beautiful scenery. 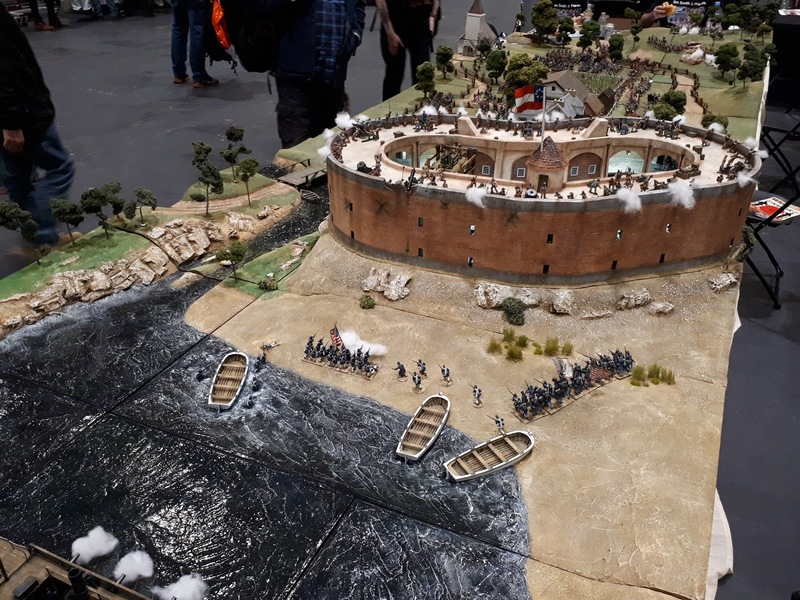 Just love how they painted the water. My Favourite of the show! and a 6mm game as well! 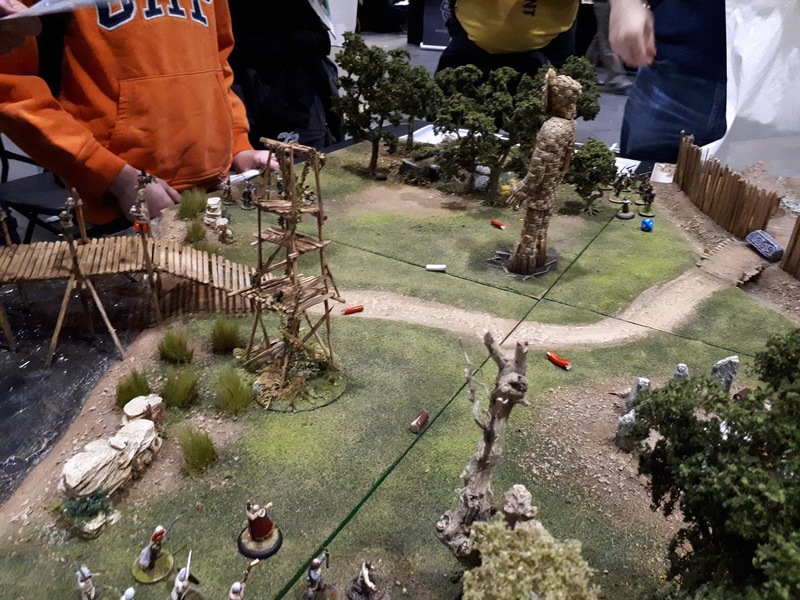 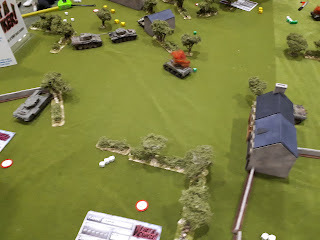 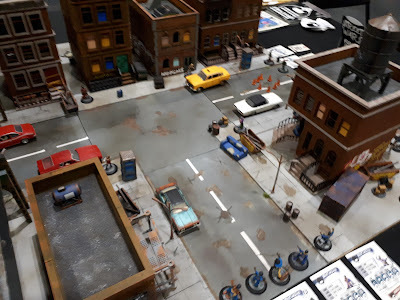 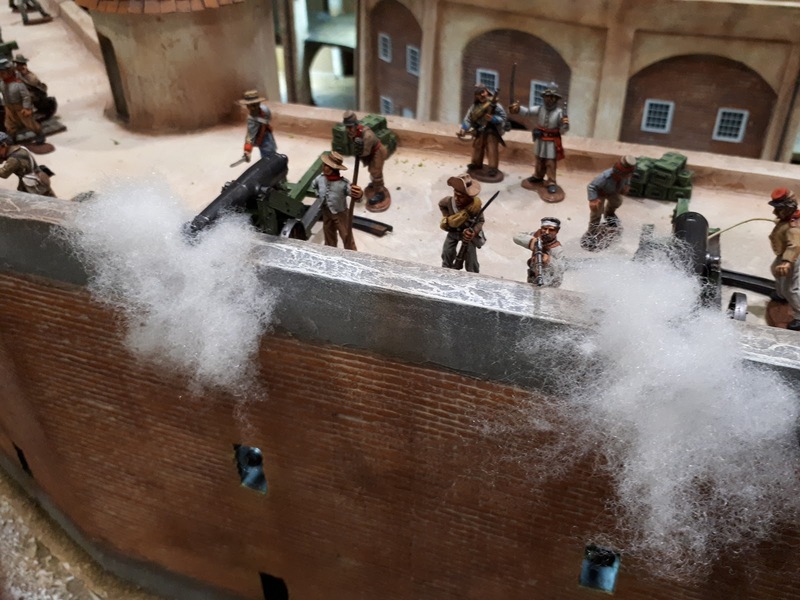 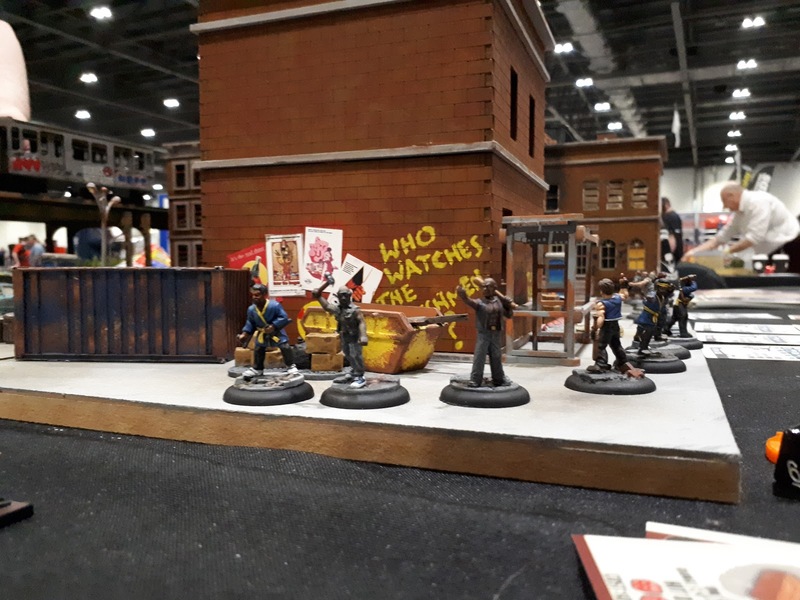 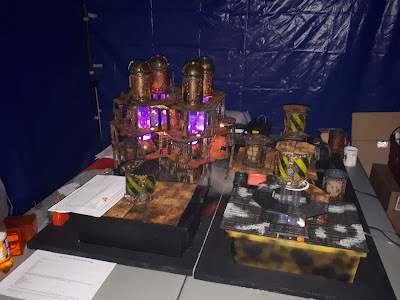 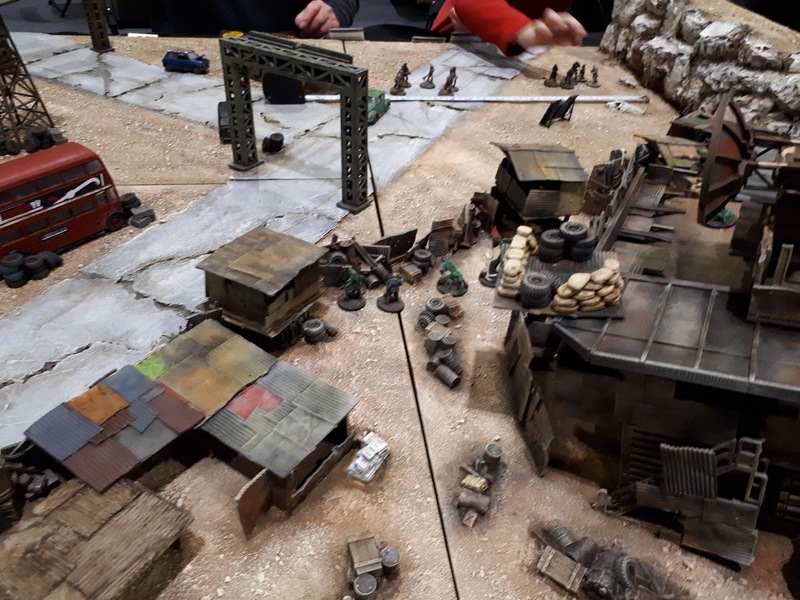 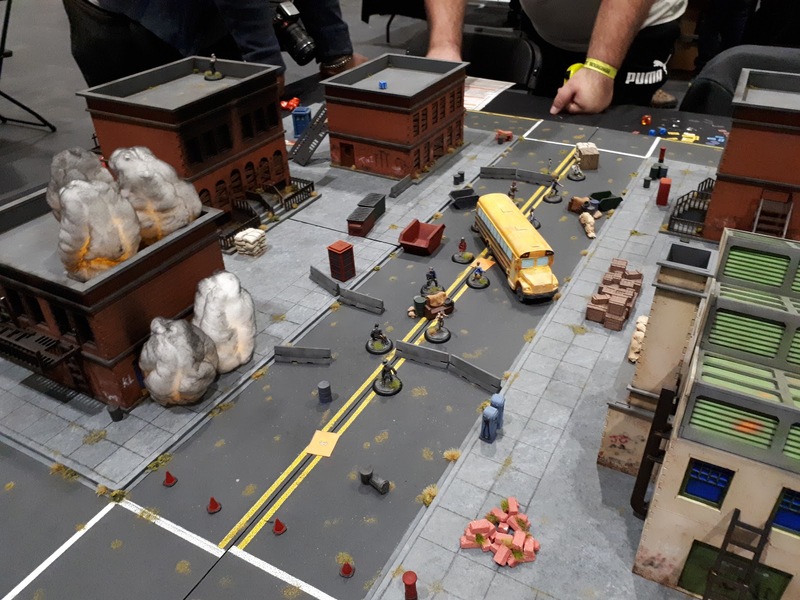 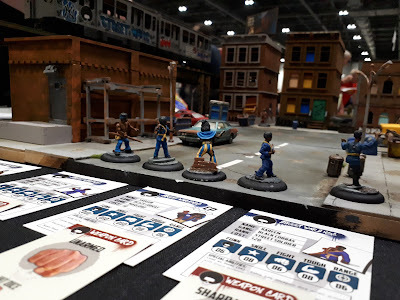 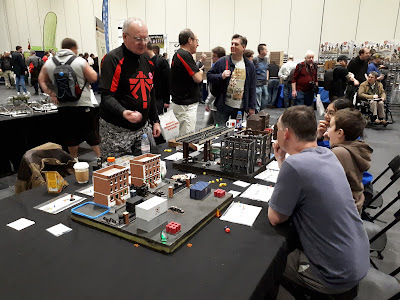 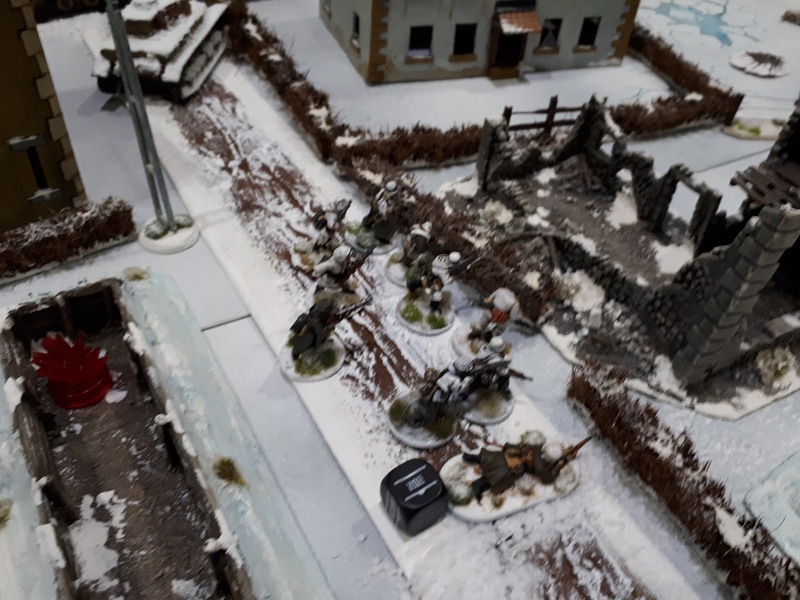 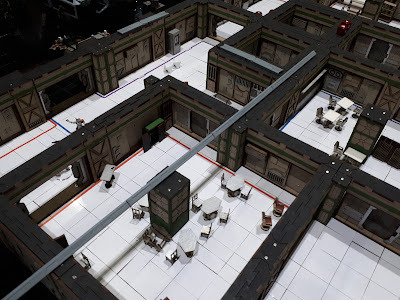 Bexley Reapers Wargaming Club - Dead Show Zombies invade Salute! Blogger Lee on the left, gets in on the act! 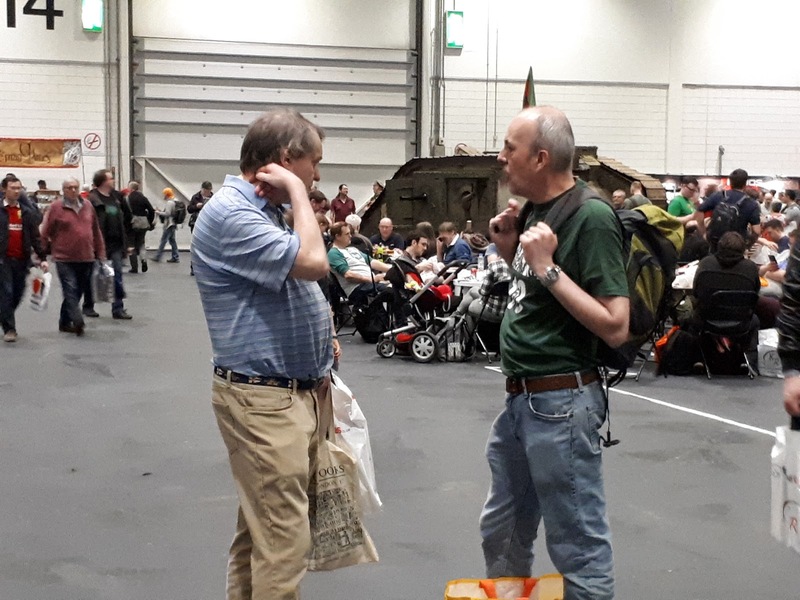 and so does Carl Packham, on the right. 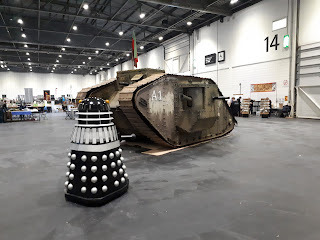 So there you go......this years Salute!! 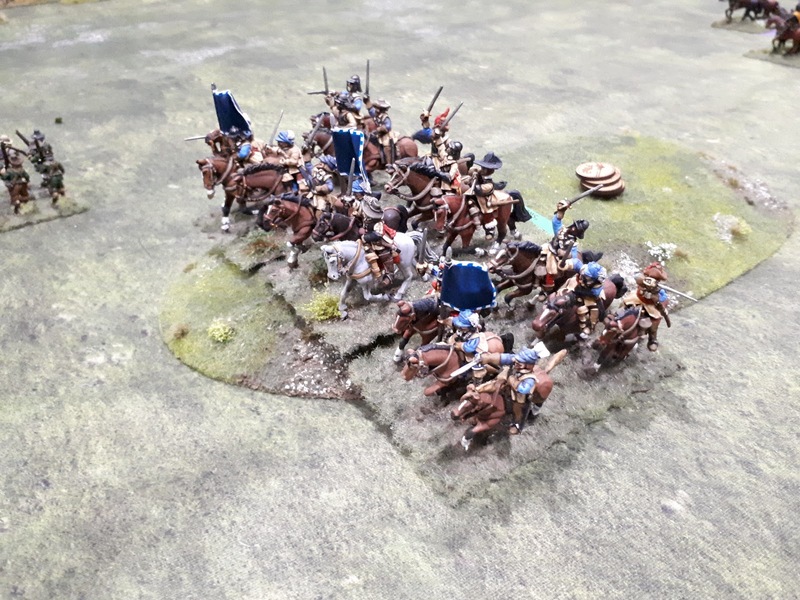 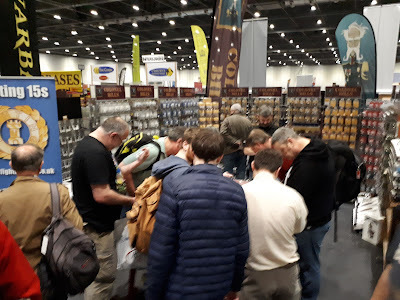 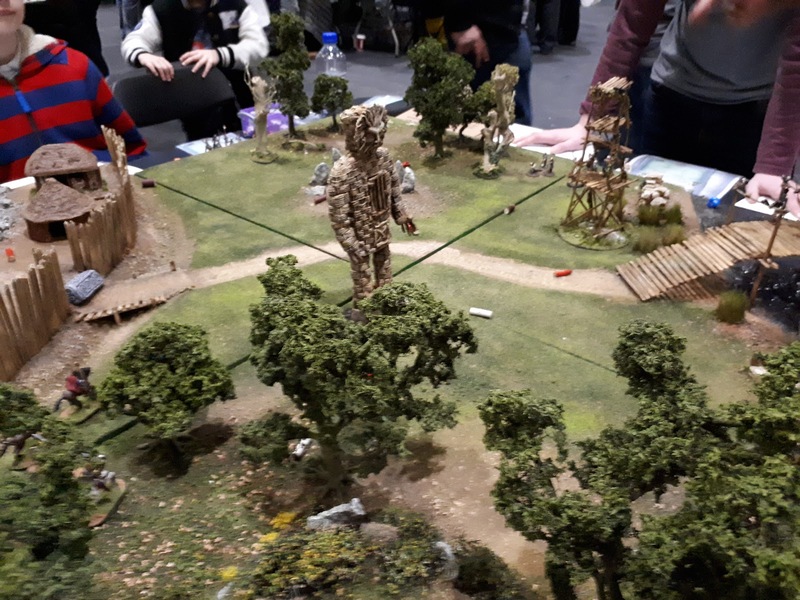 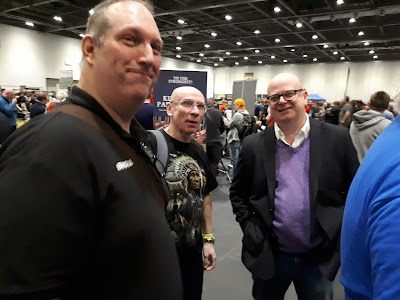 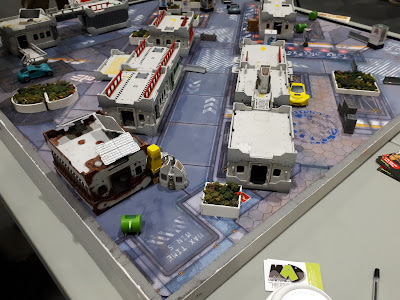 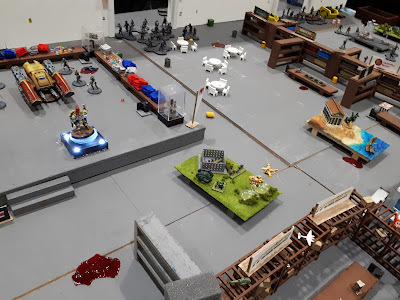 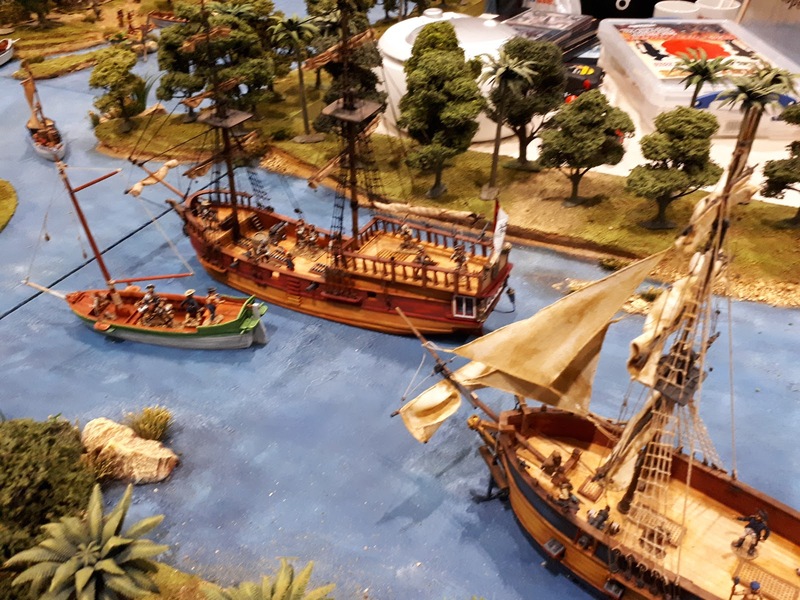 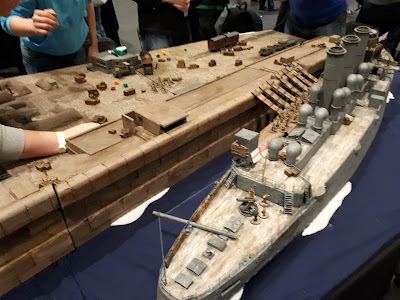 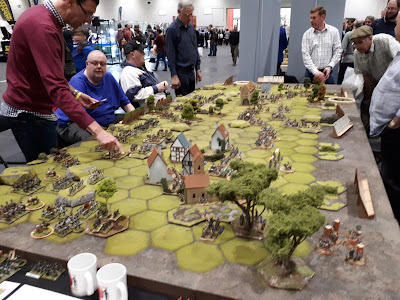 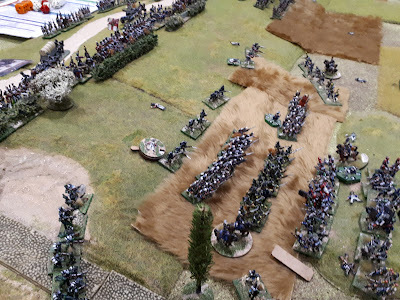 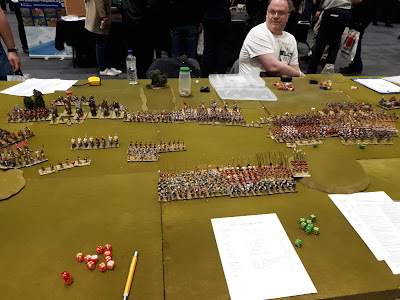 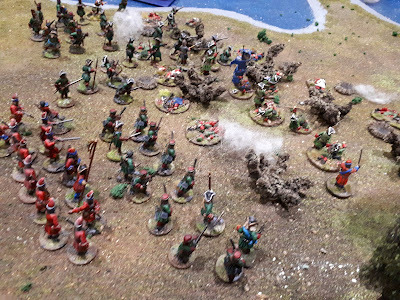 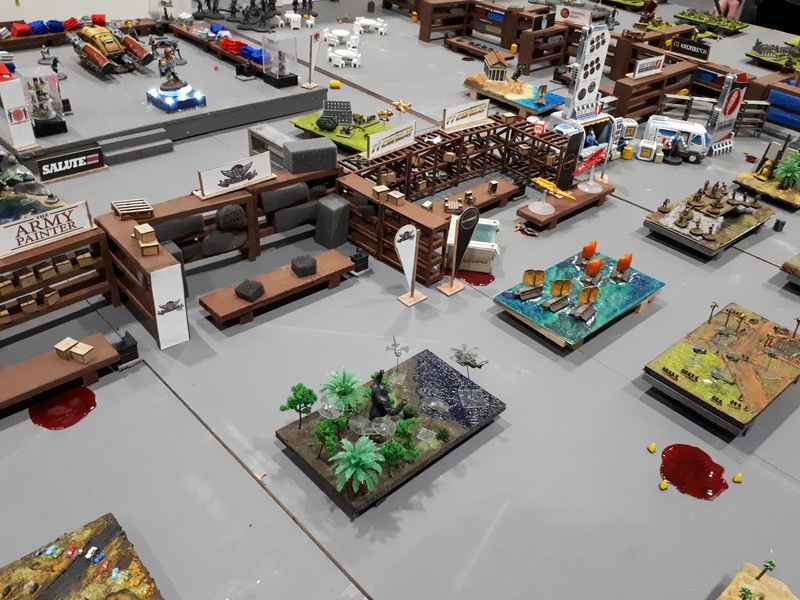 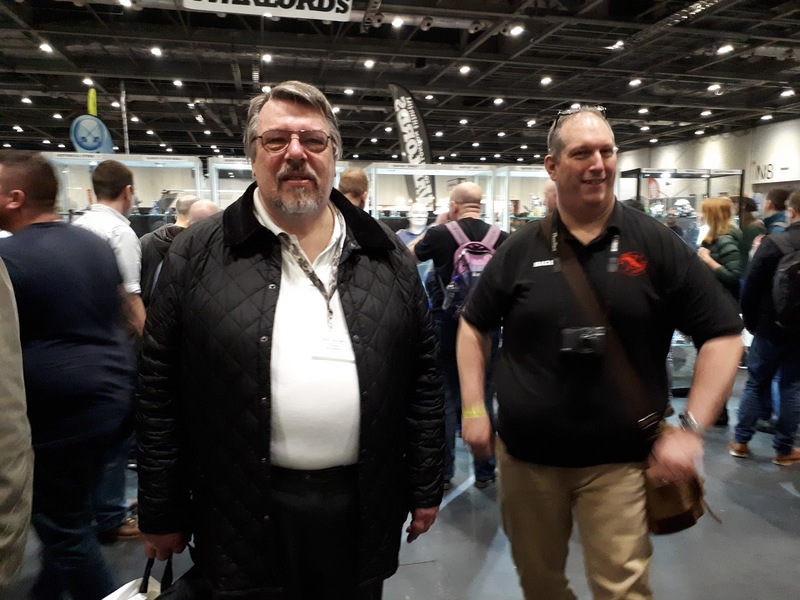 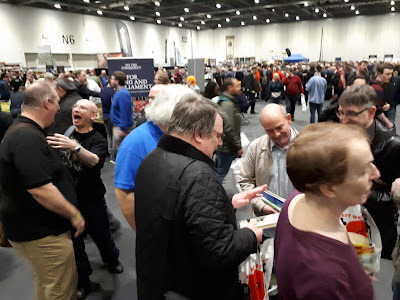 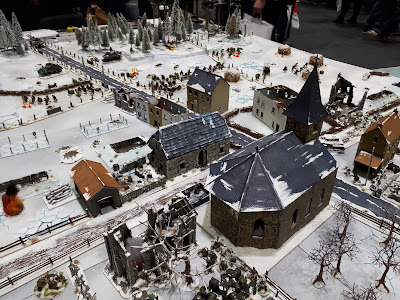 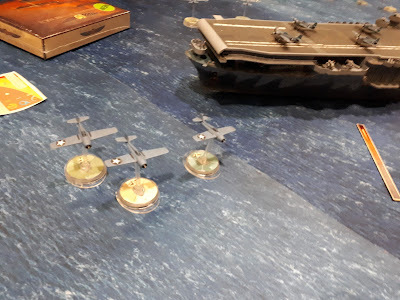 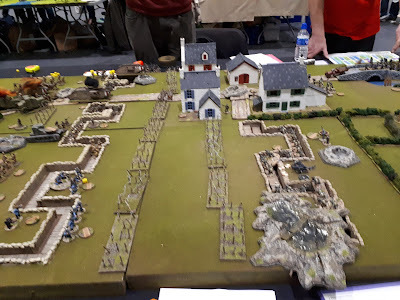 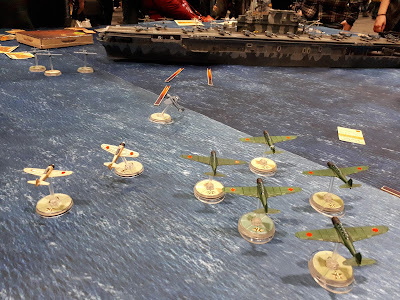 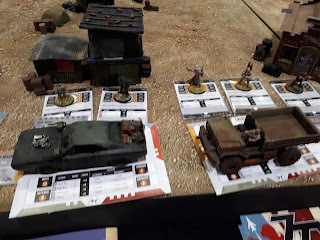 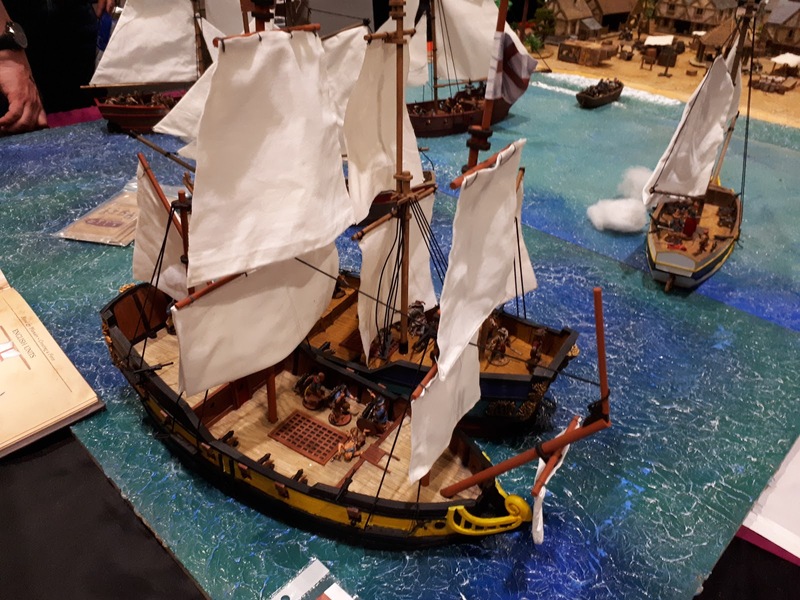 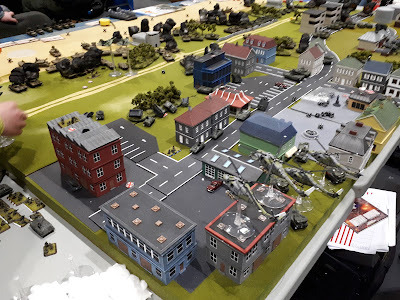 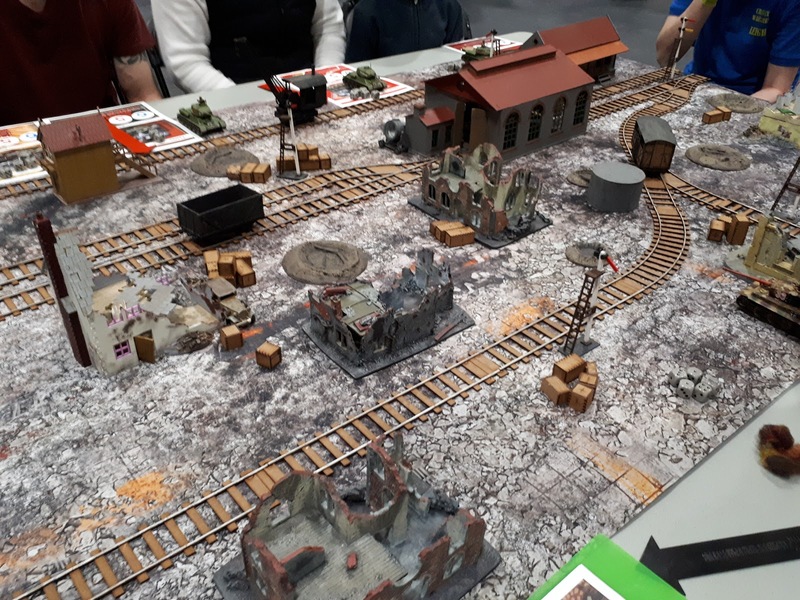 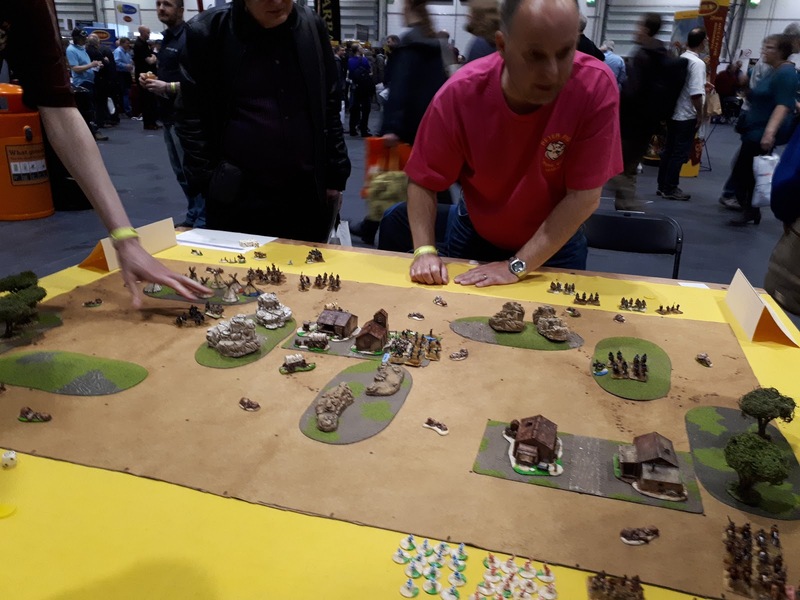 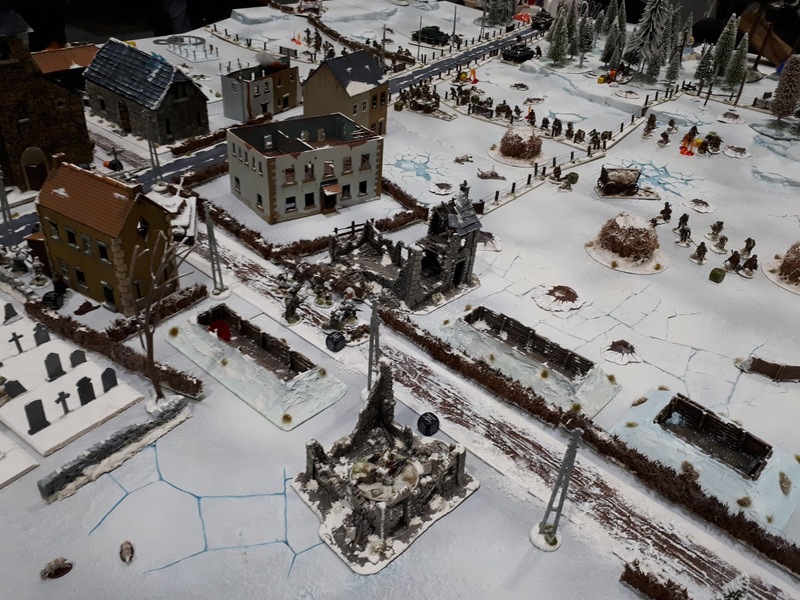 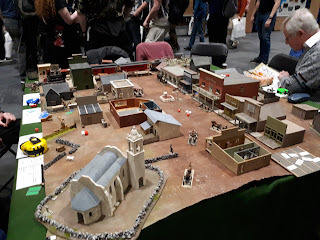 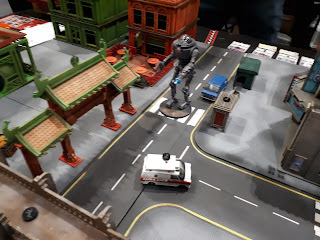 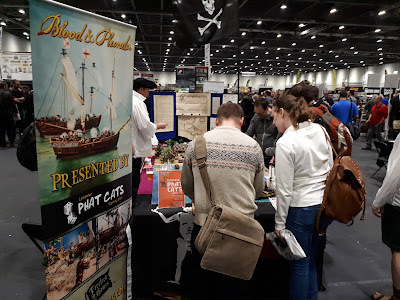 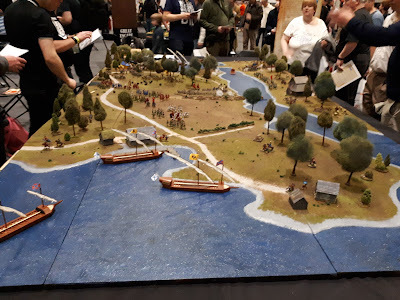 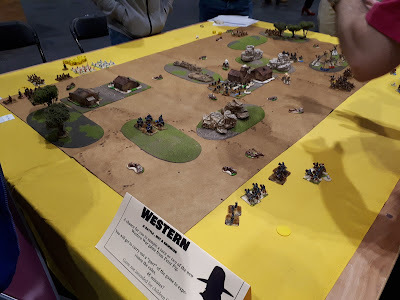 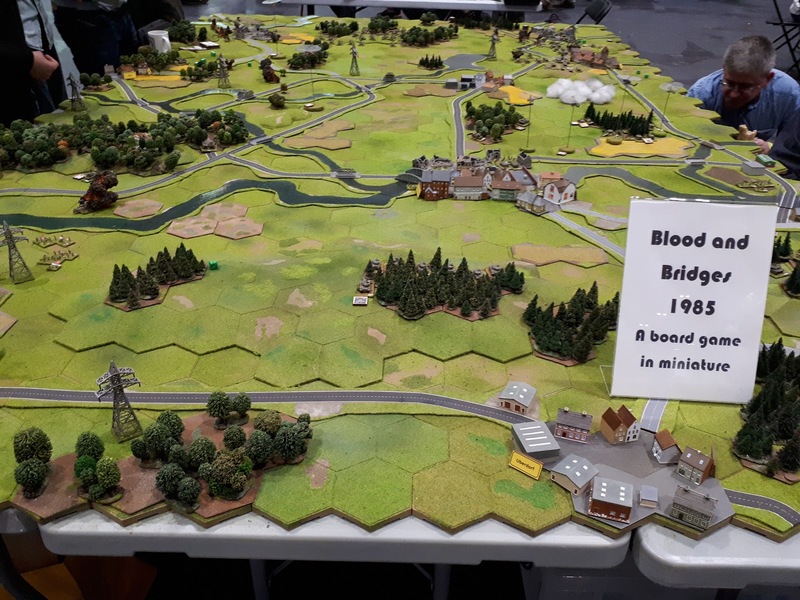 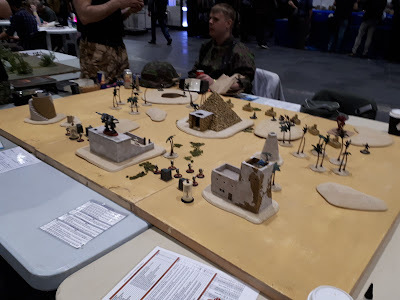 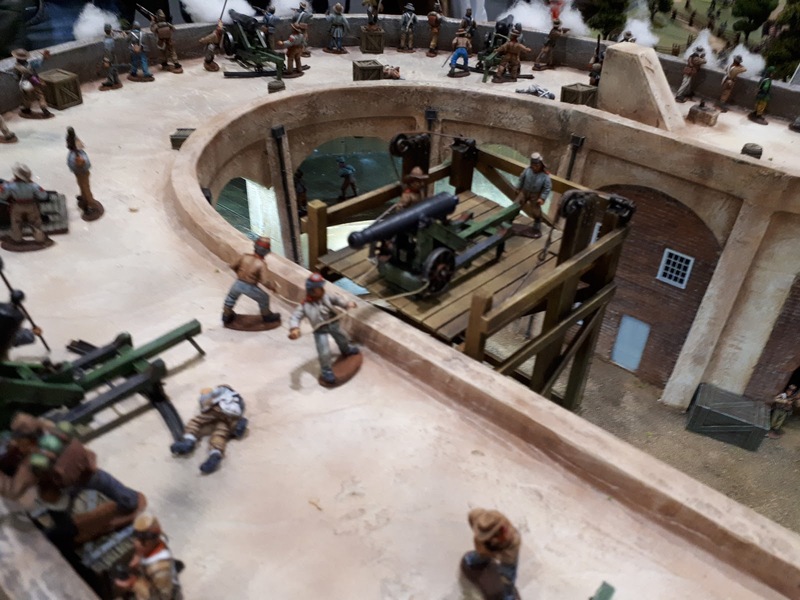 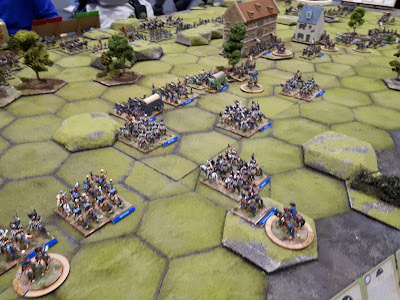 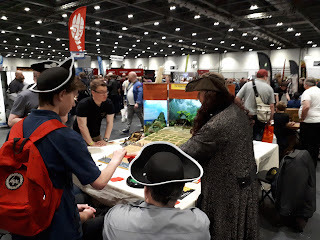 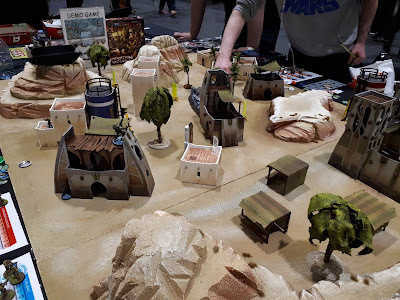 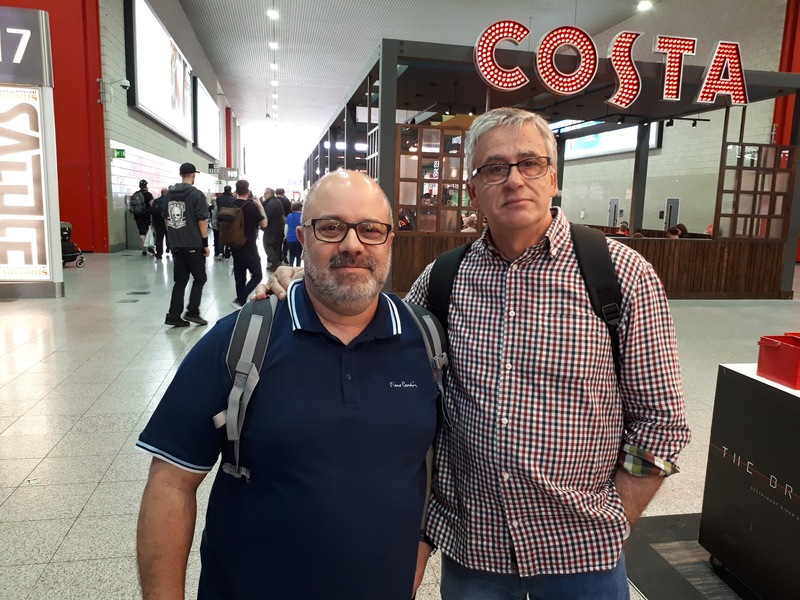 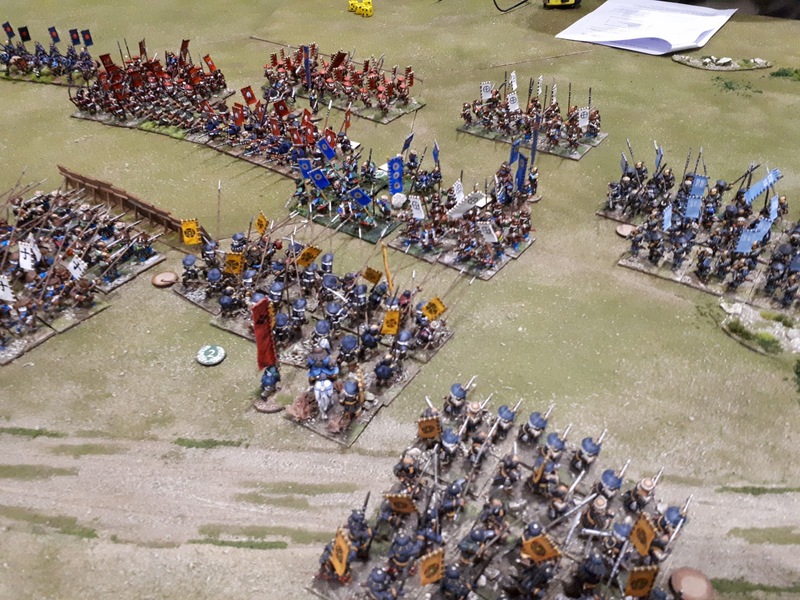 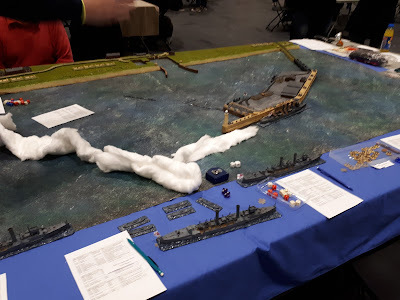 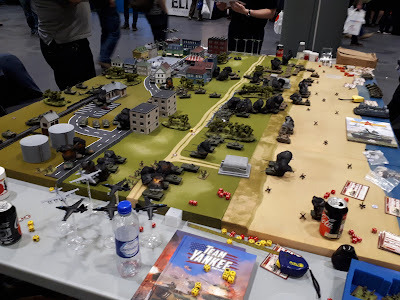 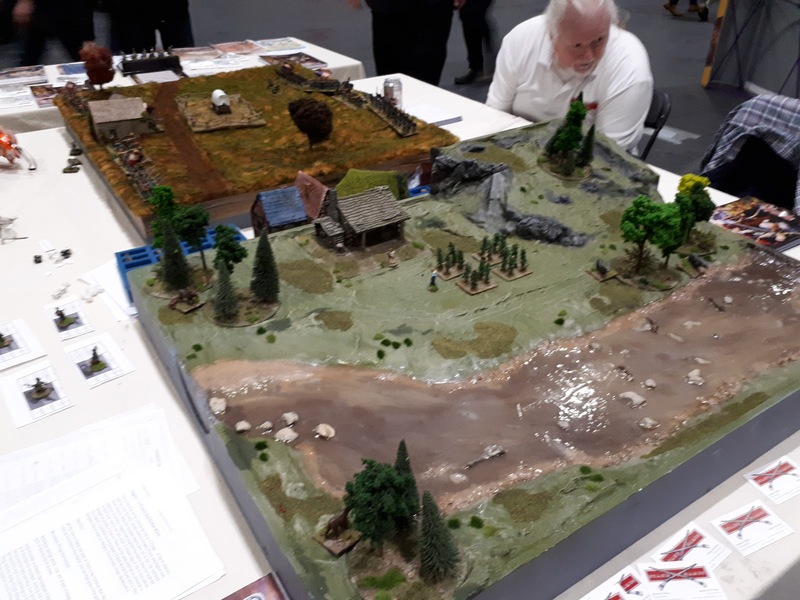 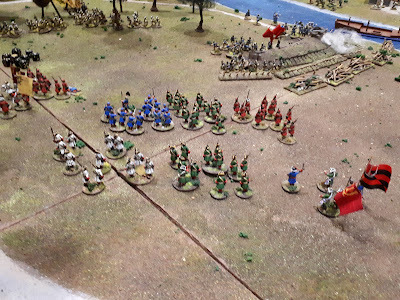 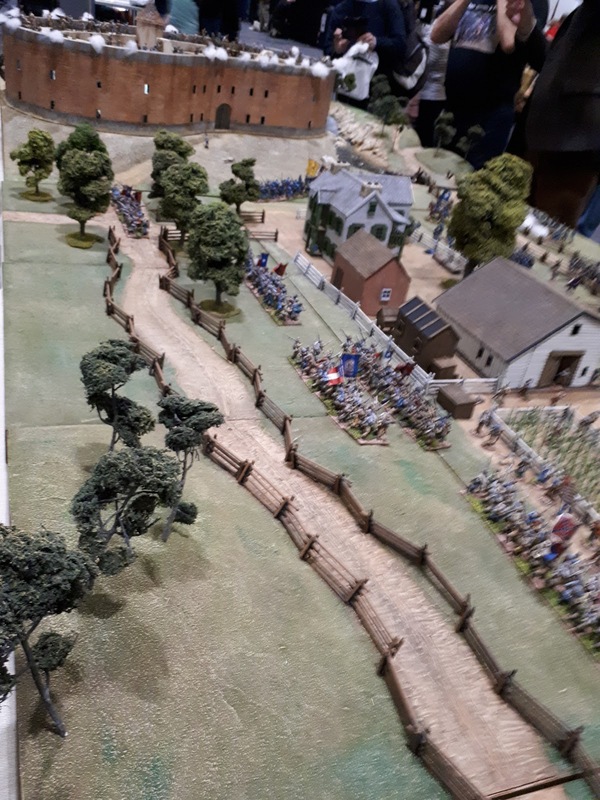 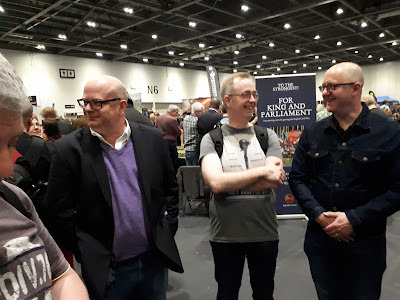 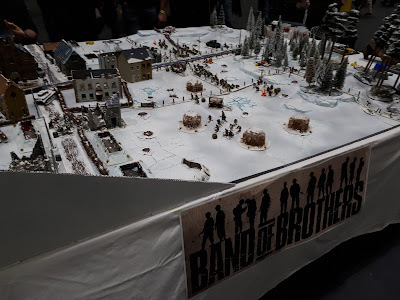 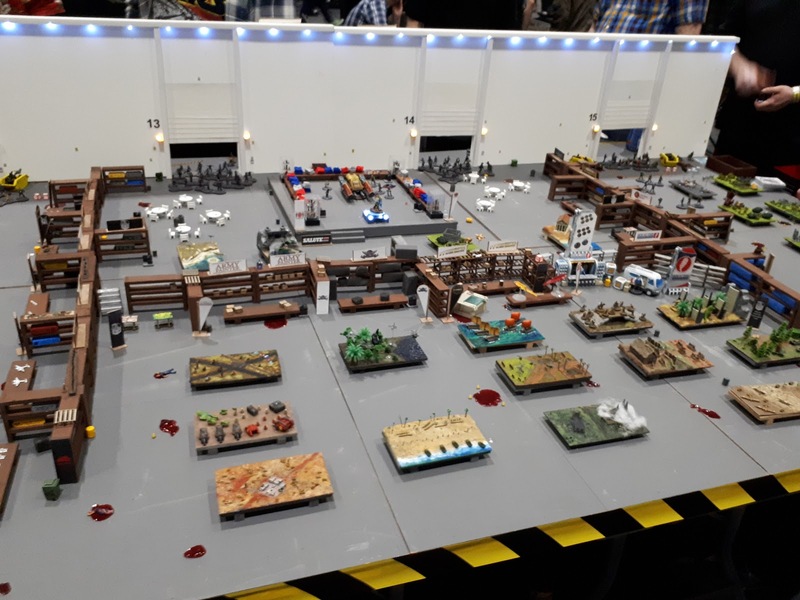 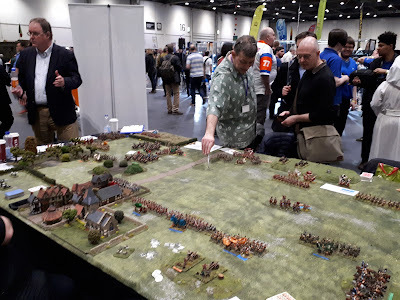 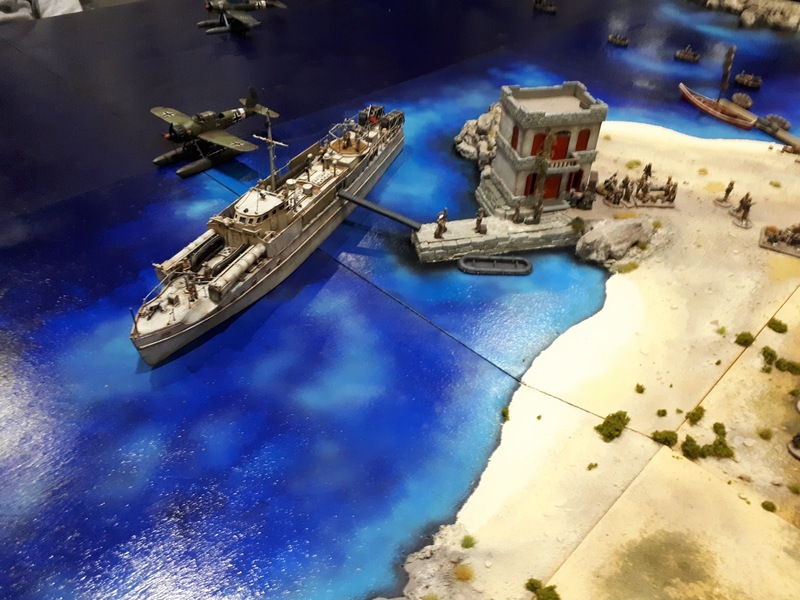 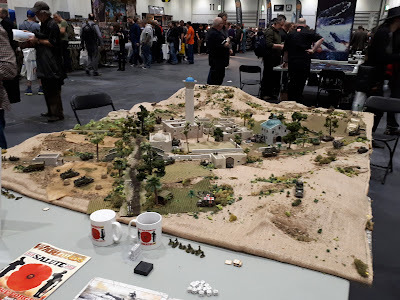 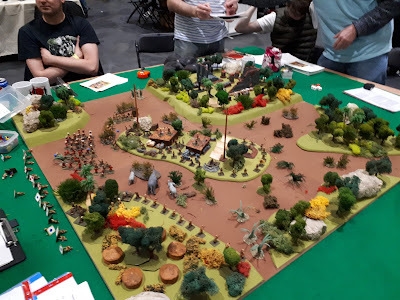 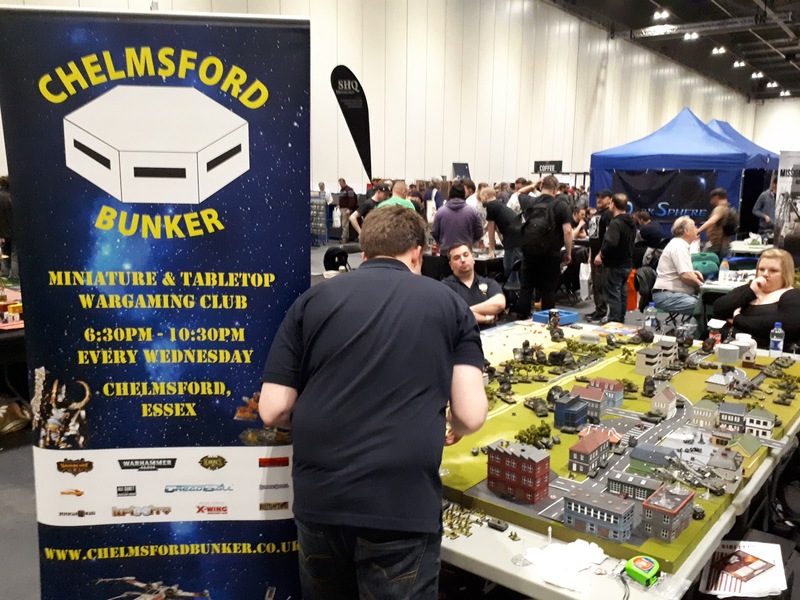 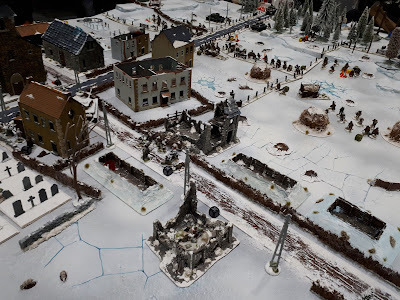 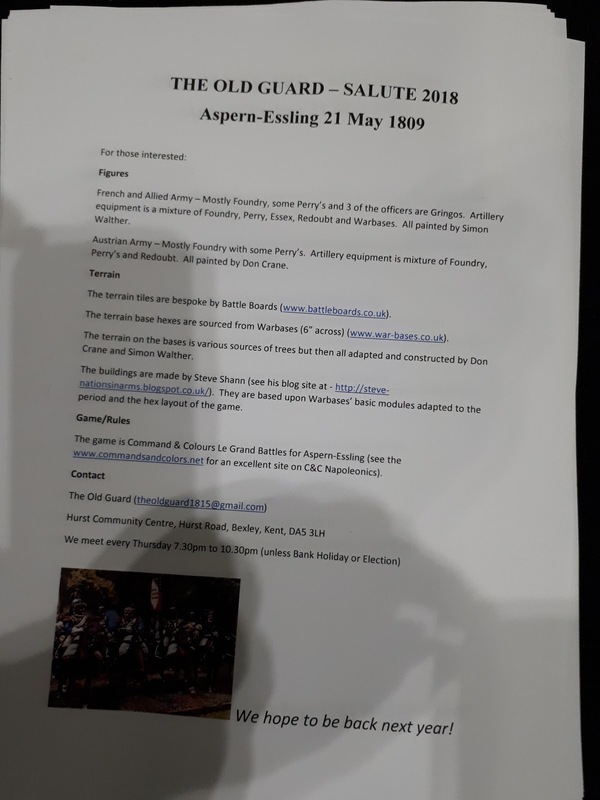 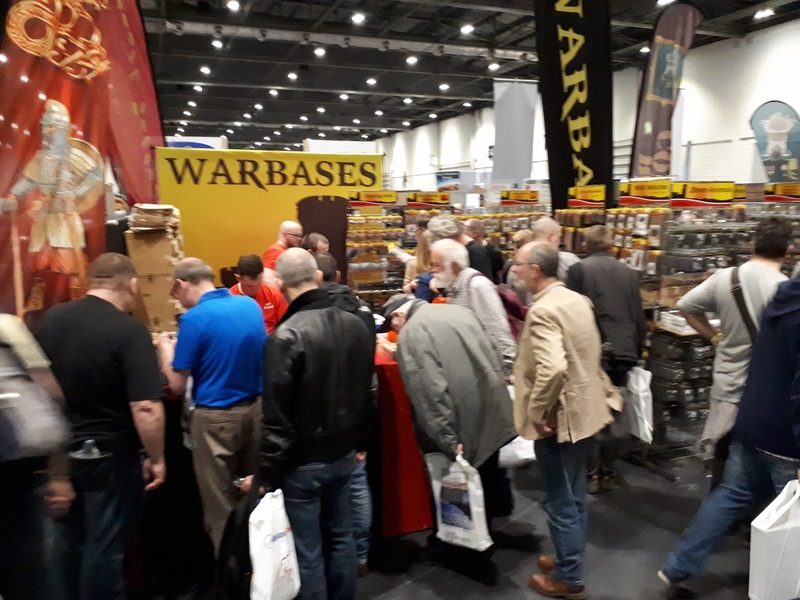 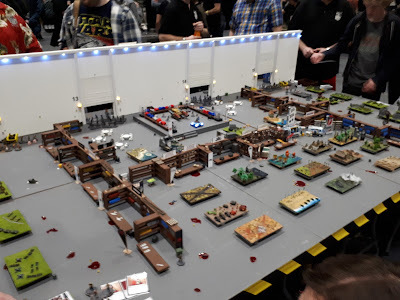 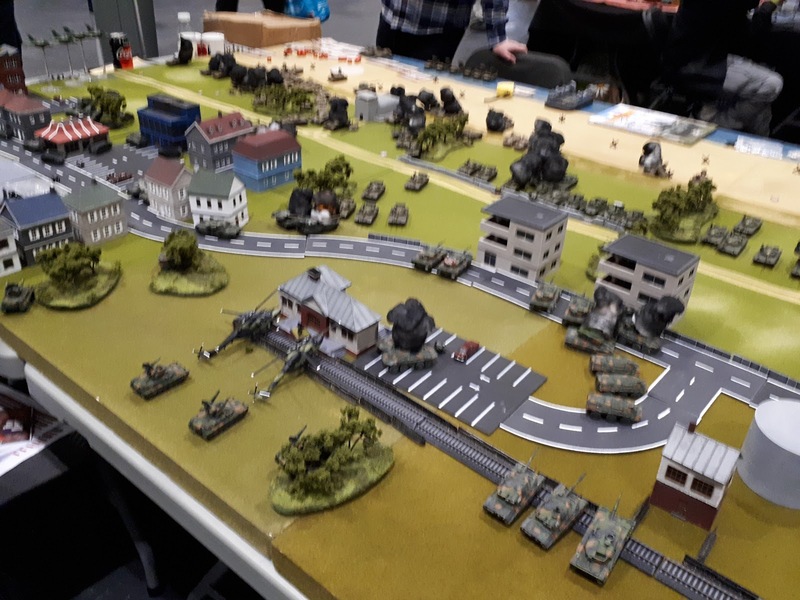 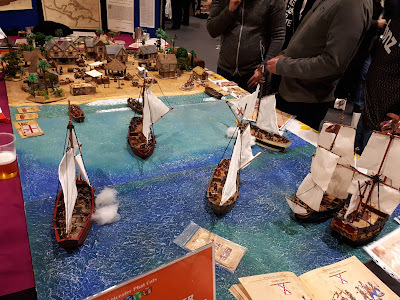 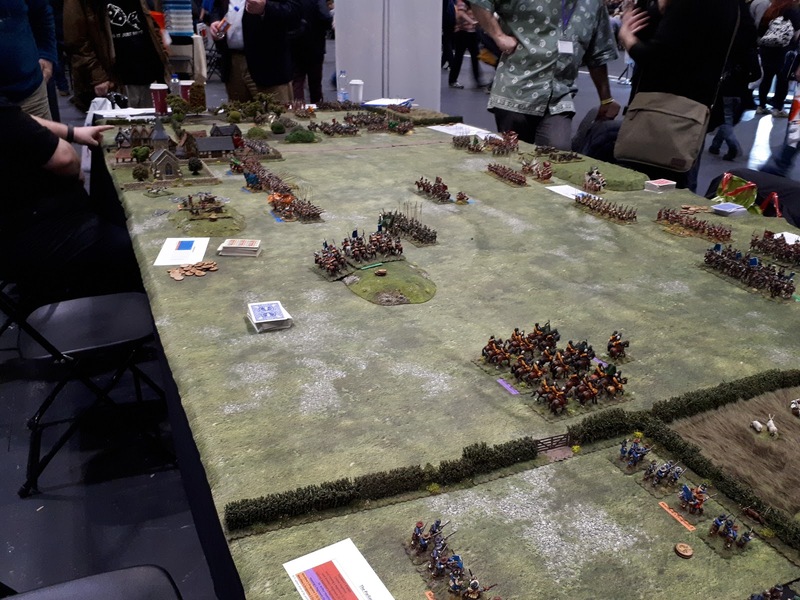 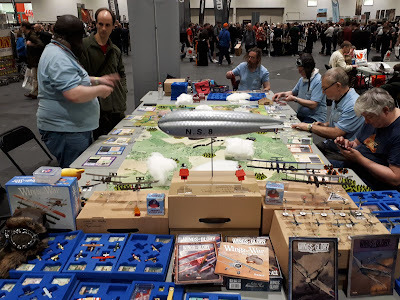 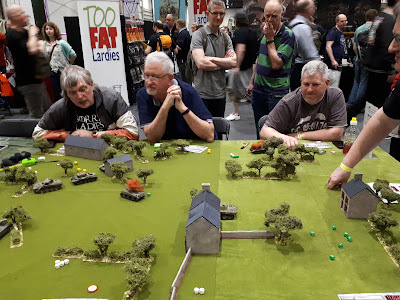 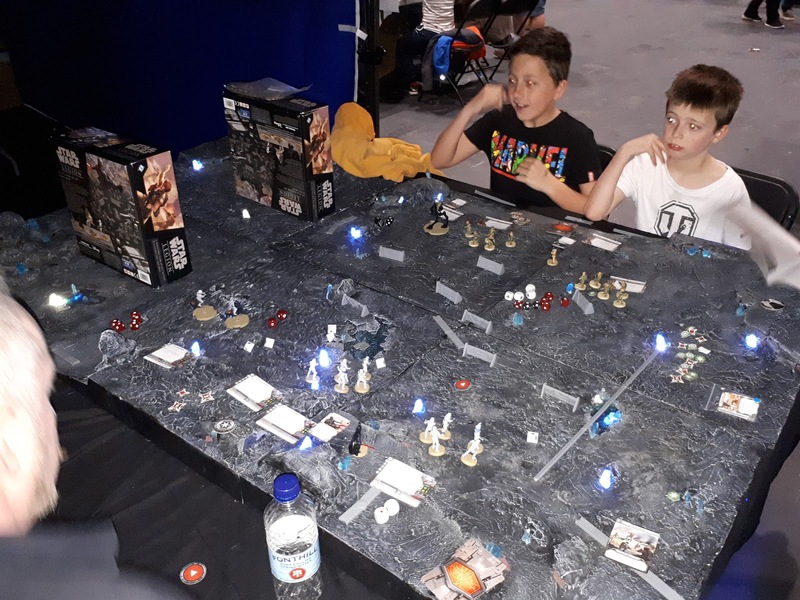 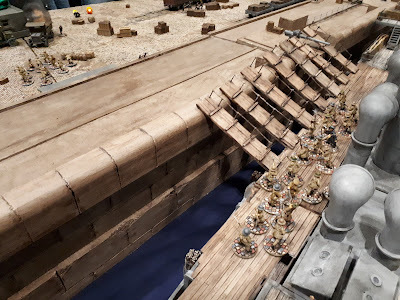 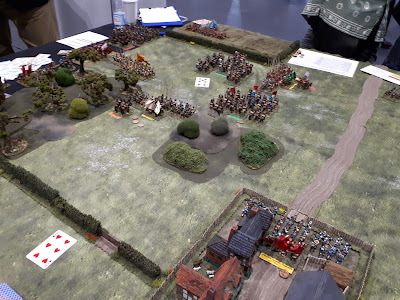 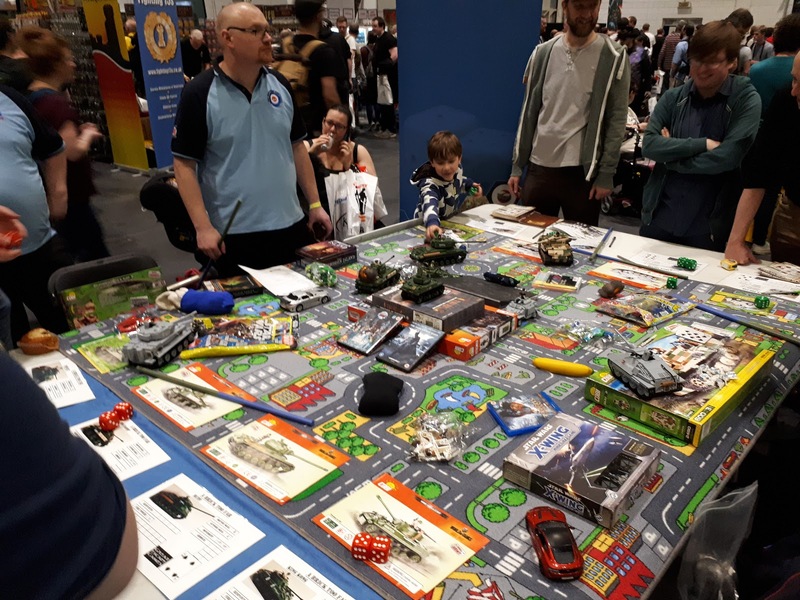 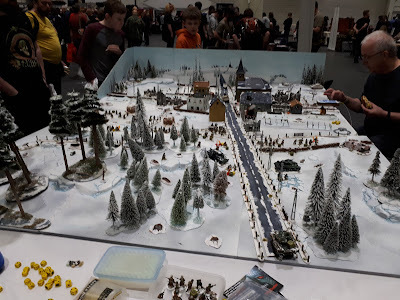 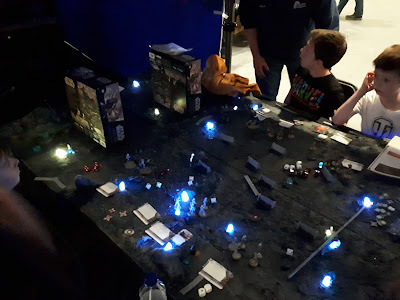 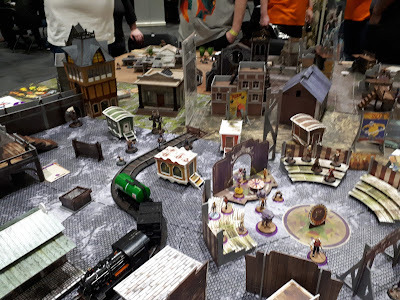 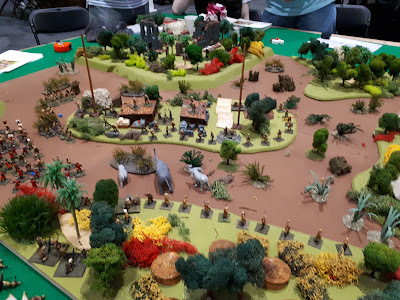 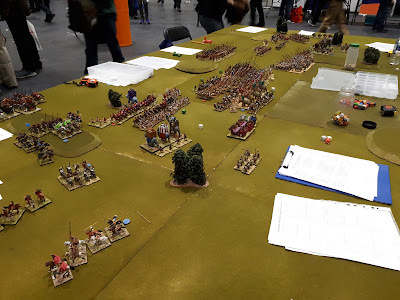 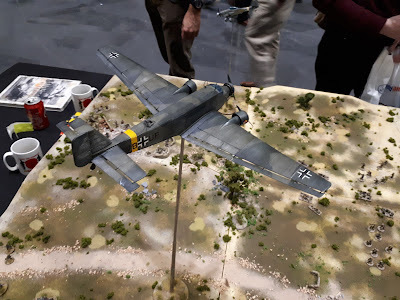 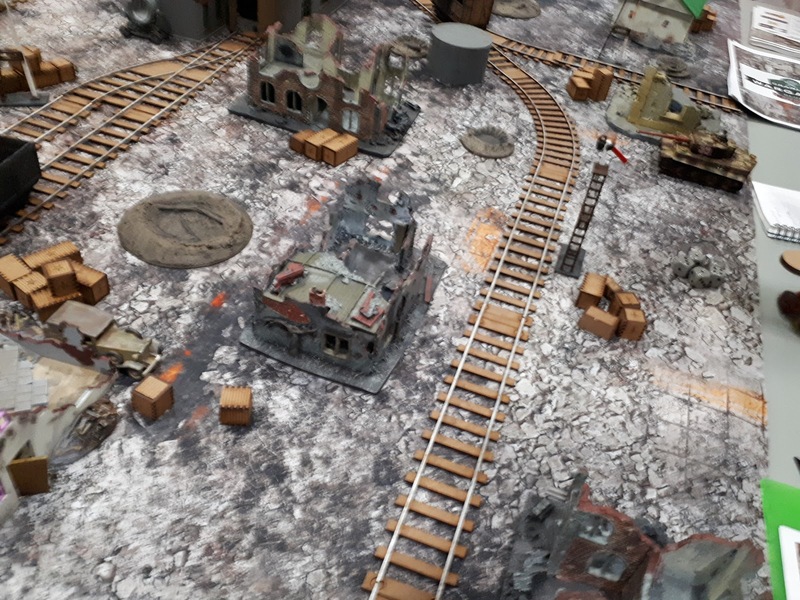 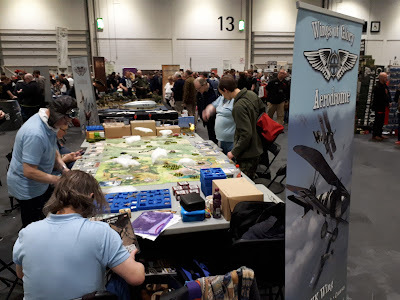 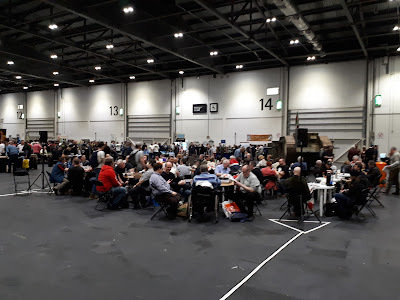 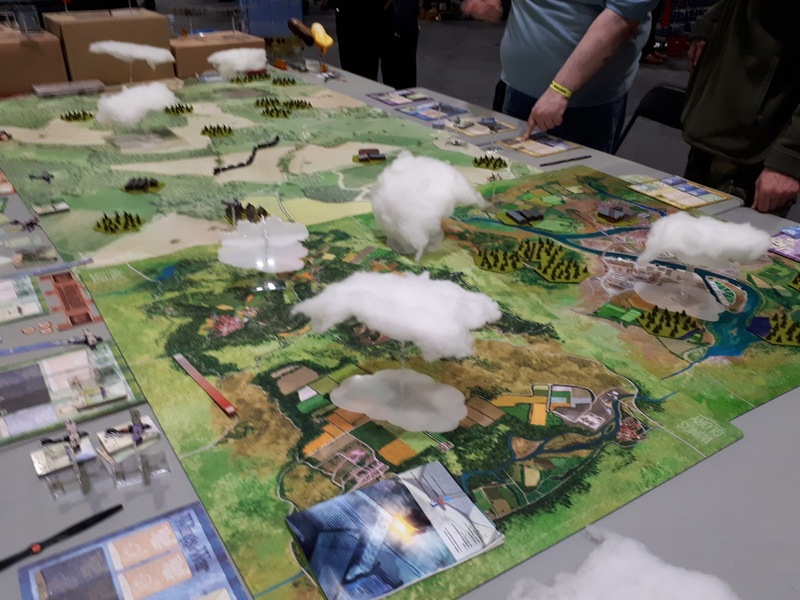 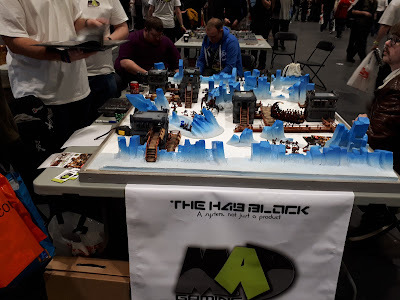 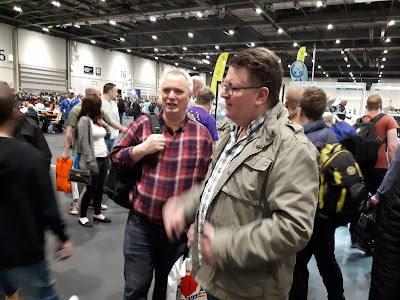 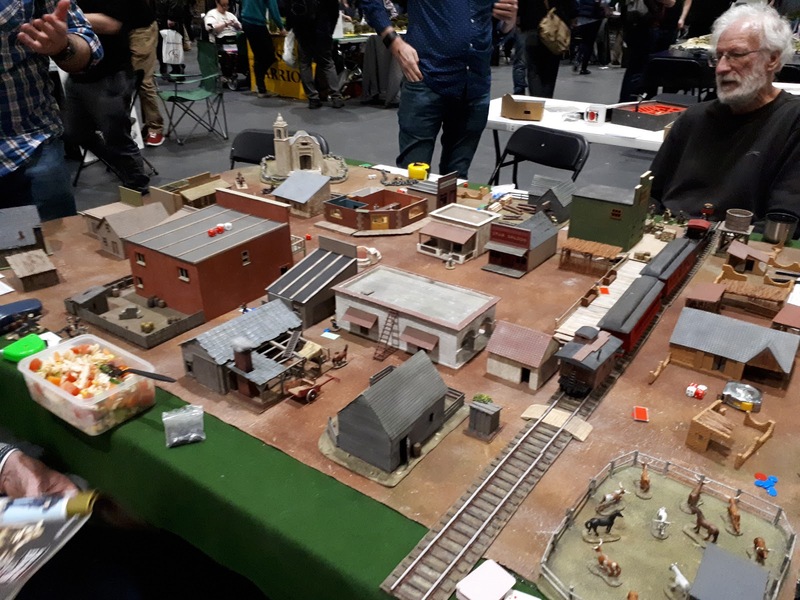 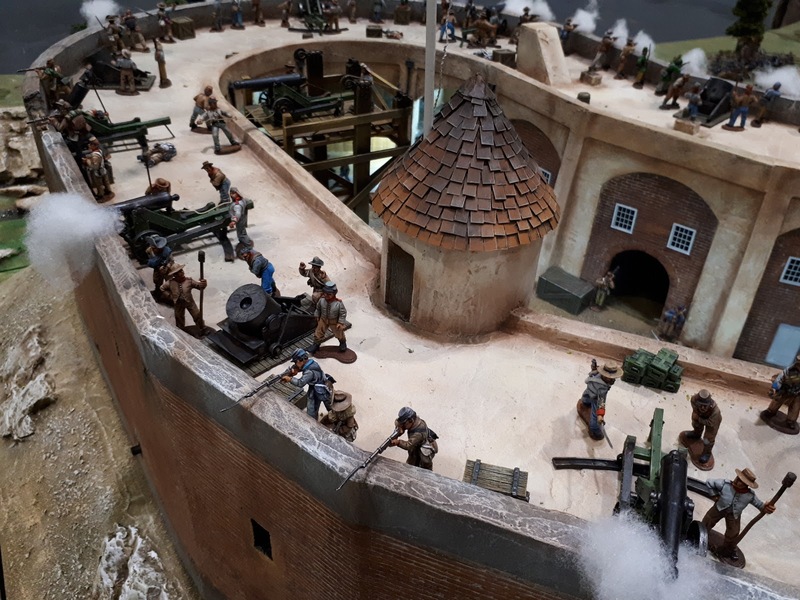 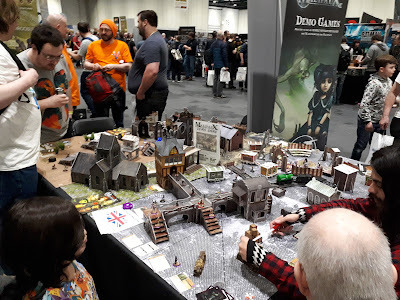 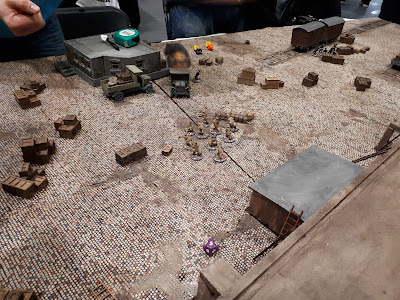 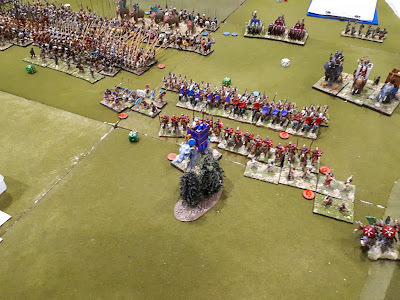 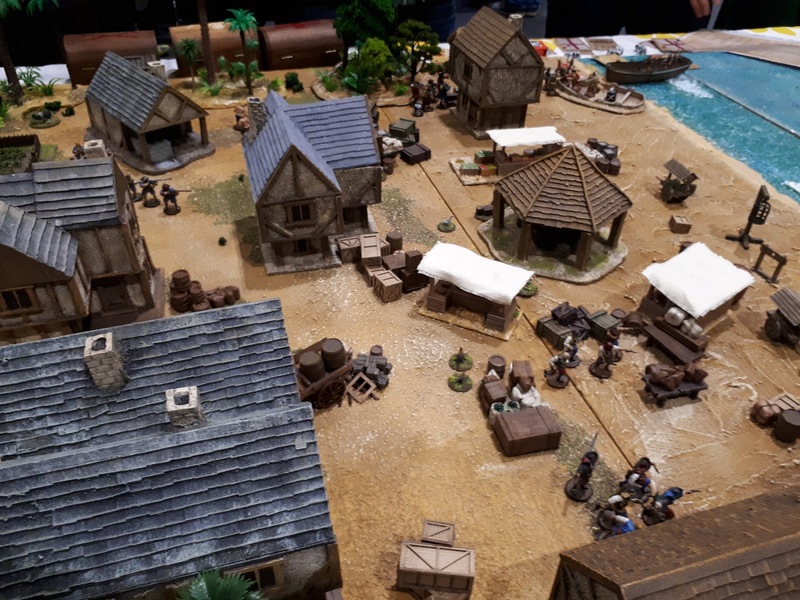 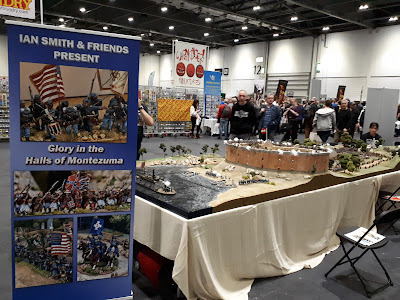 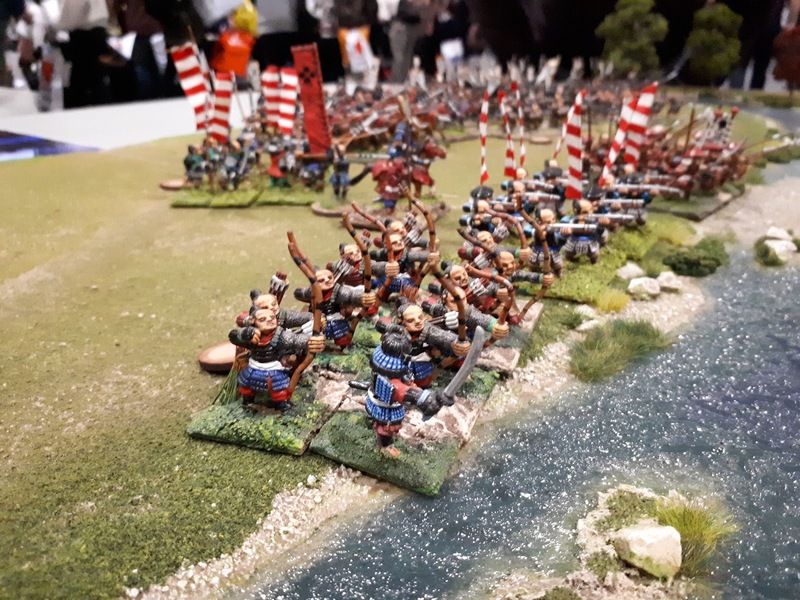 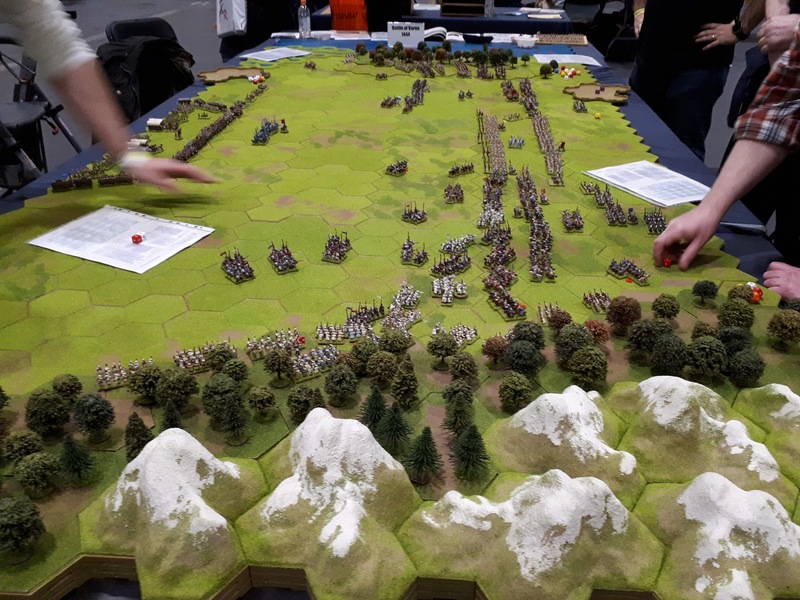 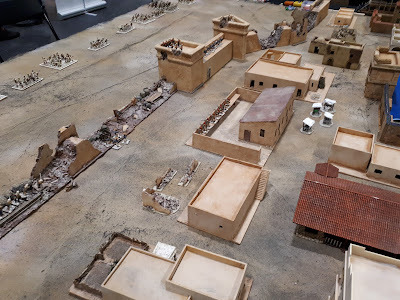 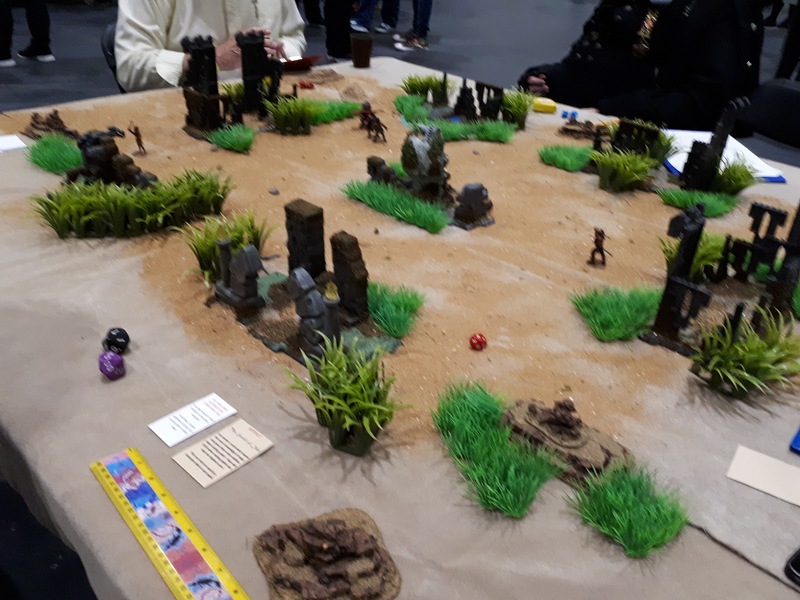 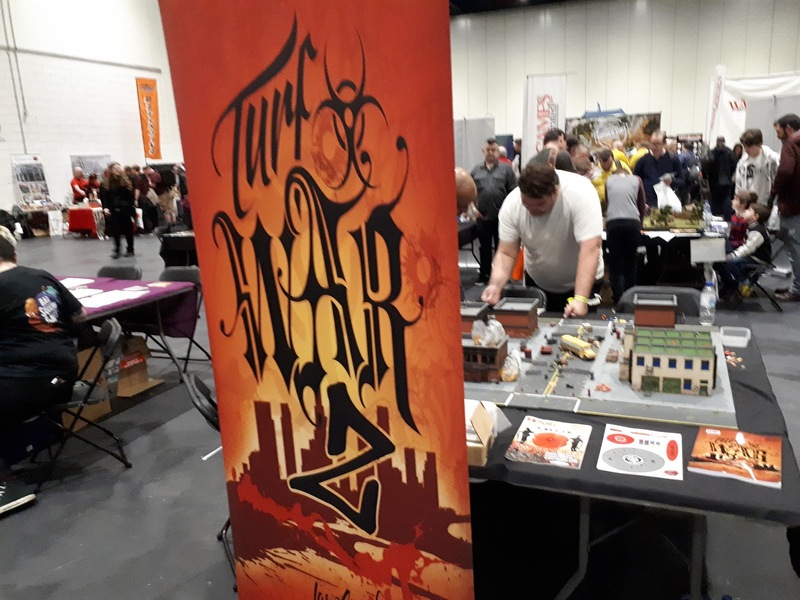 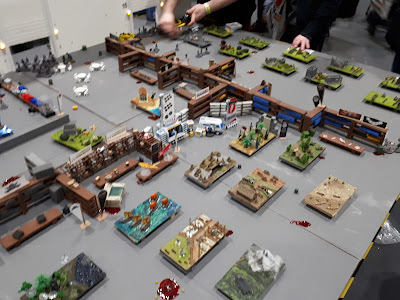 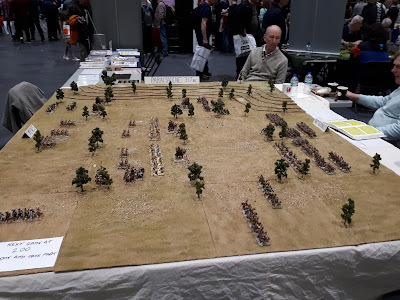 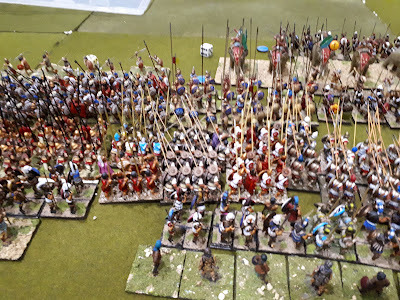 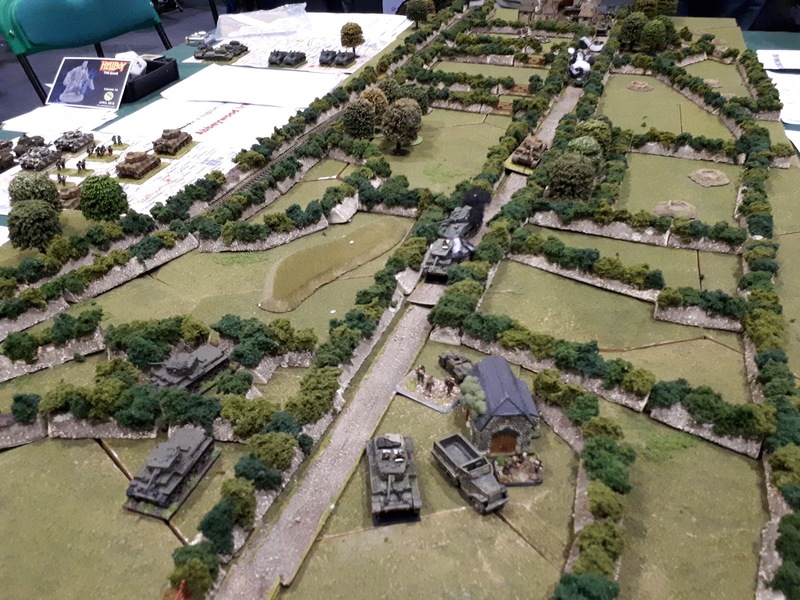 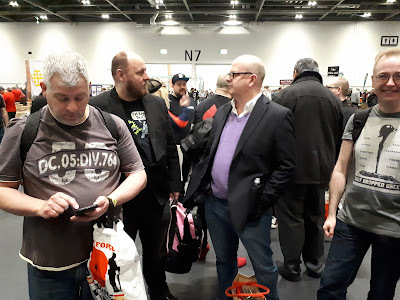 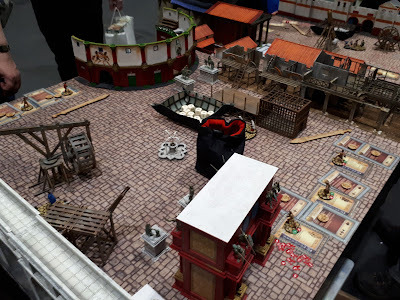 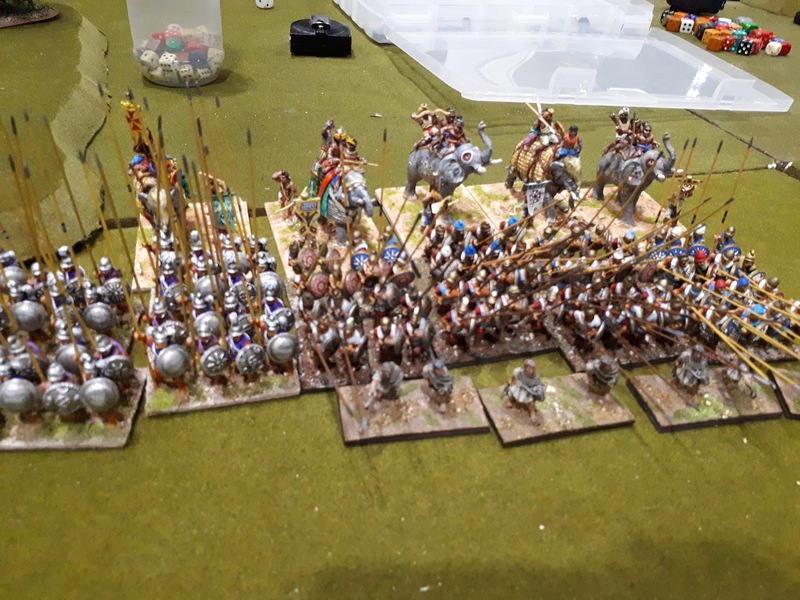 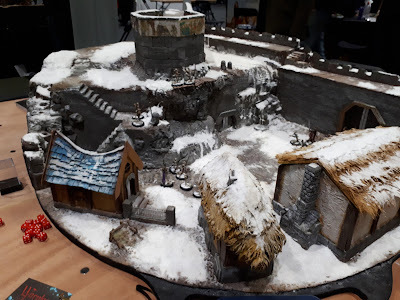 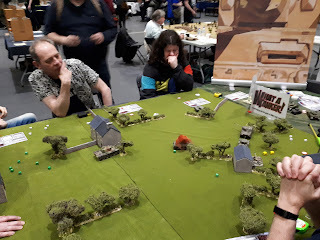 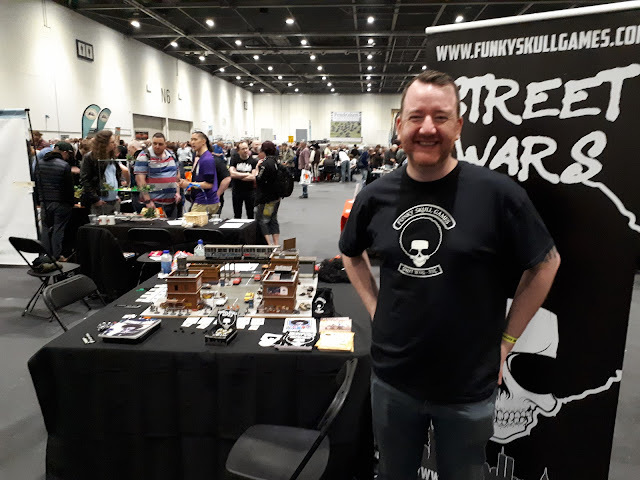 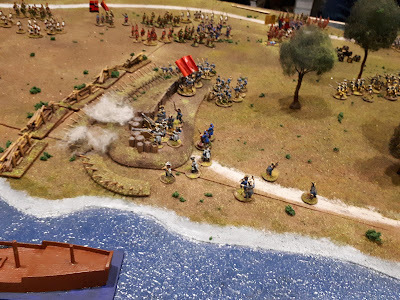 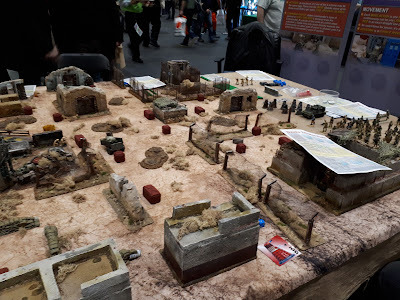 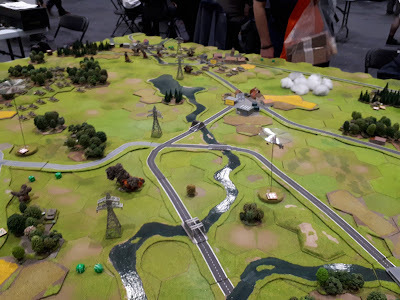 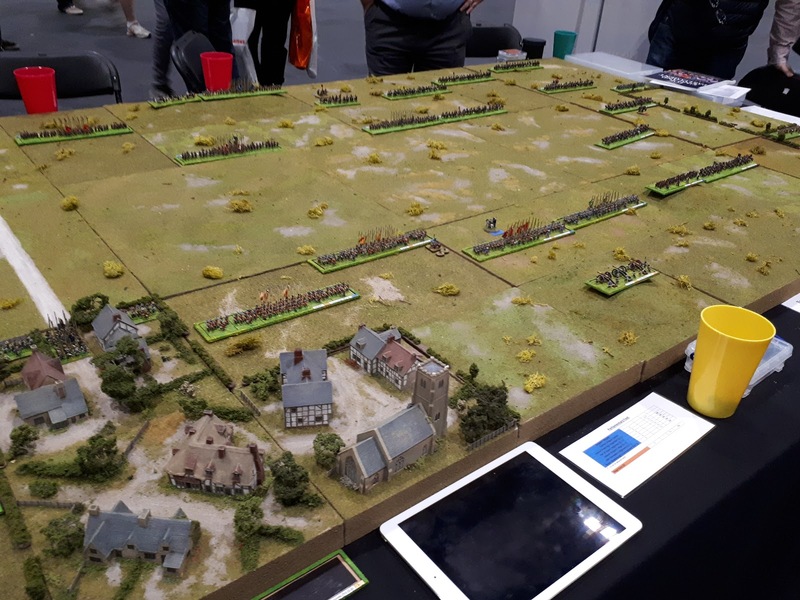 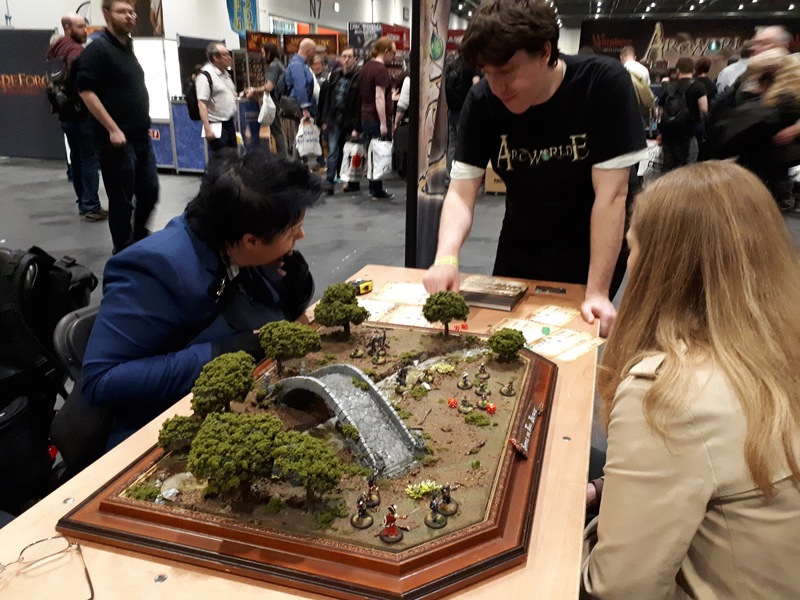 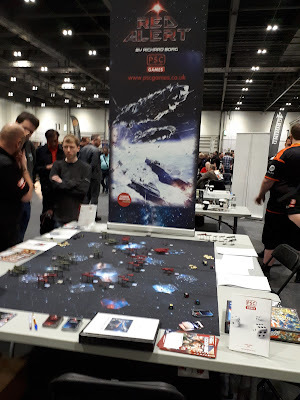 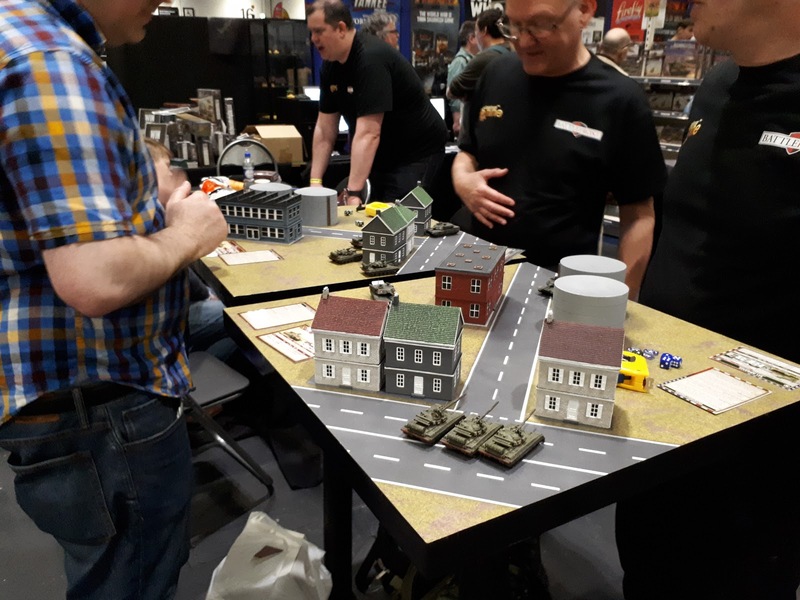 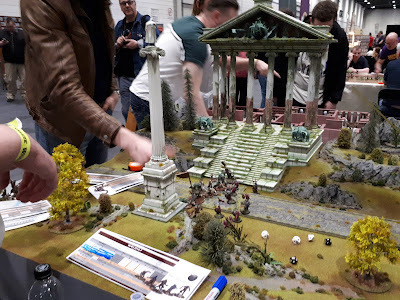 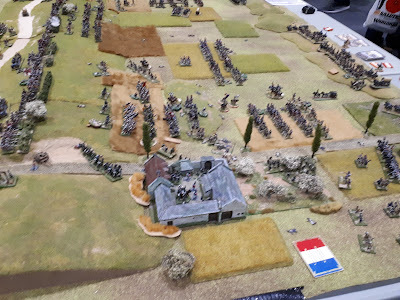 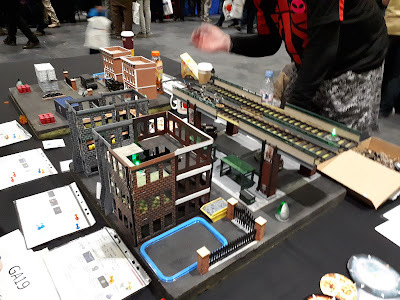 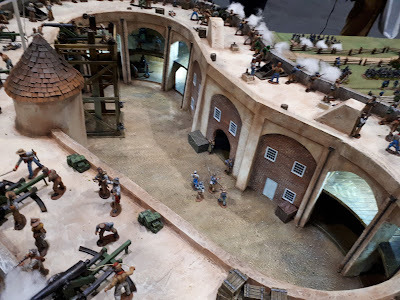 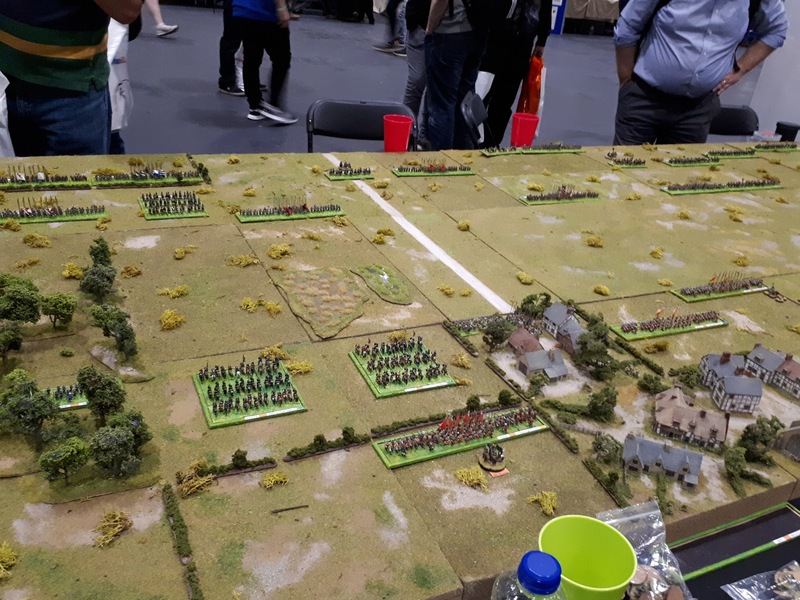 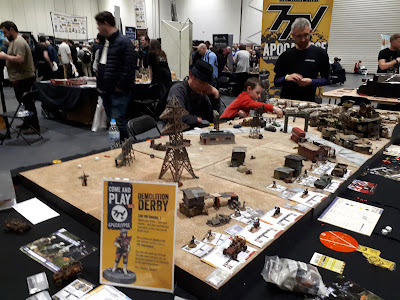 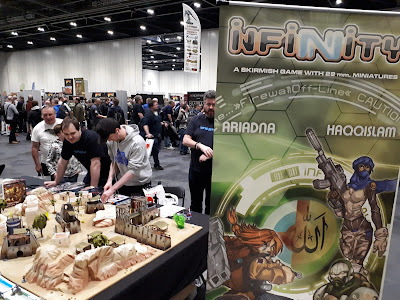 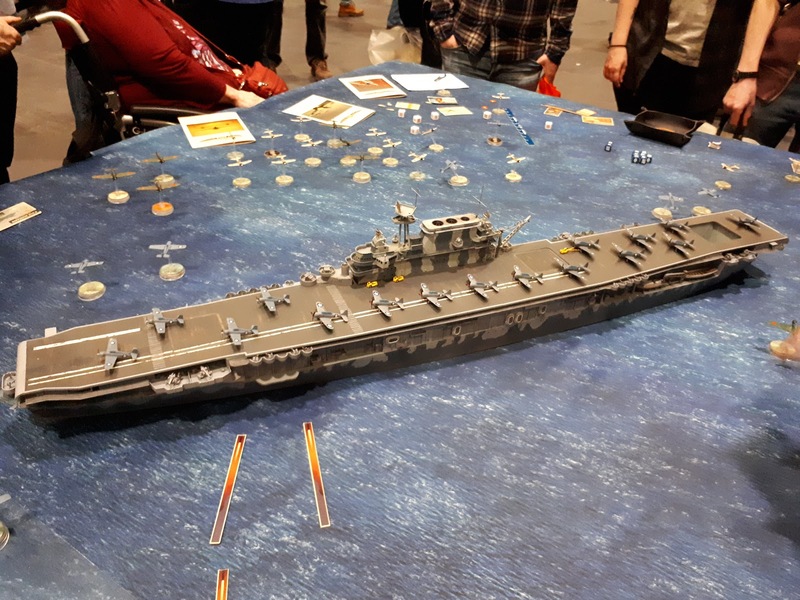 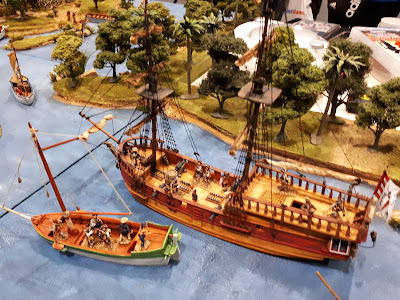 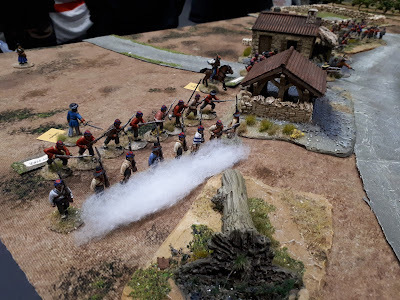 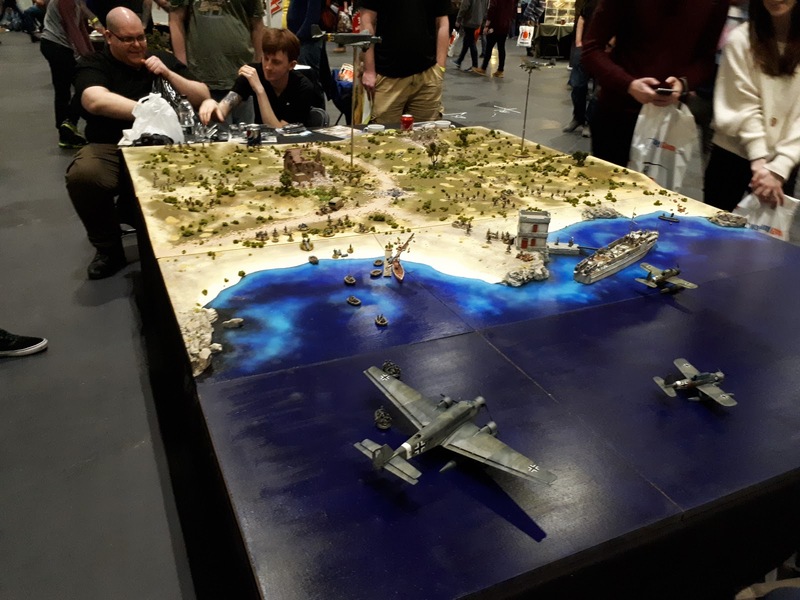 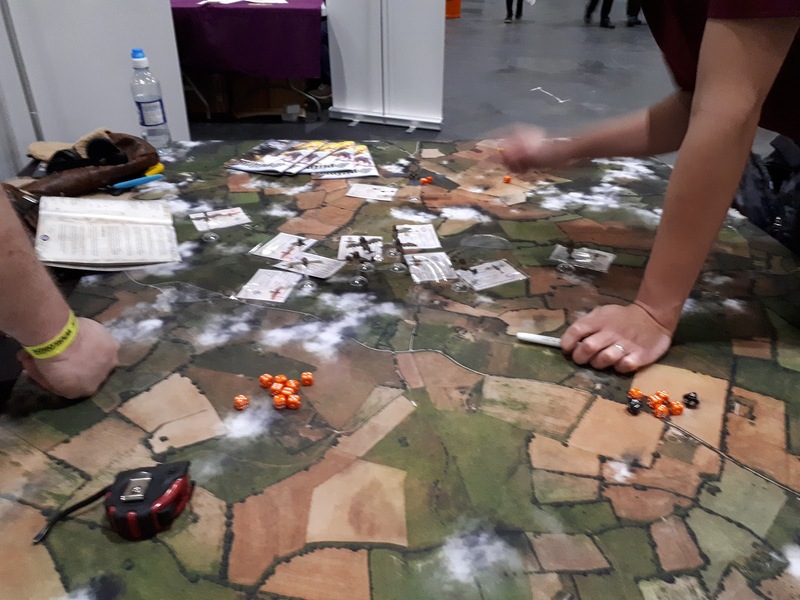 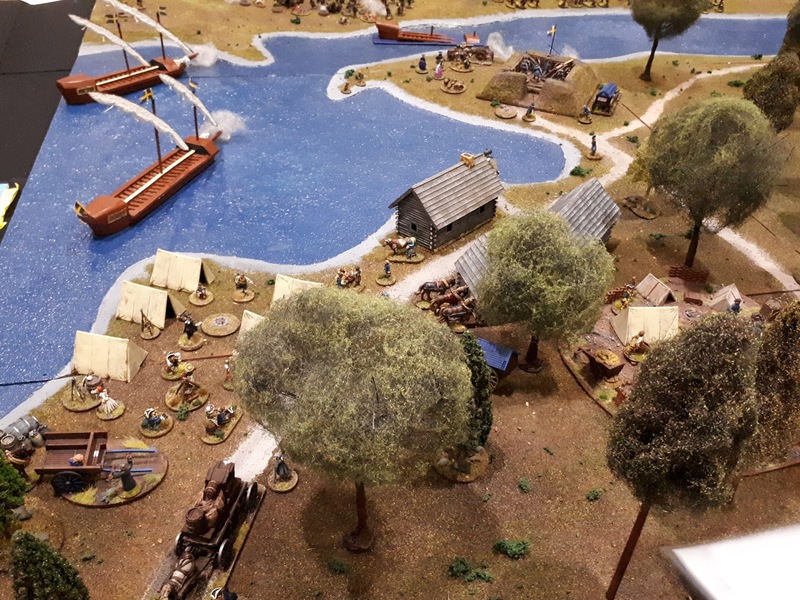 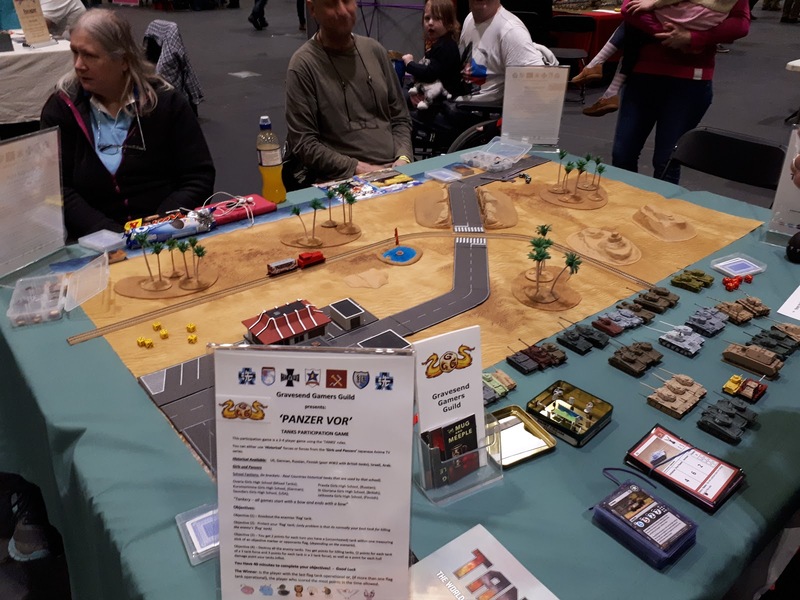 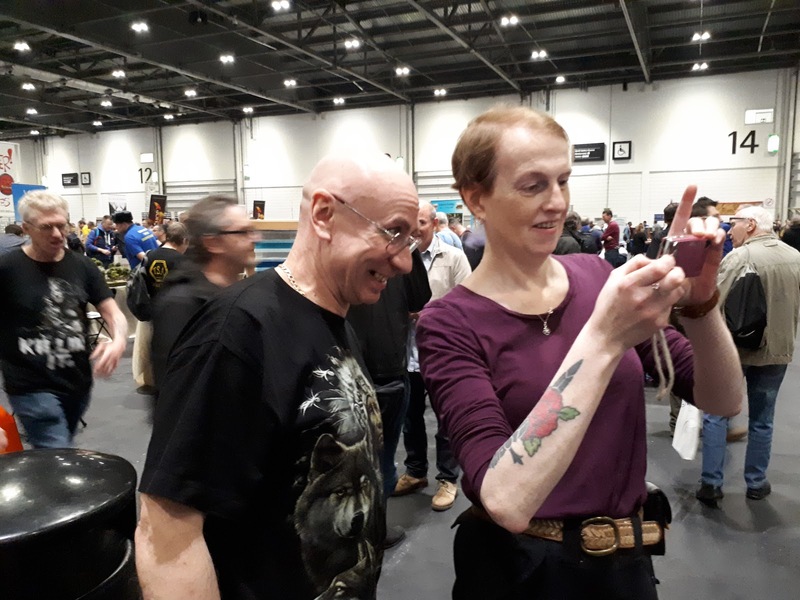 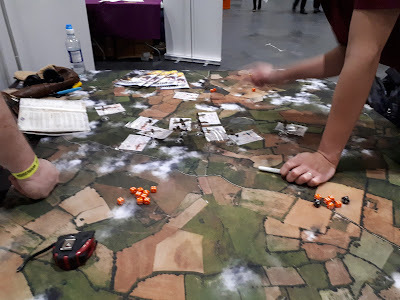 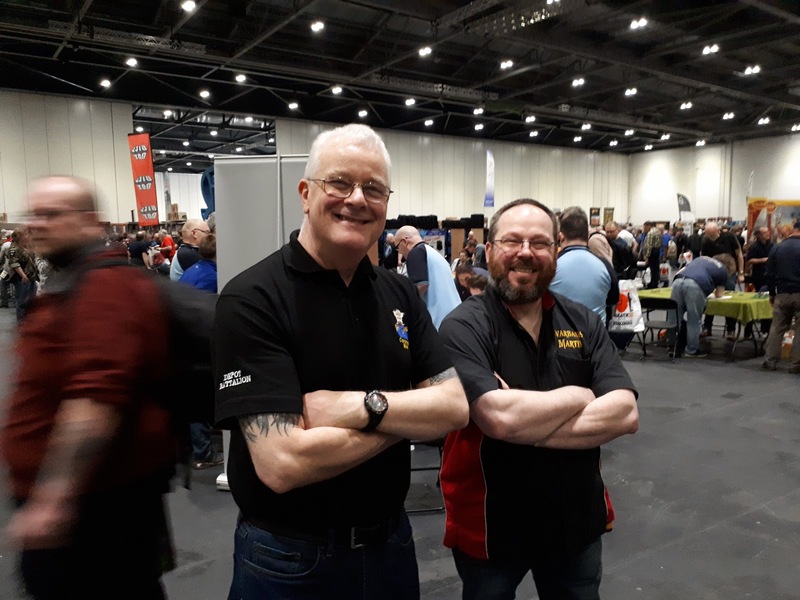 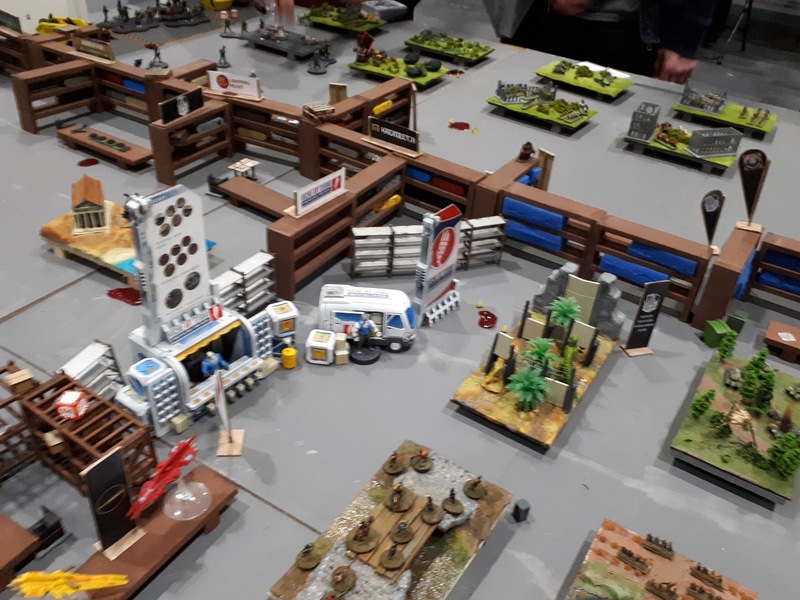 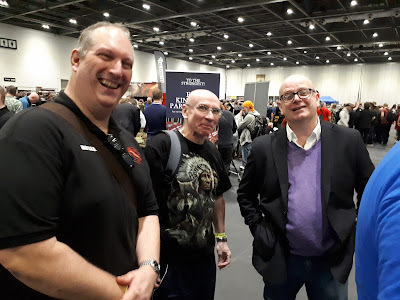 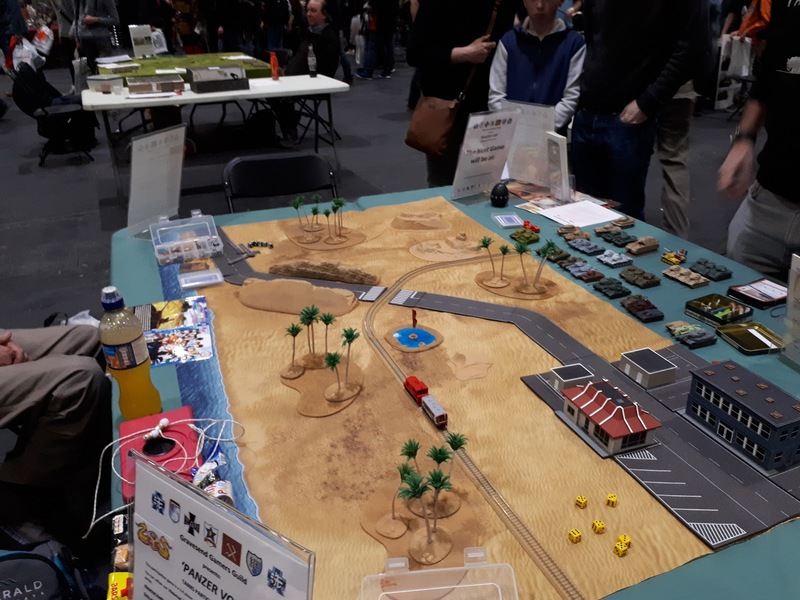 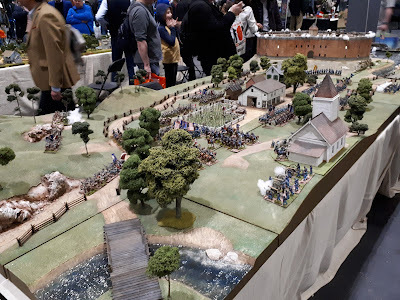 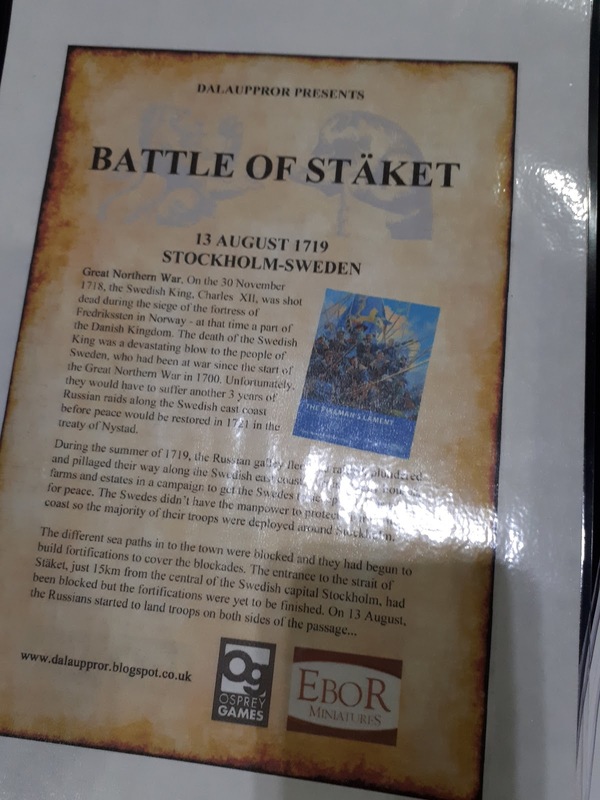 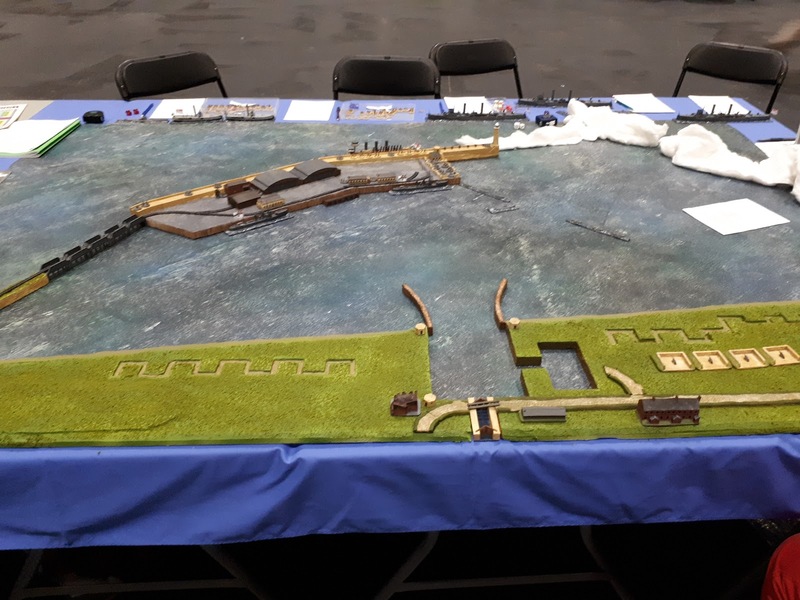 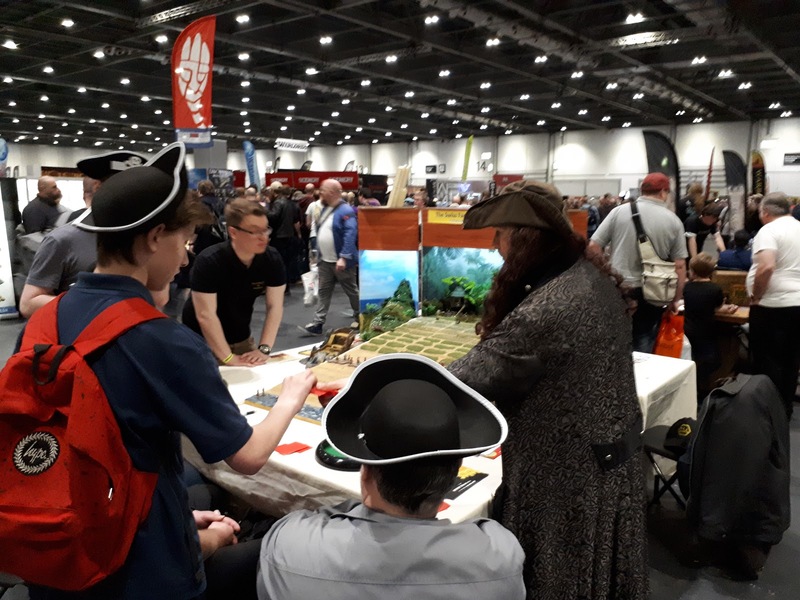 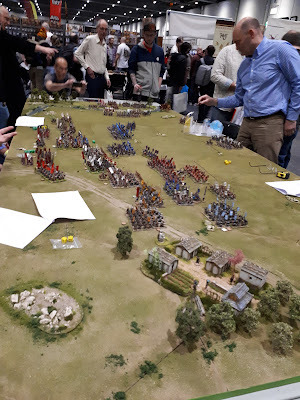 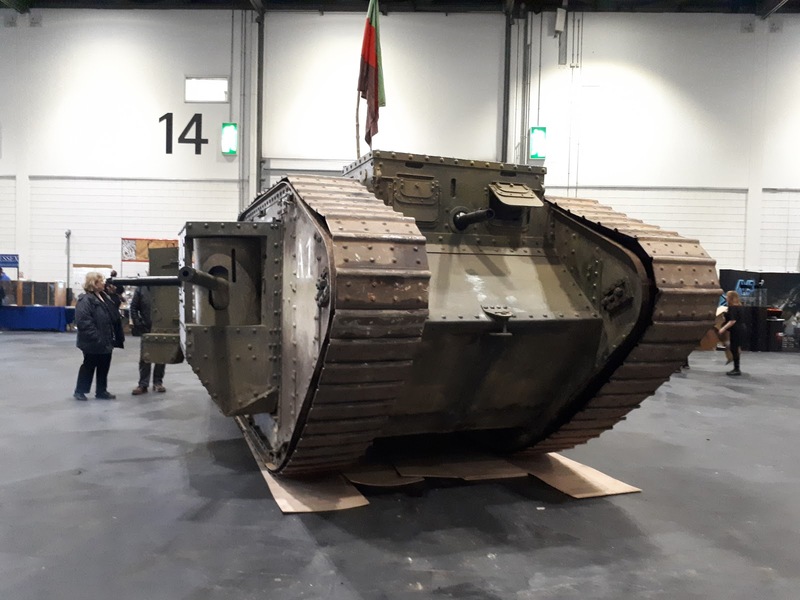 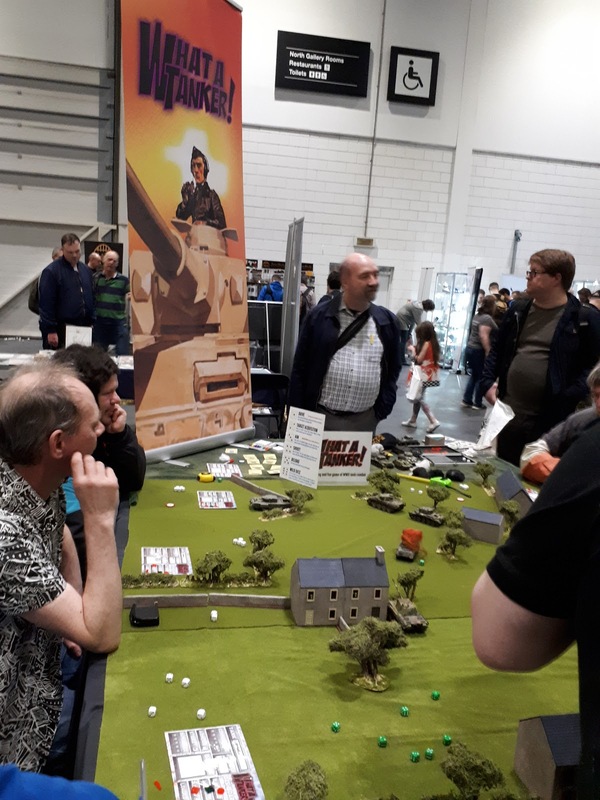 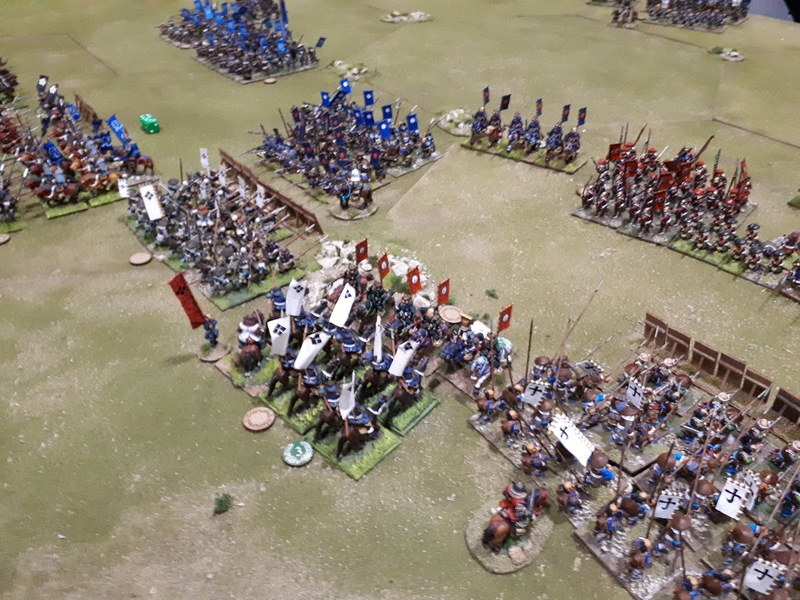 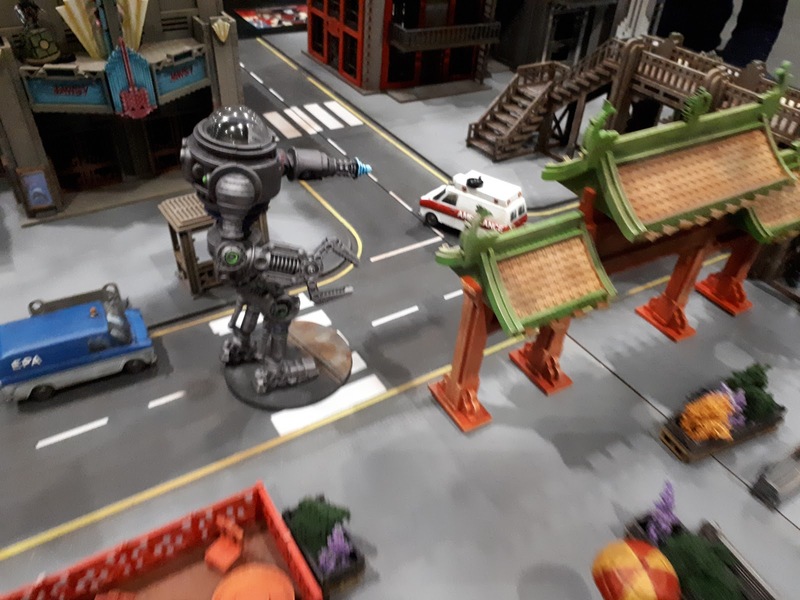 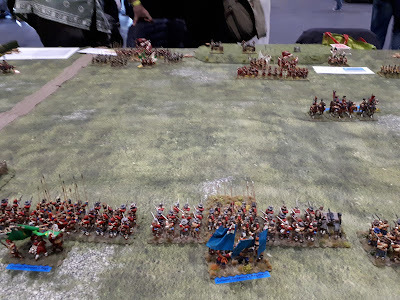 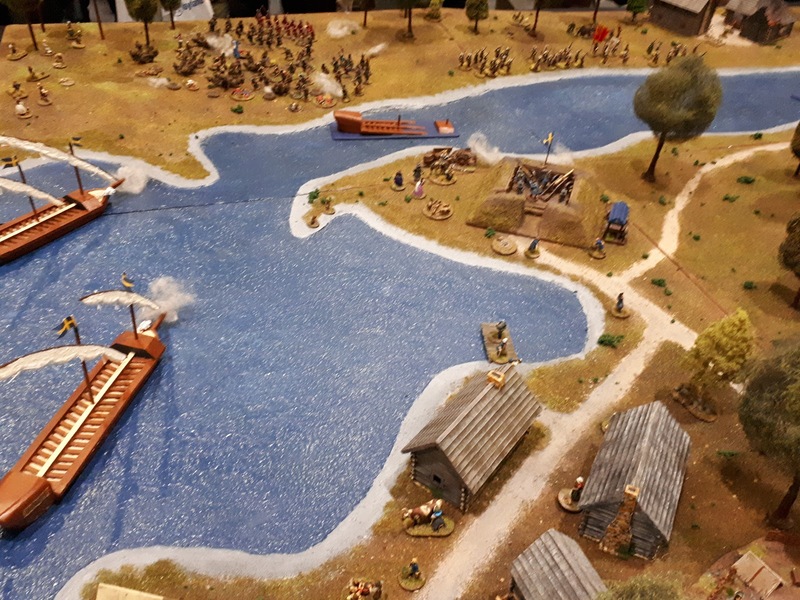 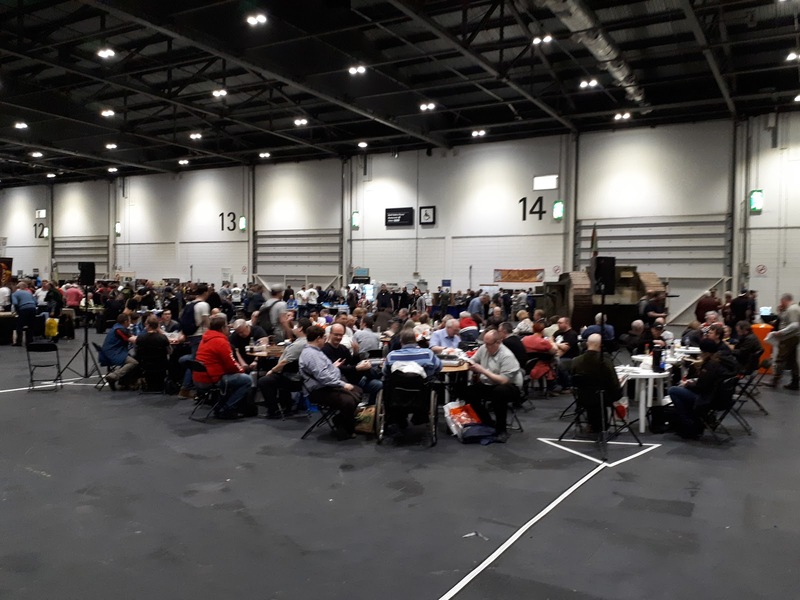 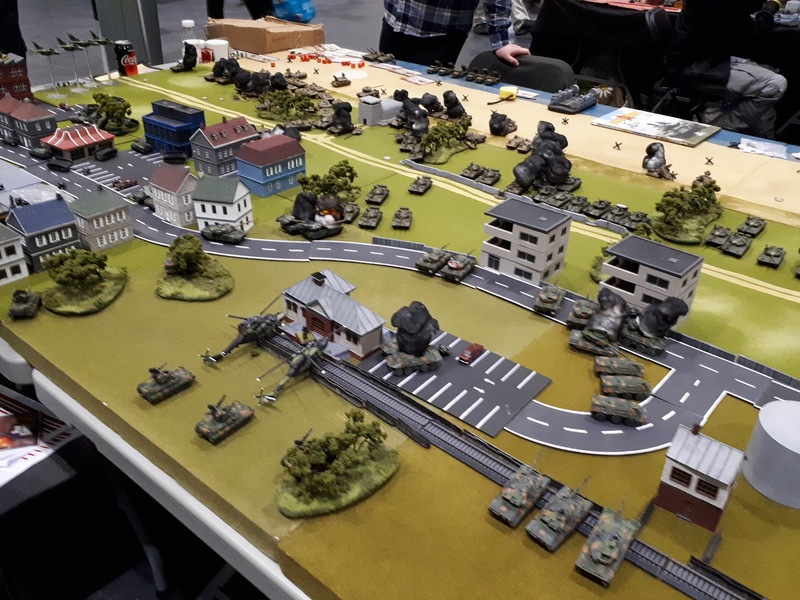 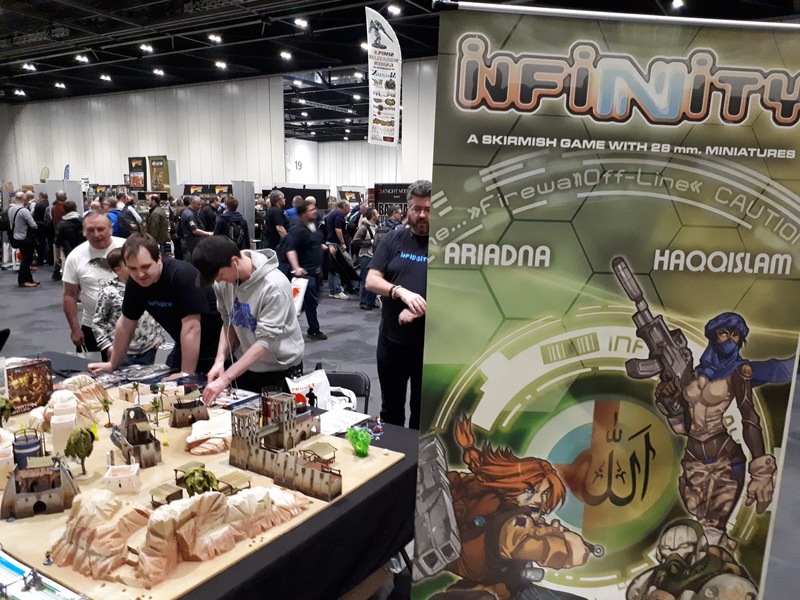 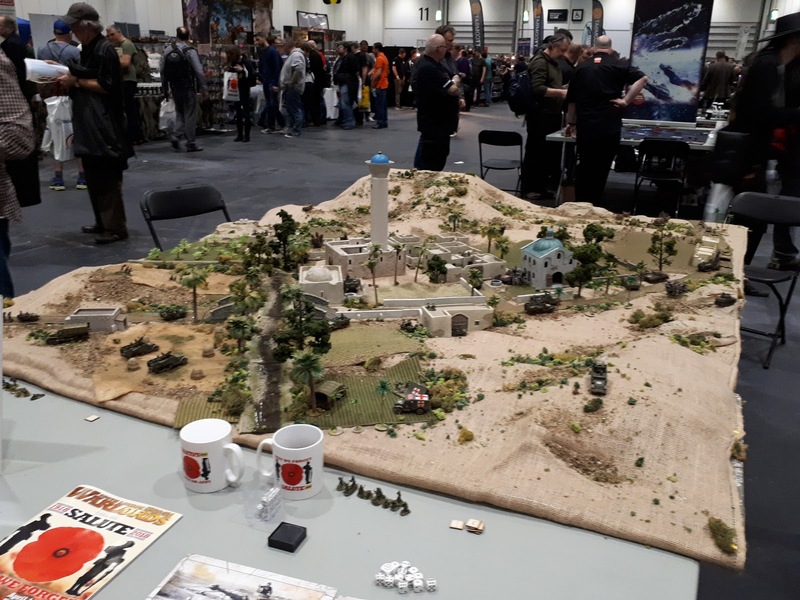 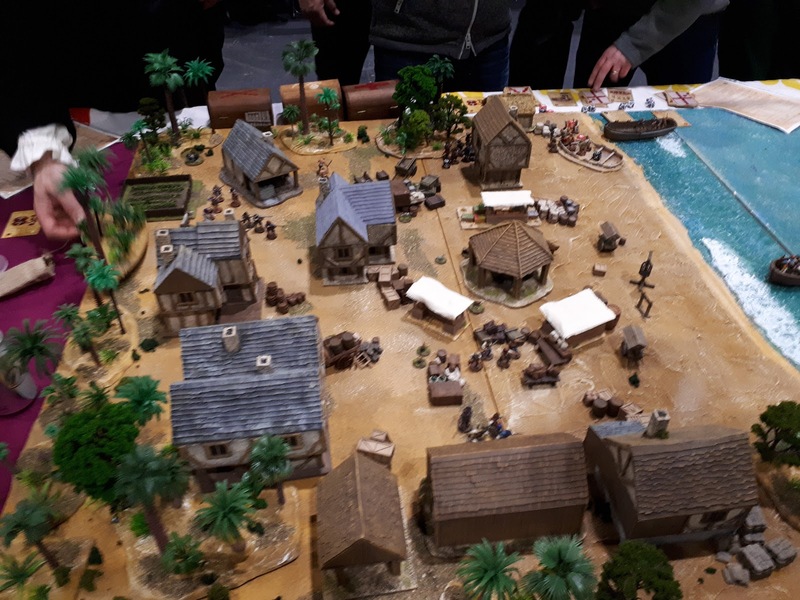 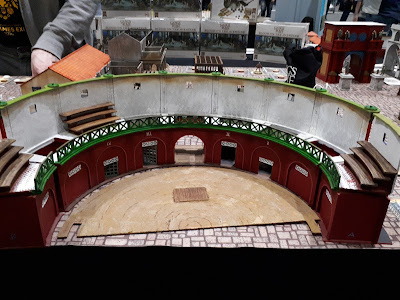 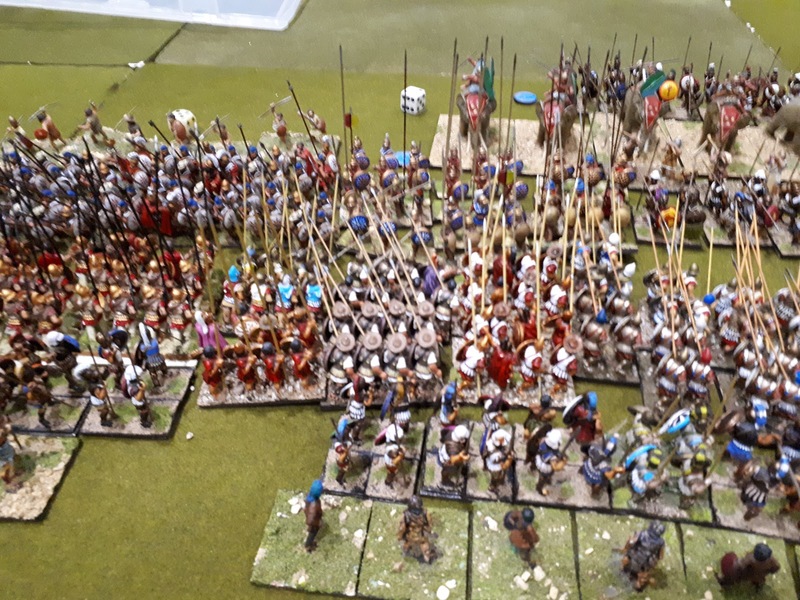 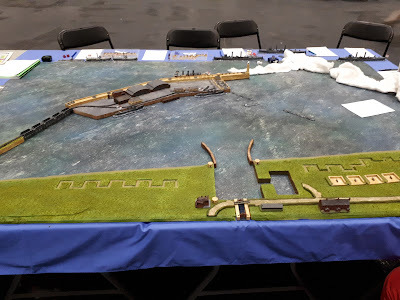 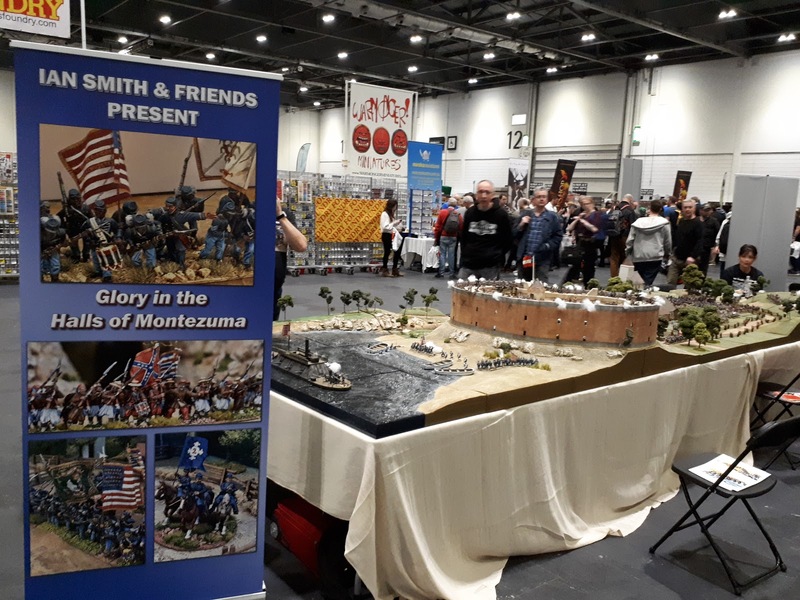 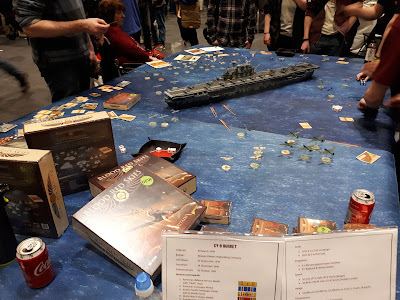 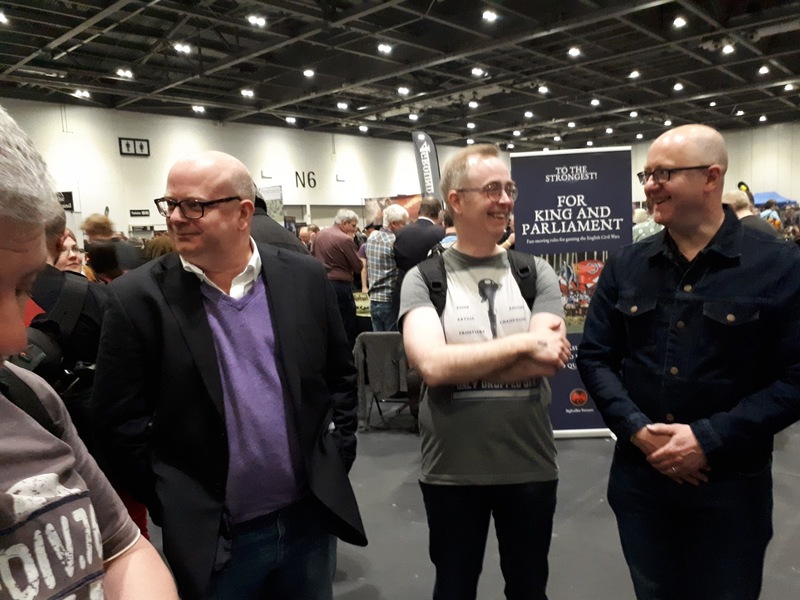 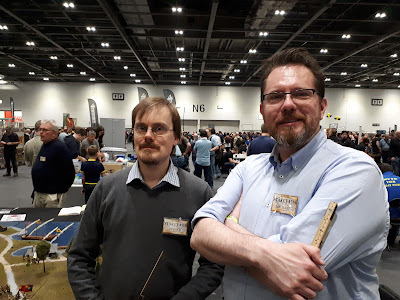 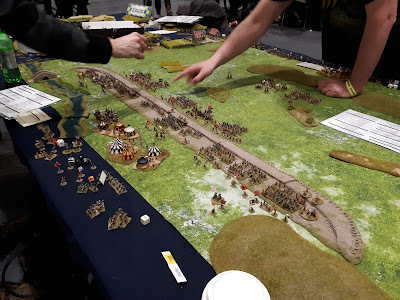 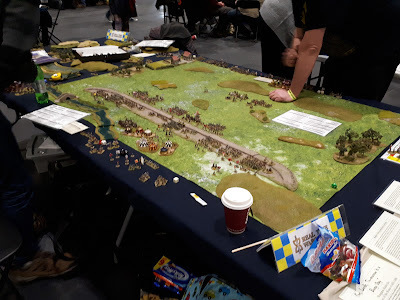 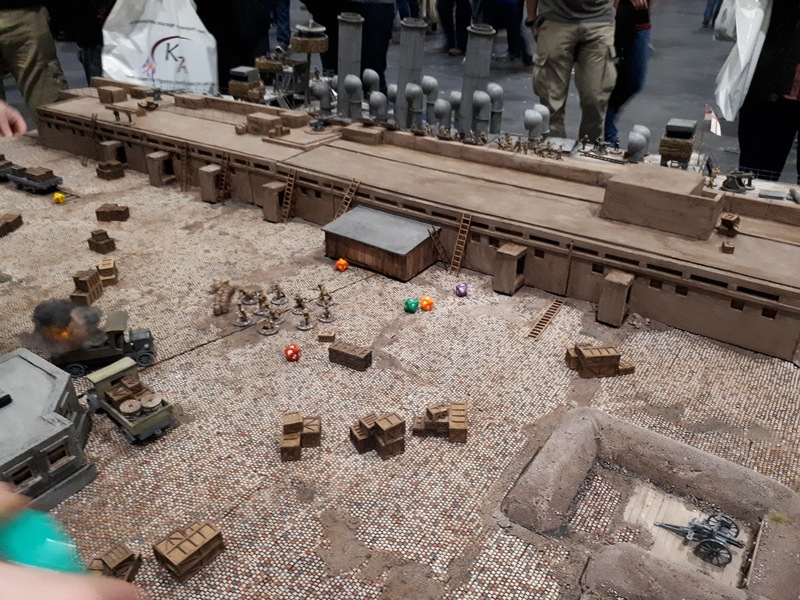 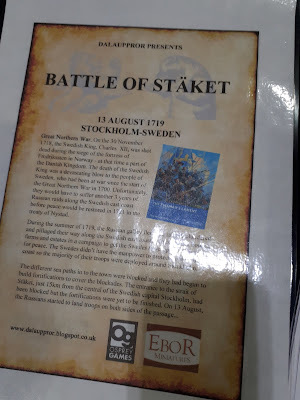 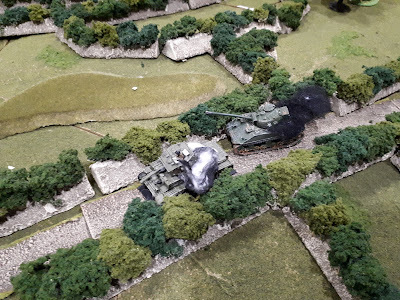 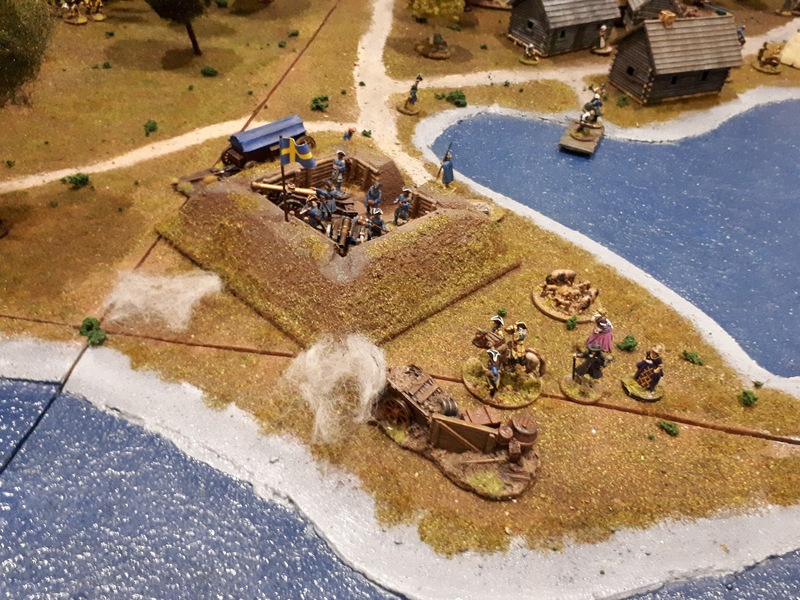 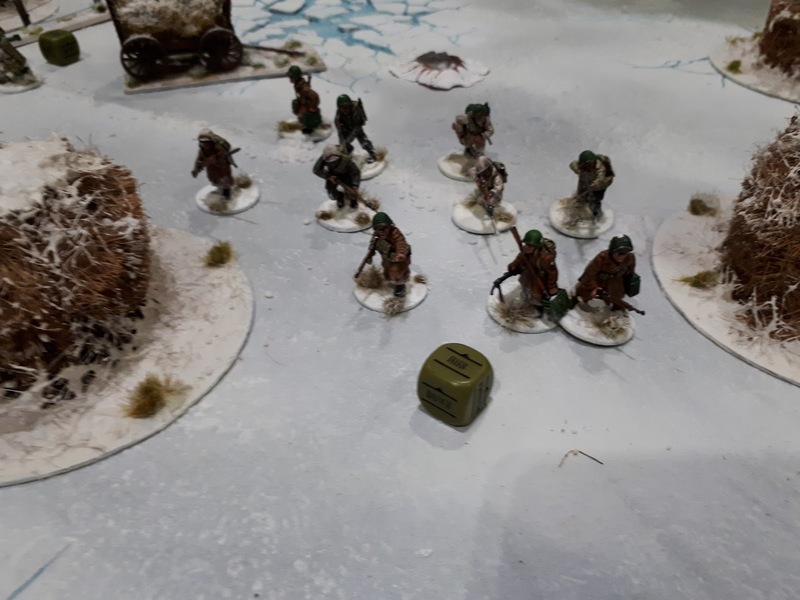 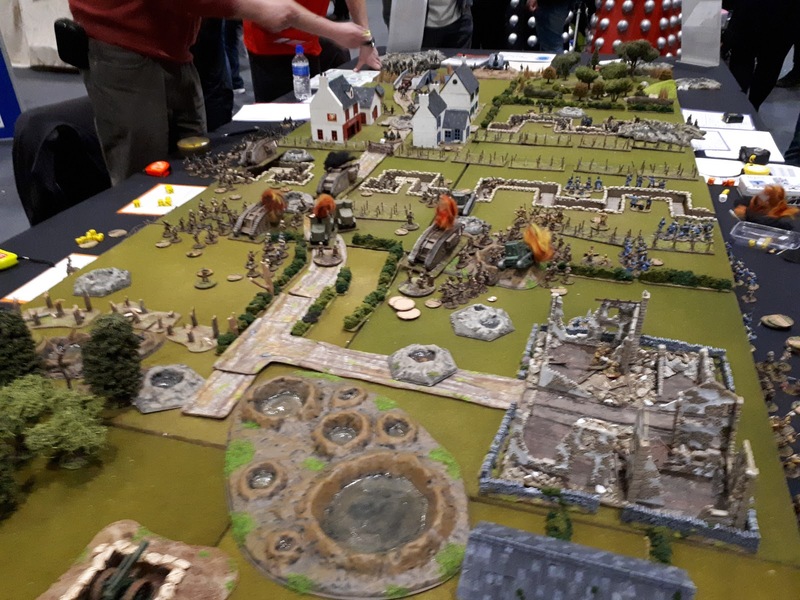 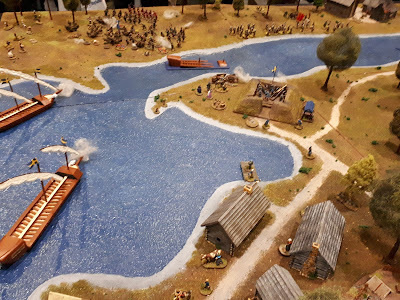 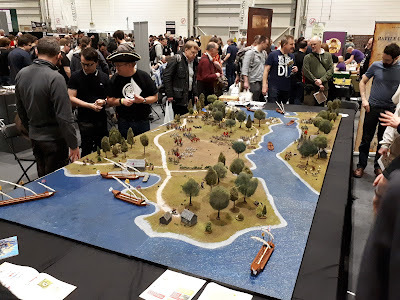 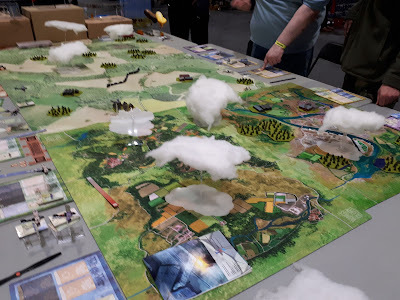 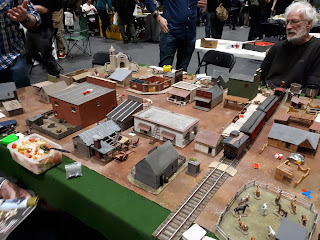 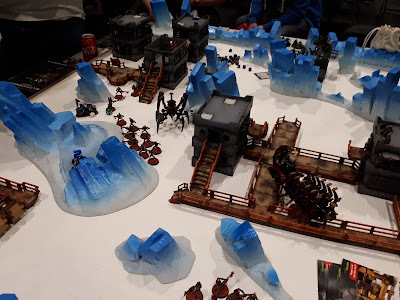 Salute 2018 - Blogger Meet Up?? ?